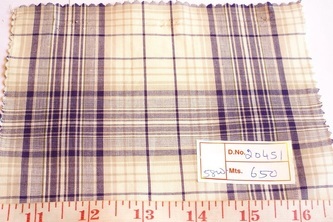 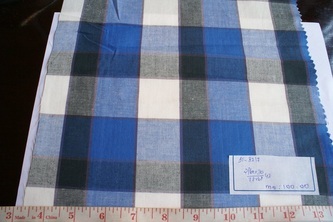 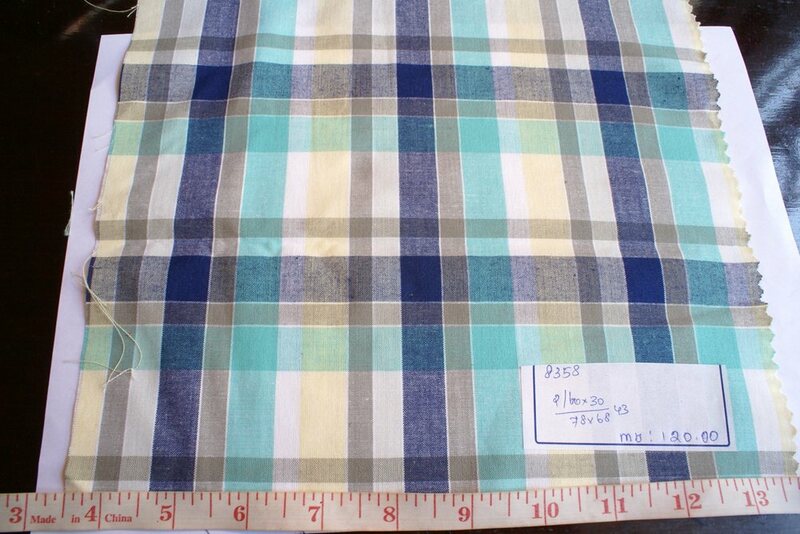 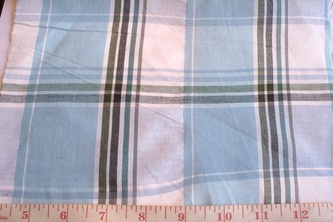 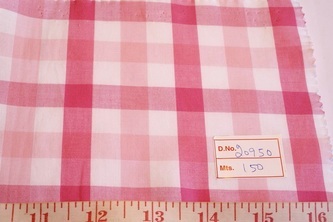 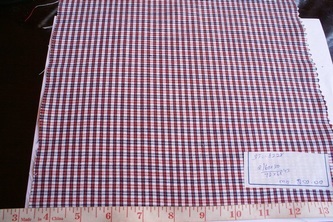 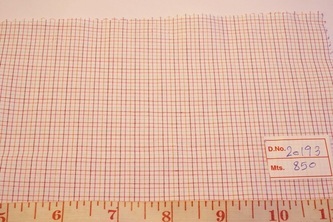 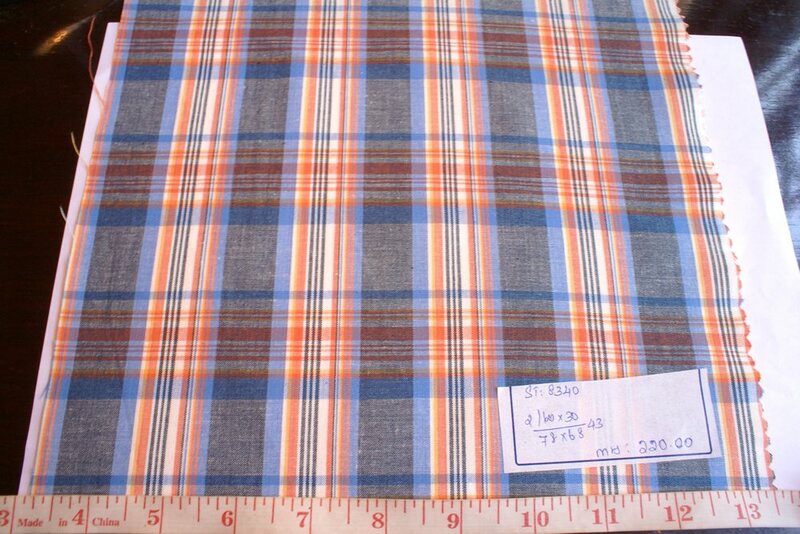 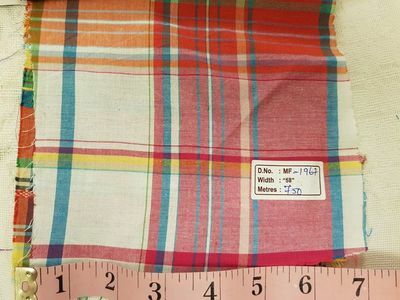 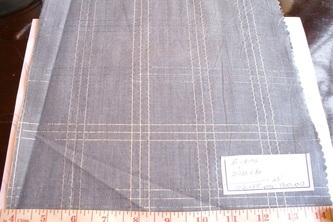 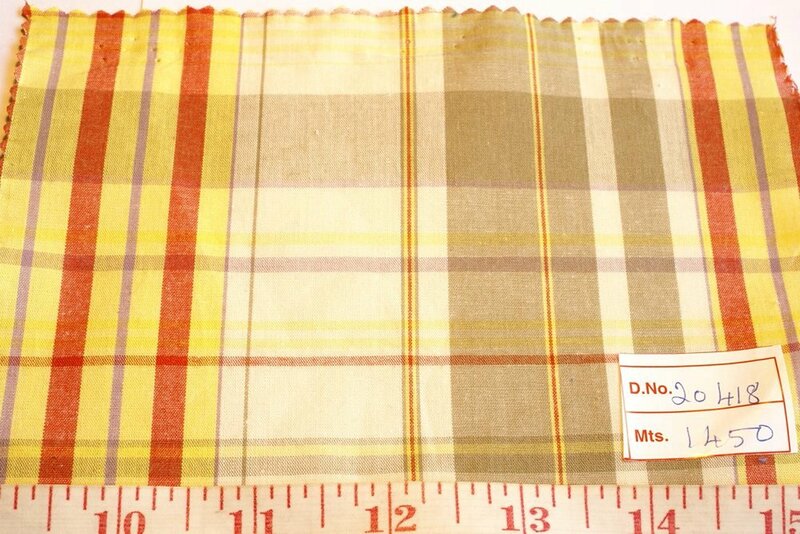 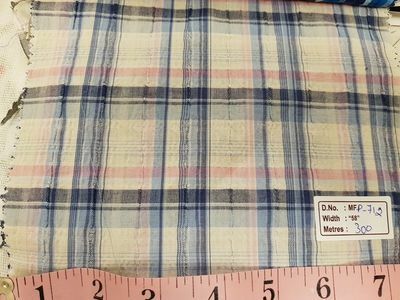 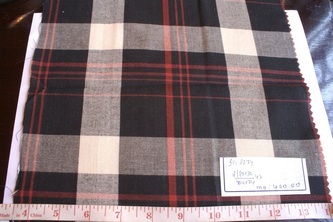 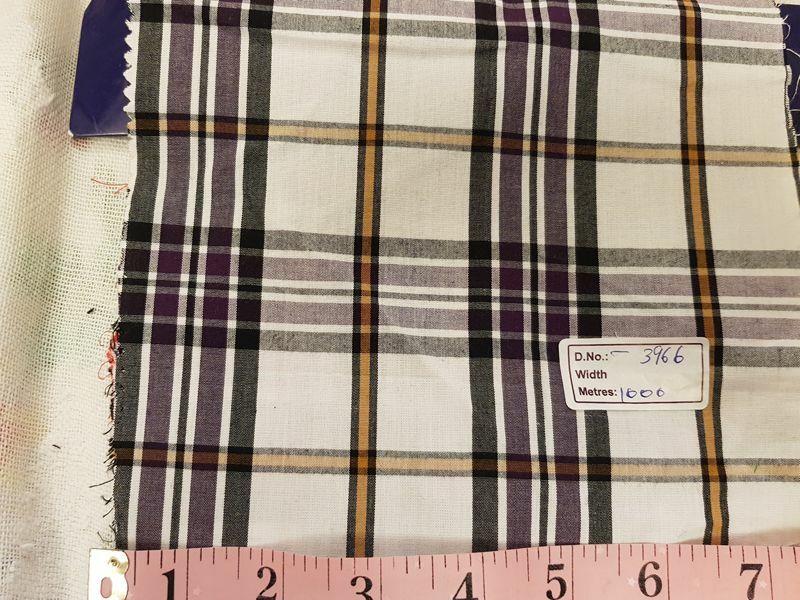 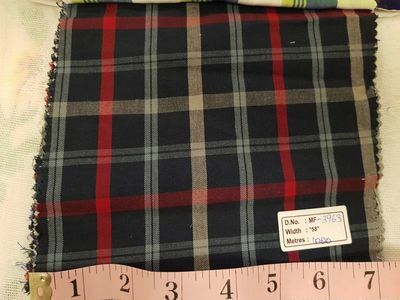 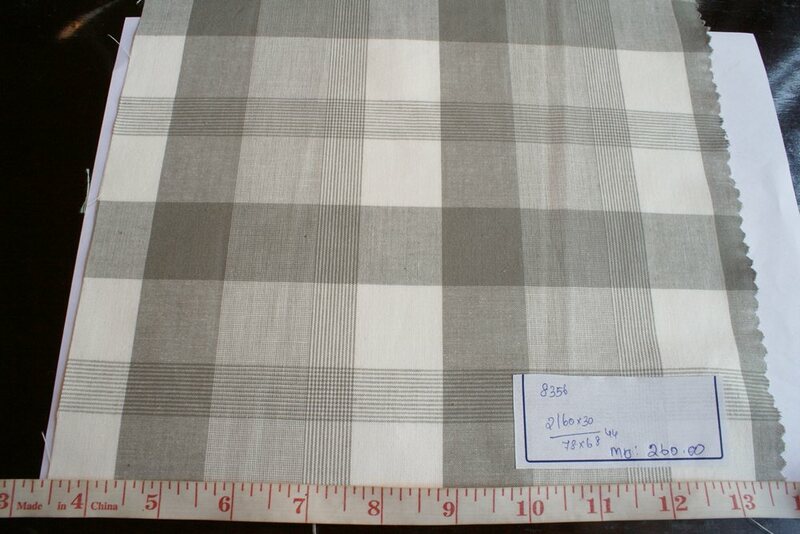 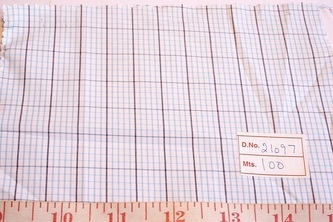 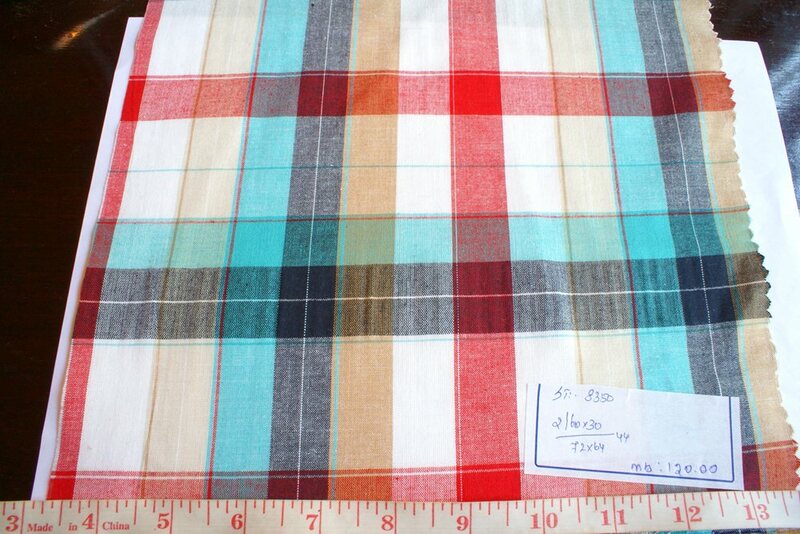 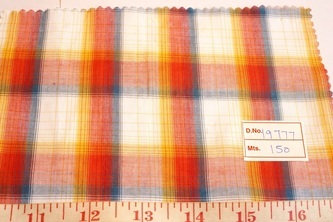 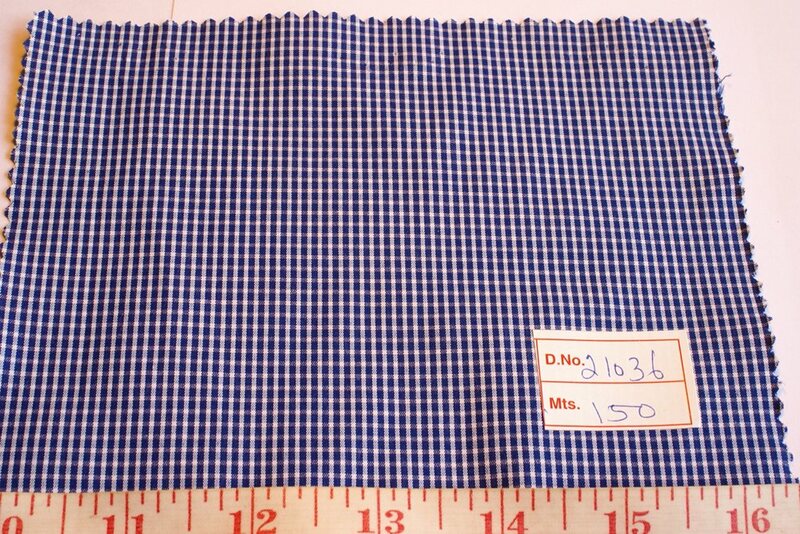 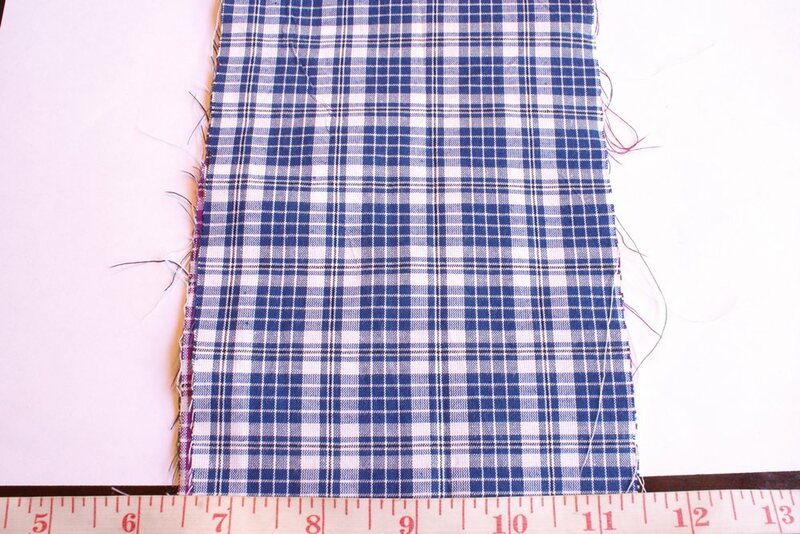 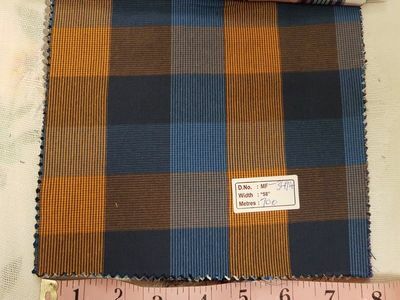 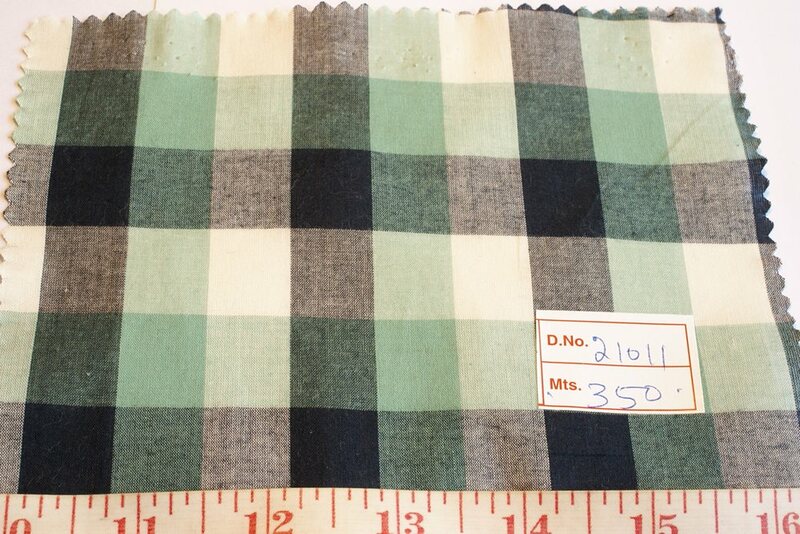 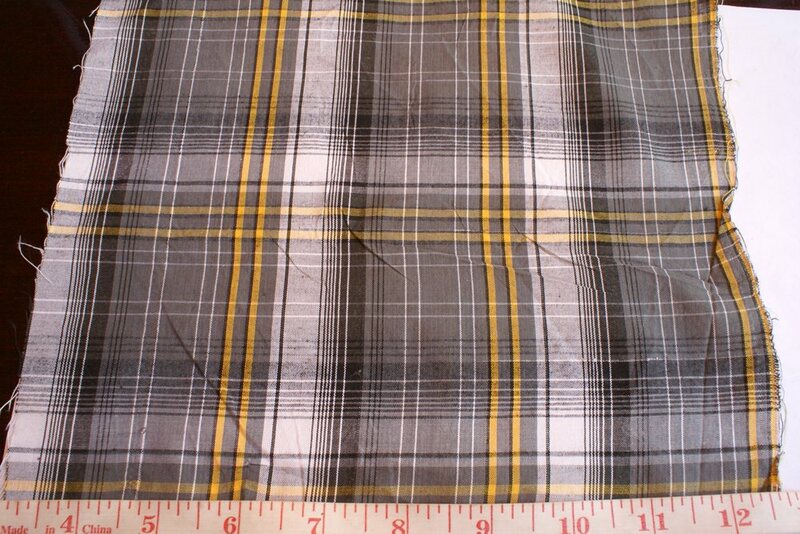 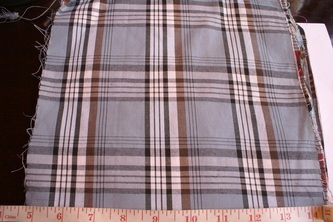 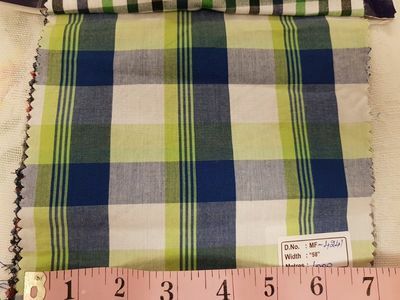 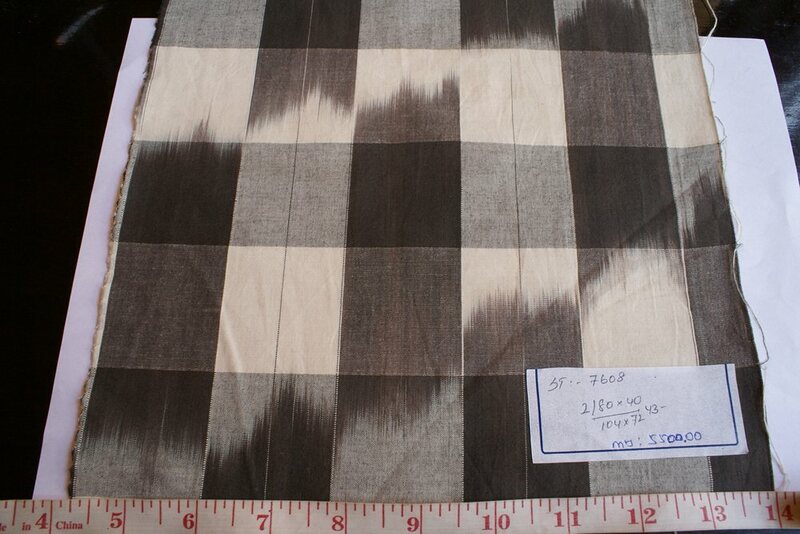 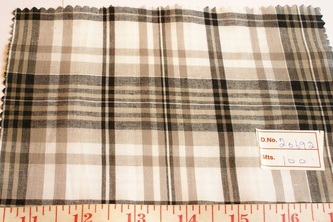 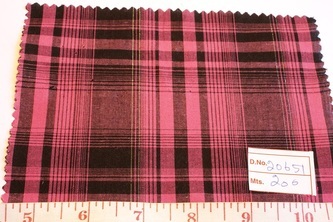 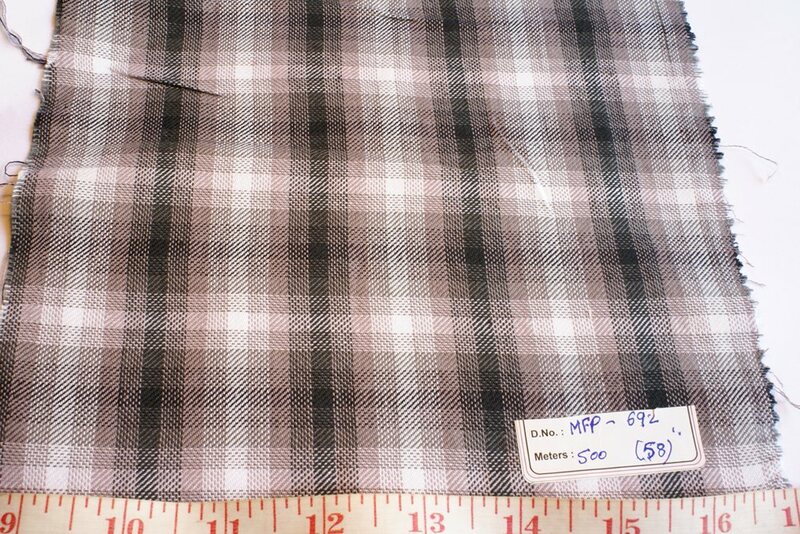 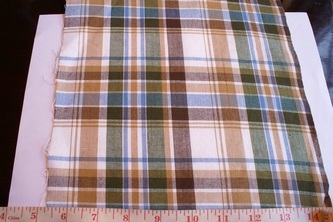 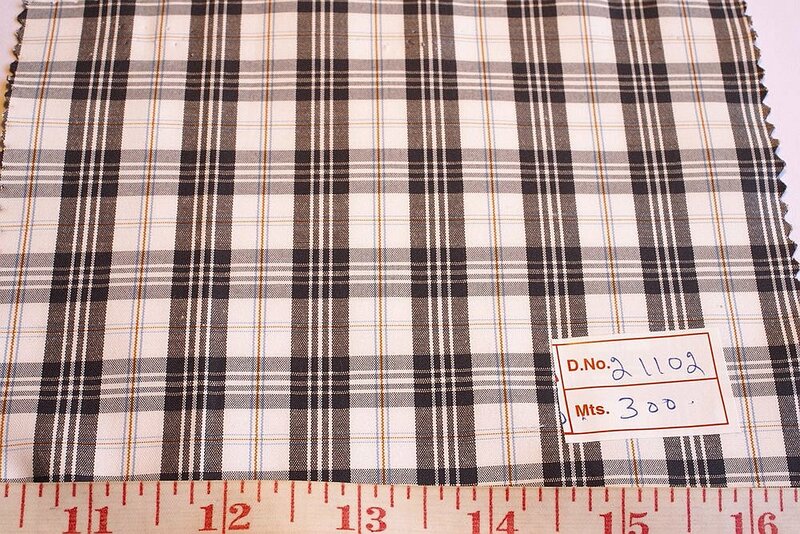 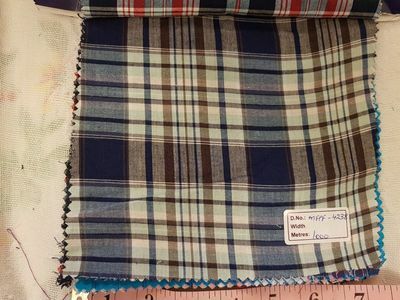 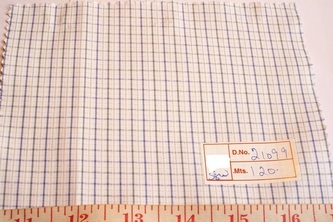 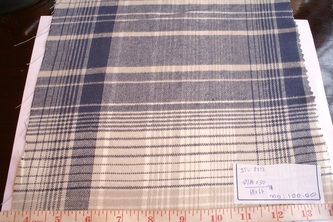 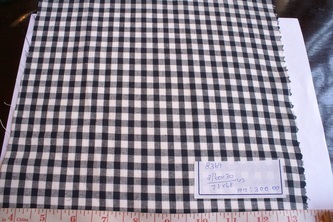 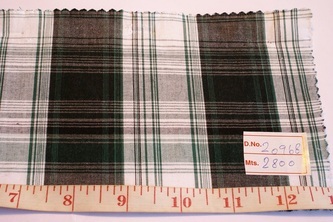 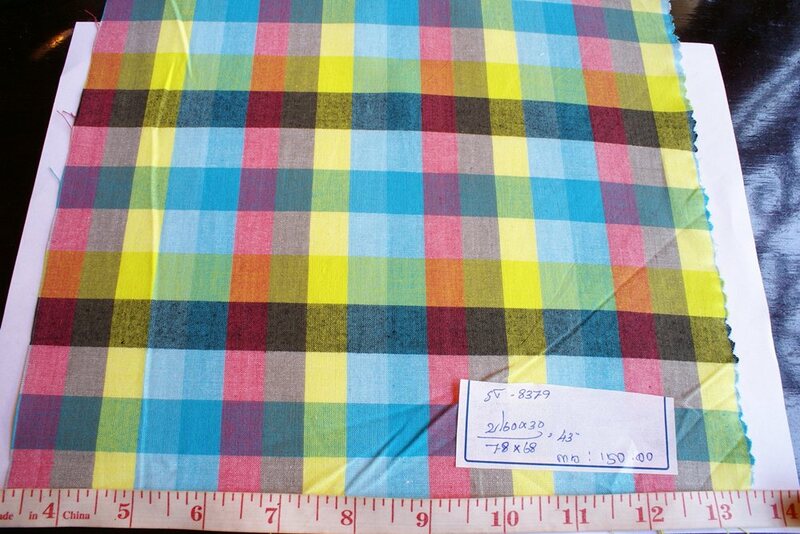 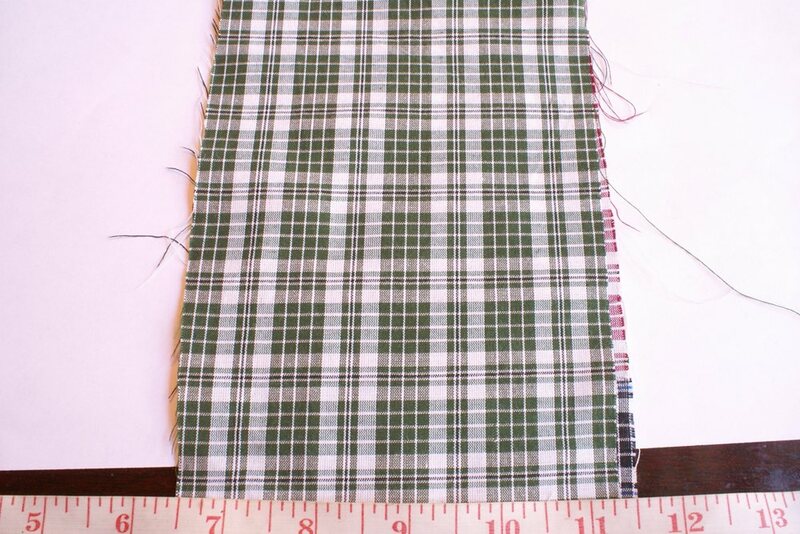 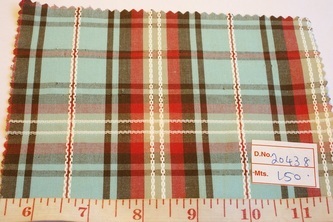 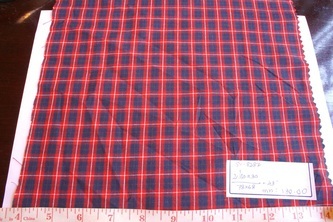 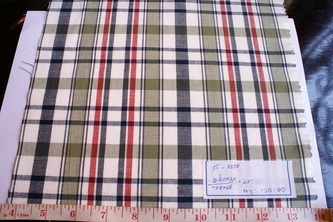 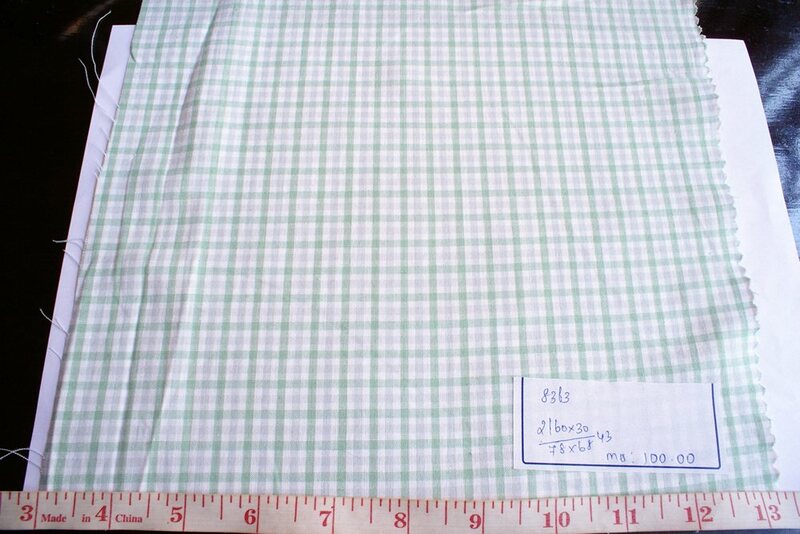 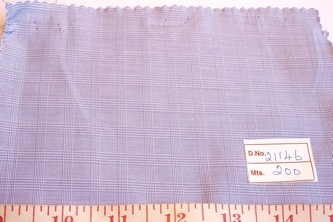 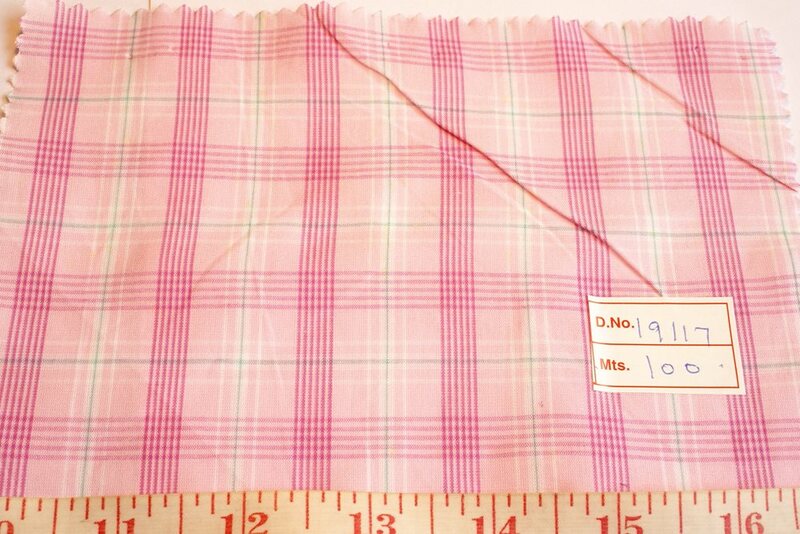 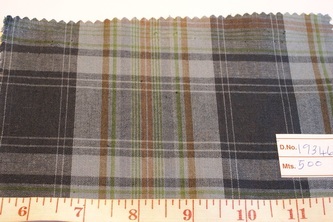 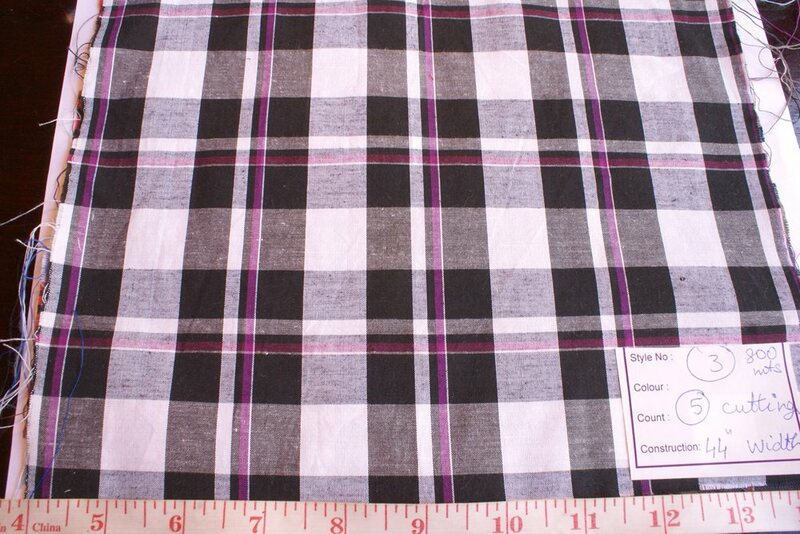 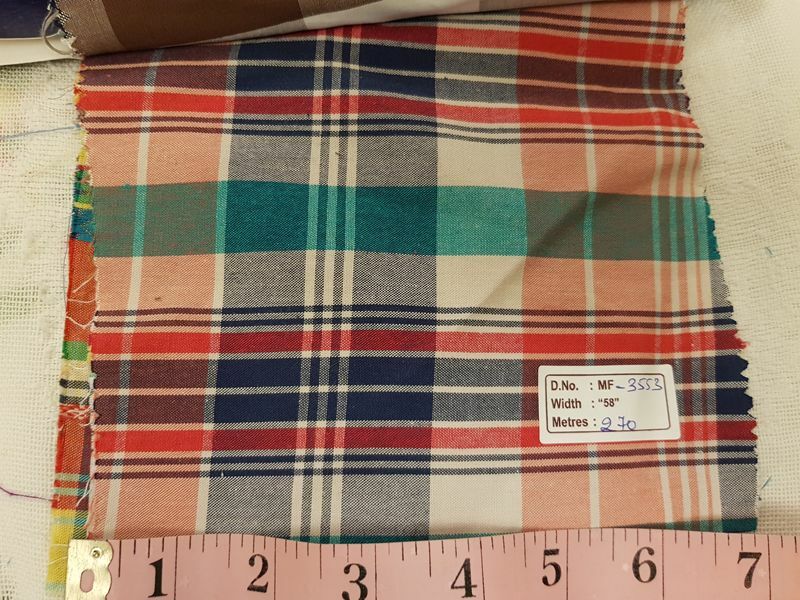 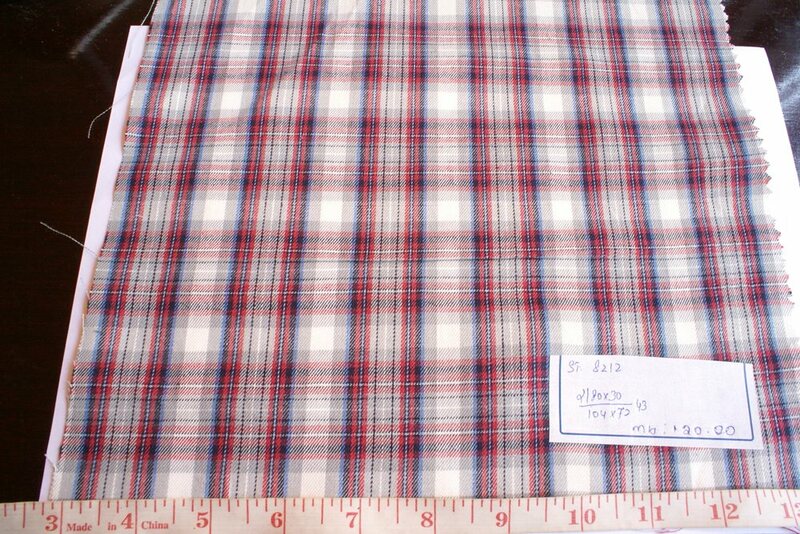 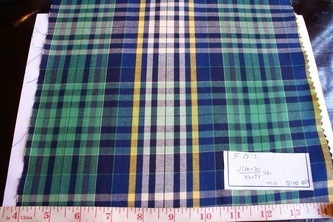 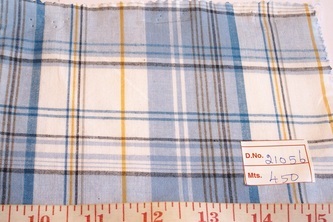 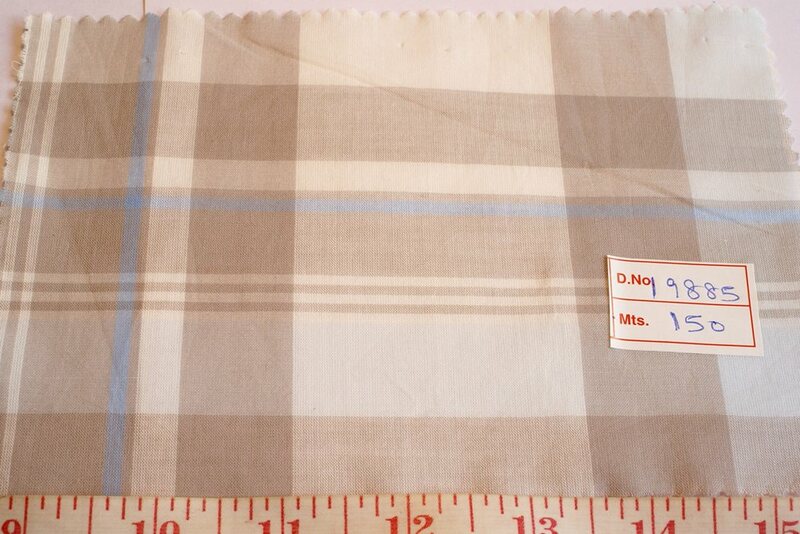 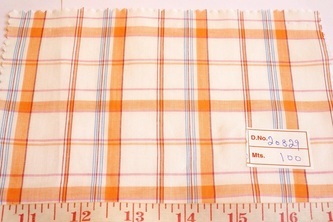 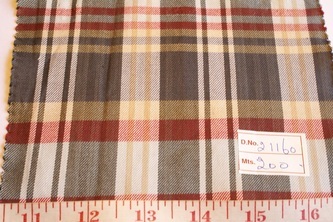 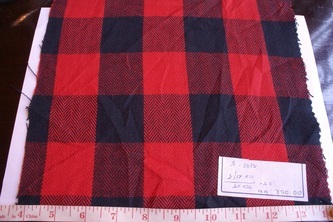 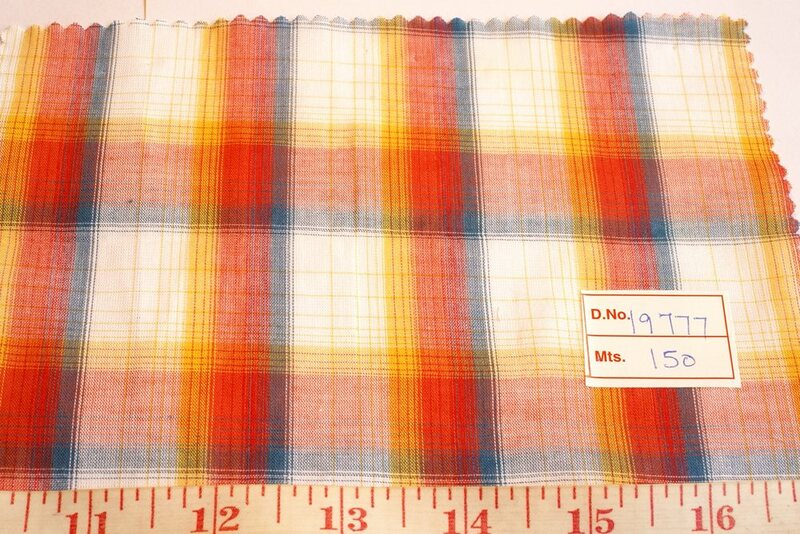 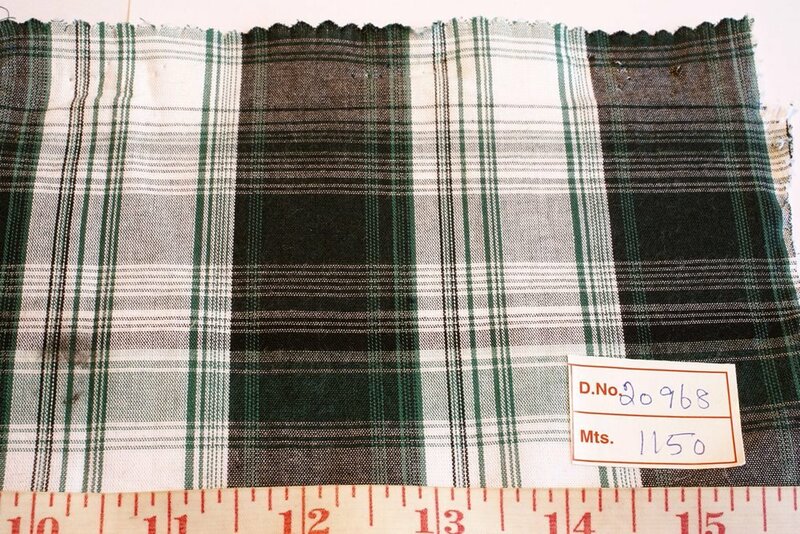 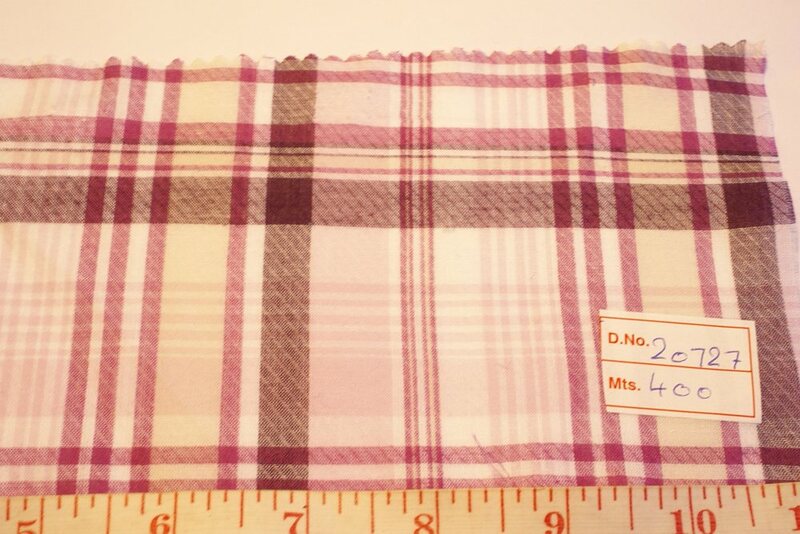 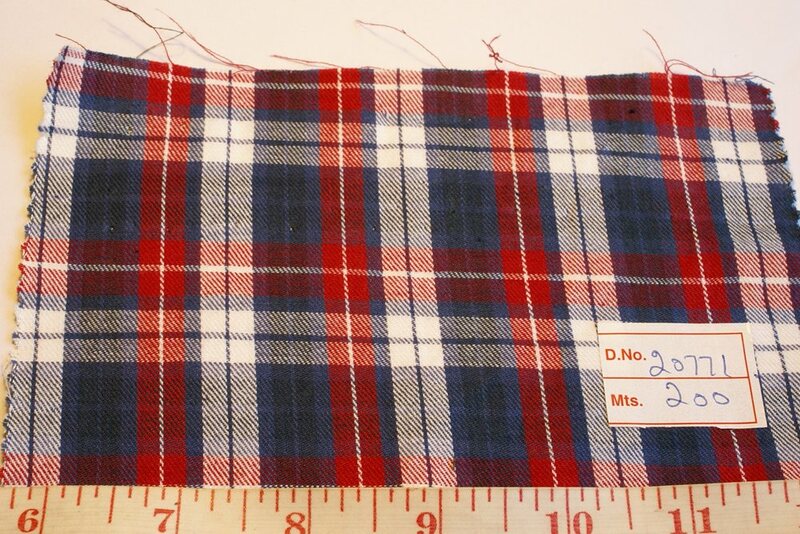 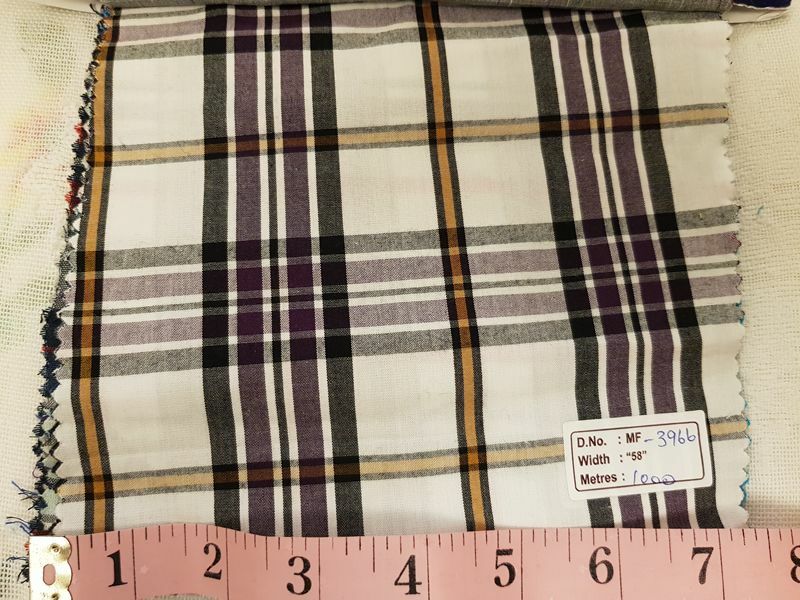 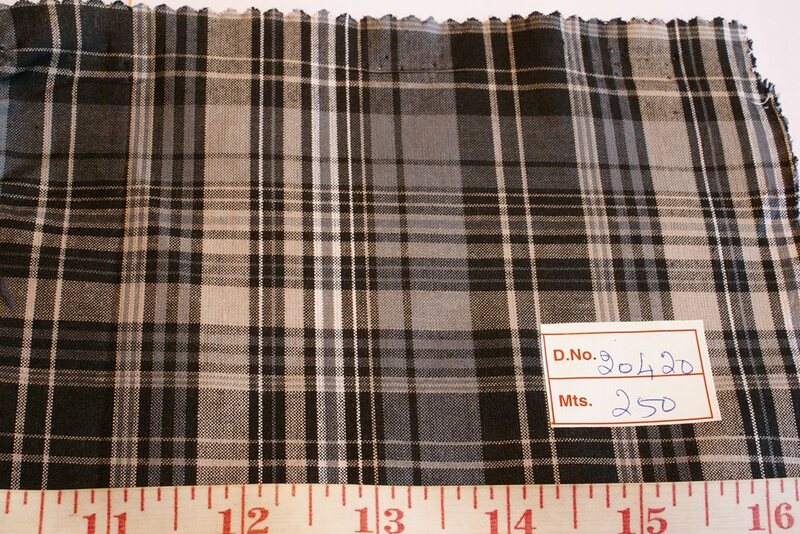 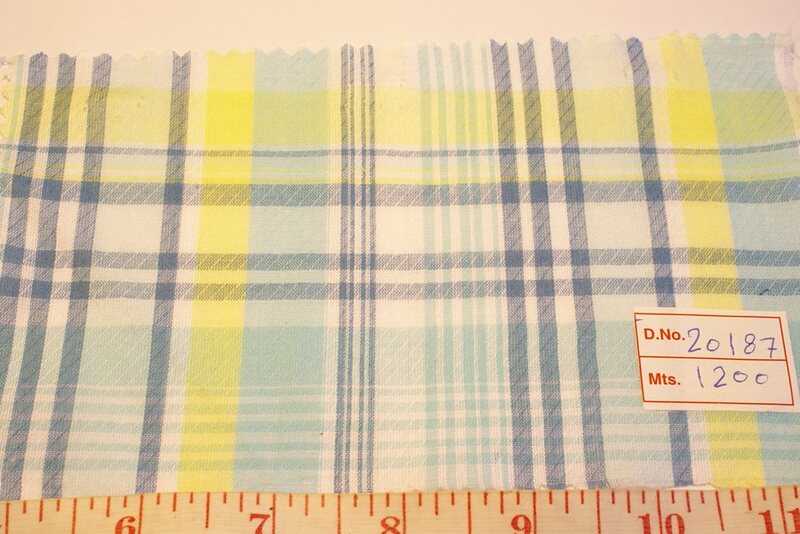 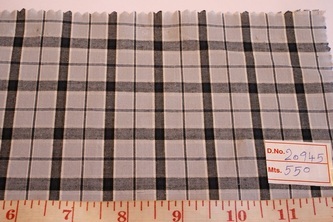 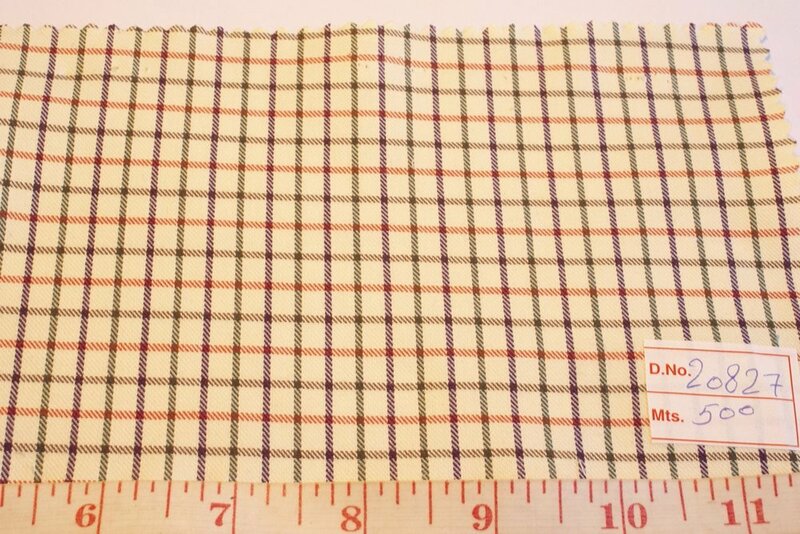 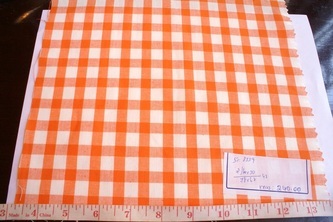 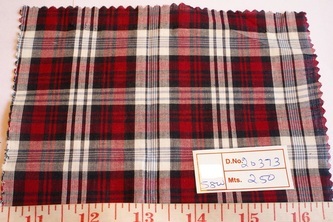 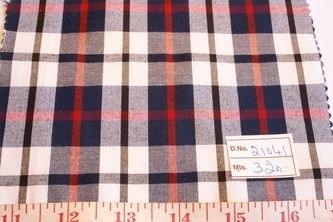 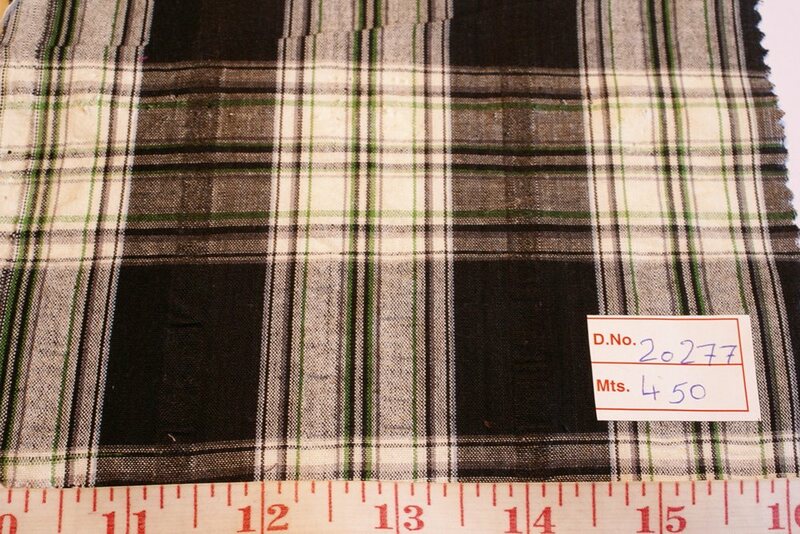 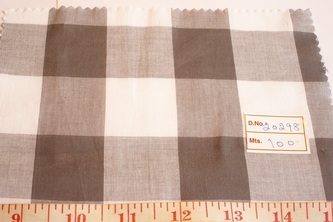 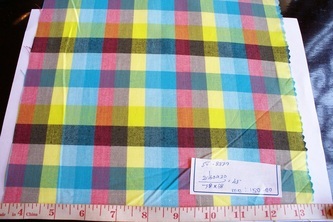 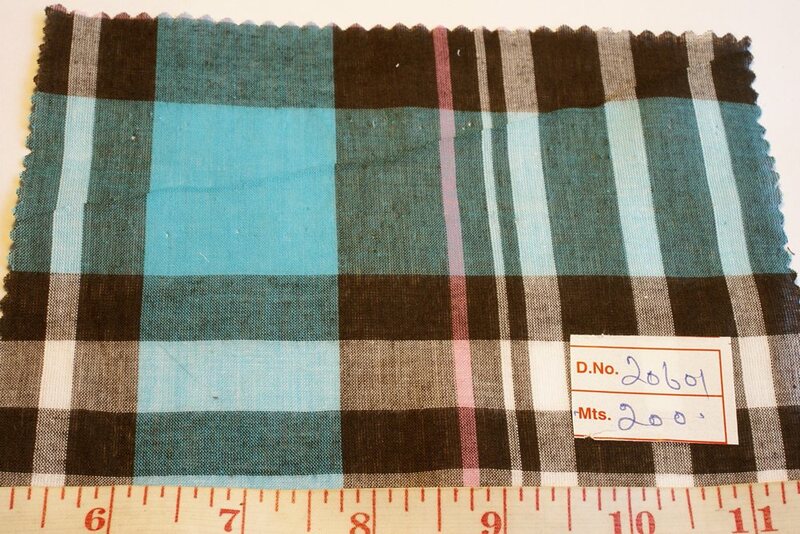 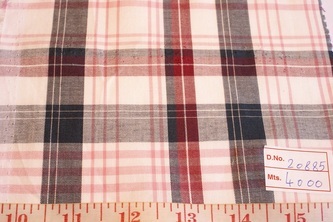 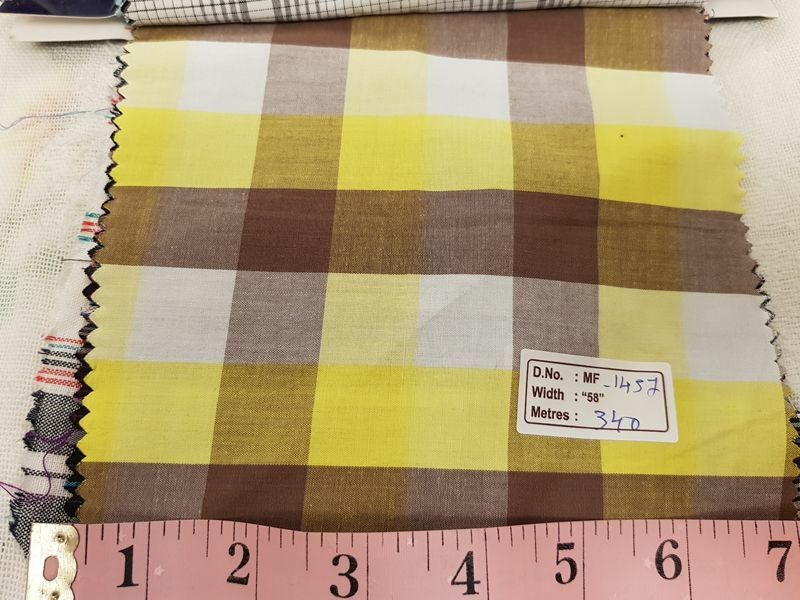 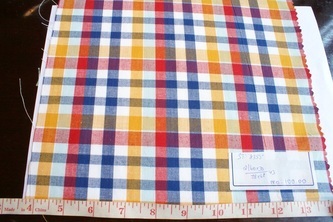 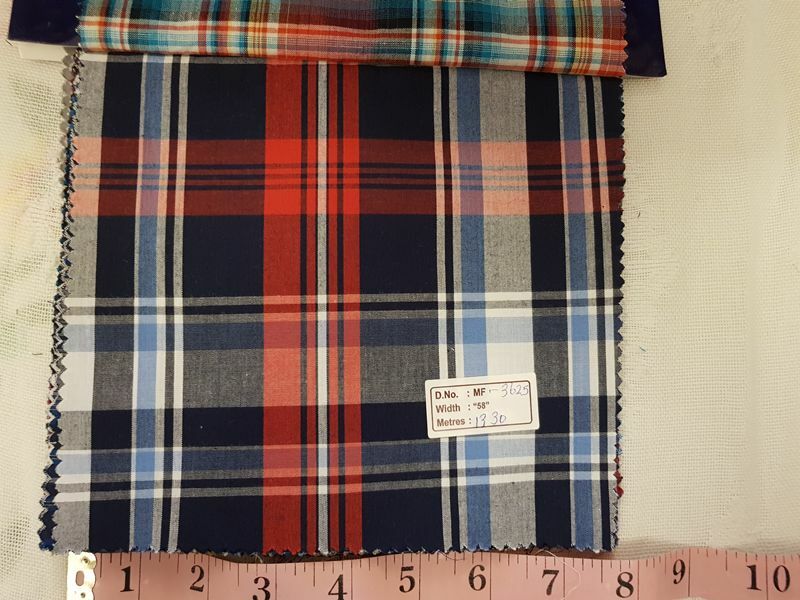 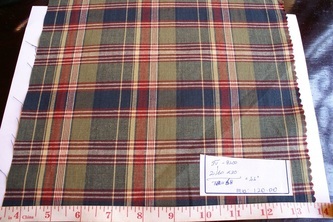 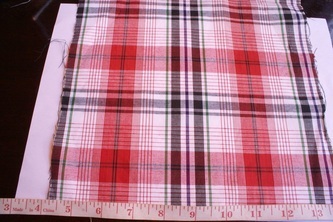 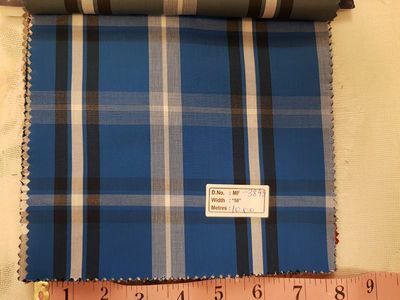 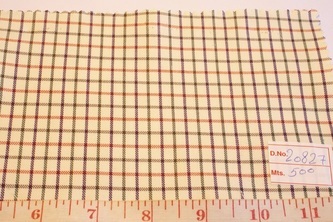 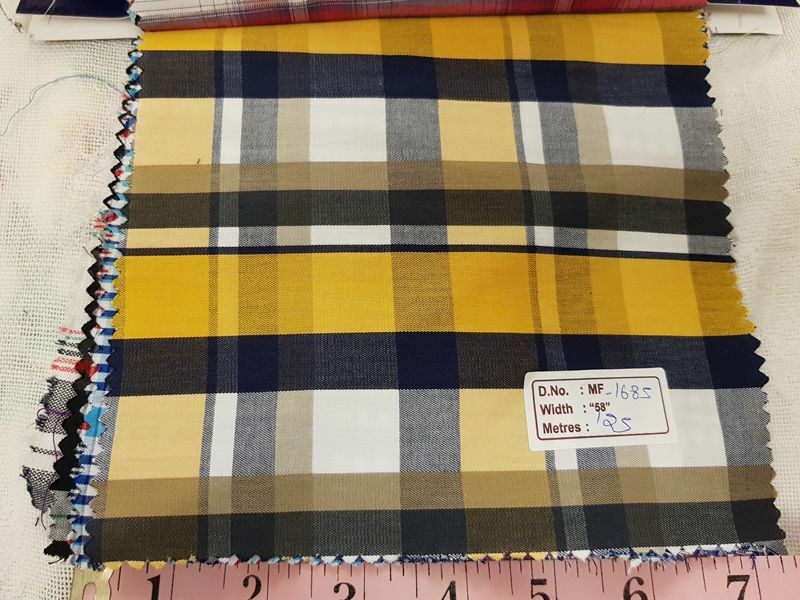 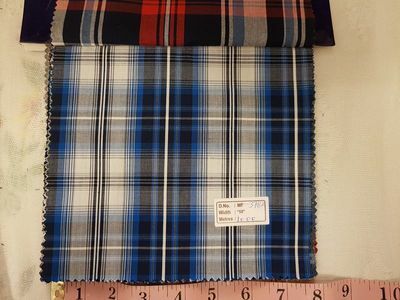 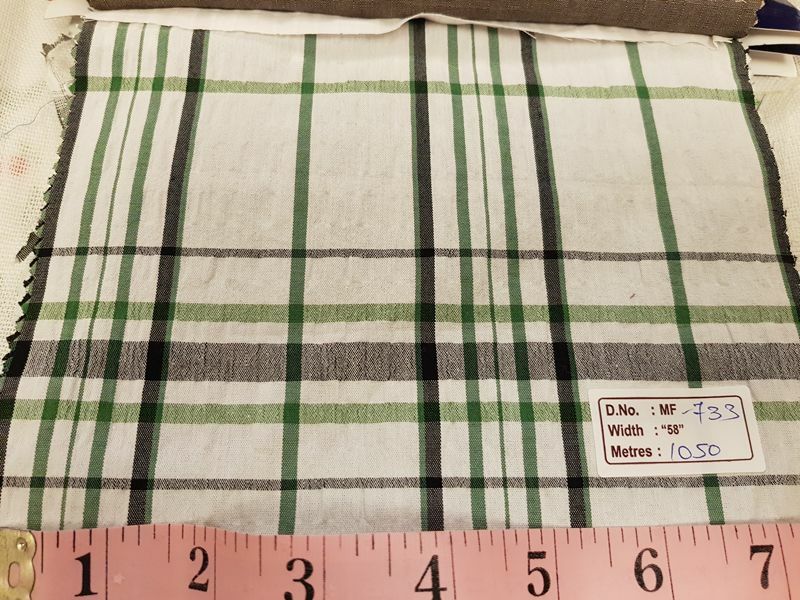 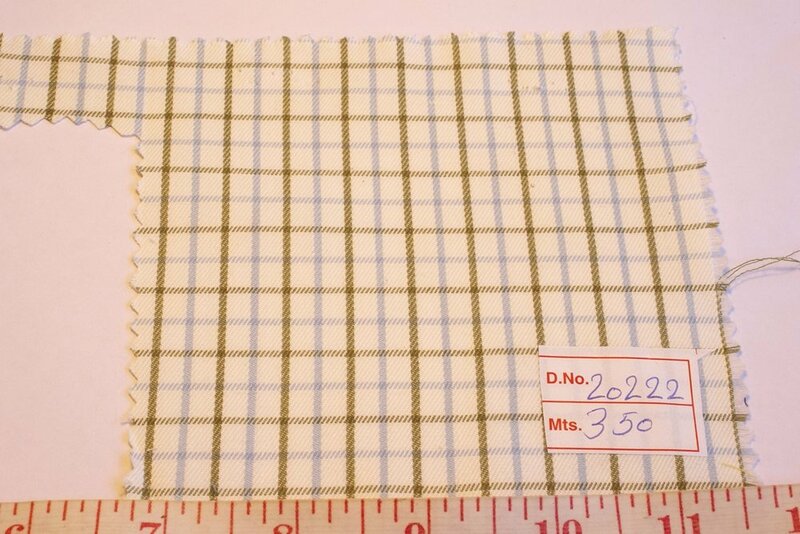 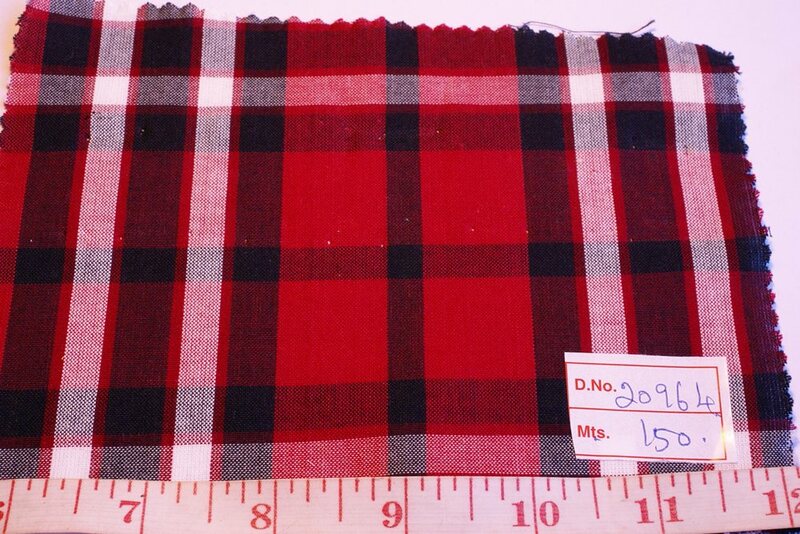 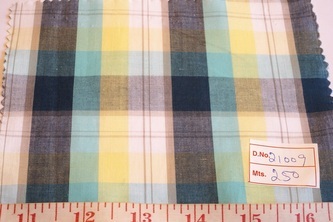 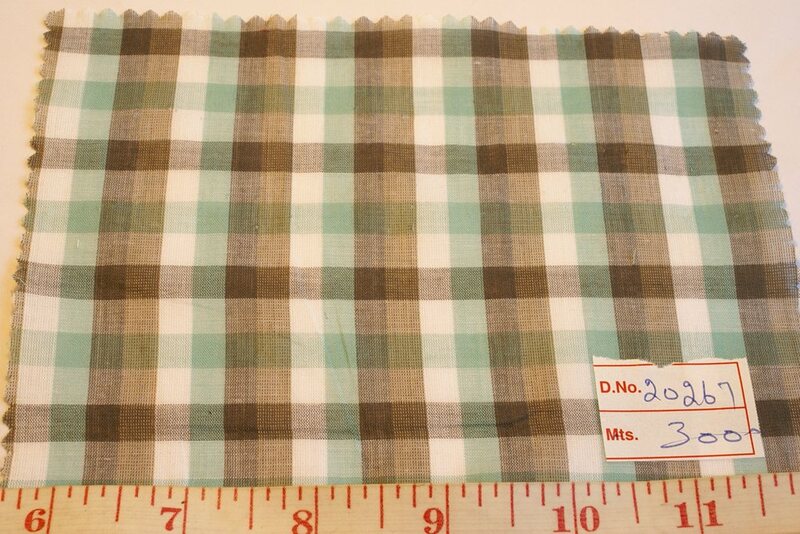 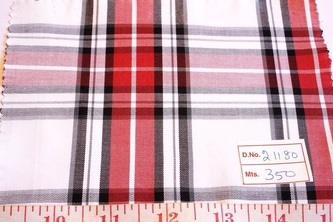 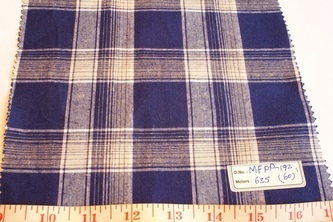 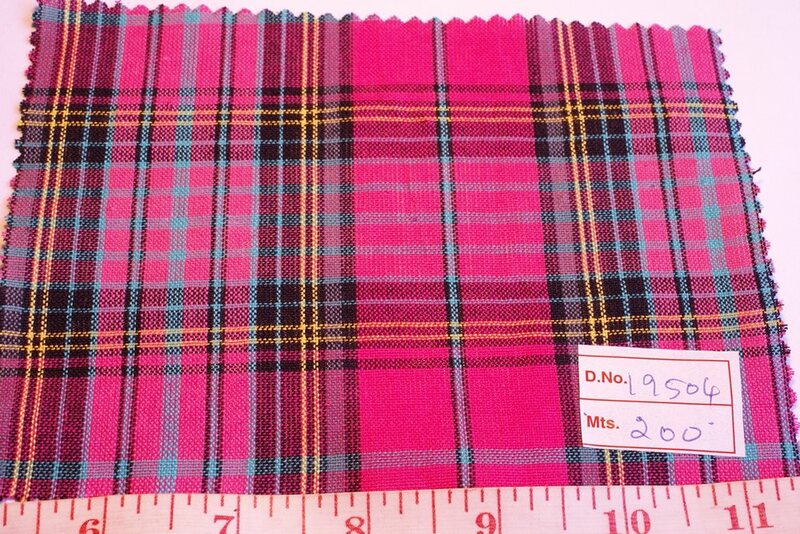 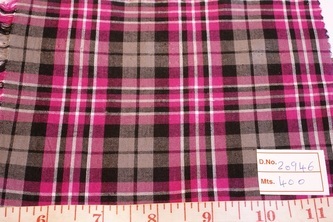 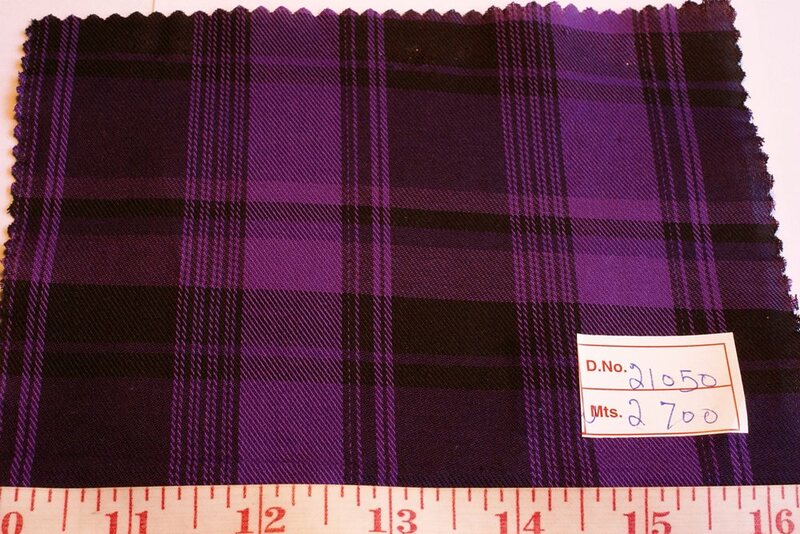 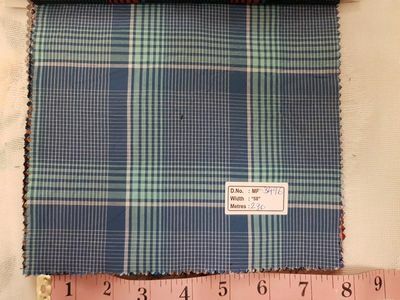 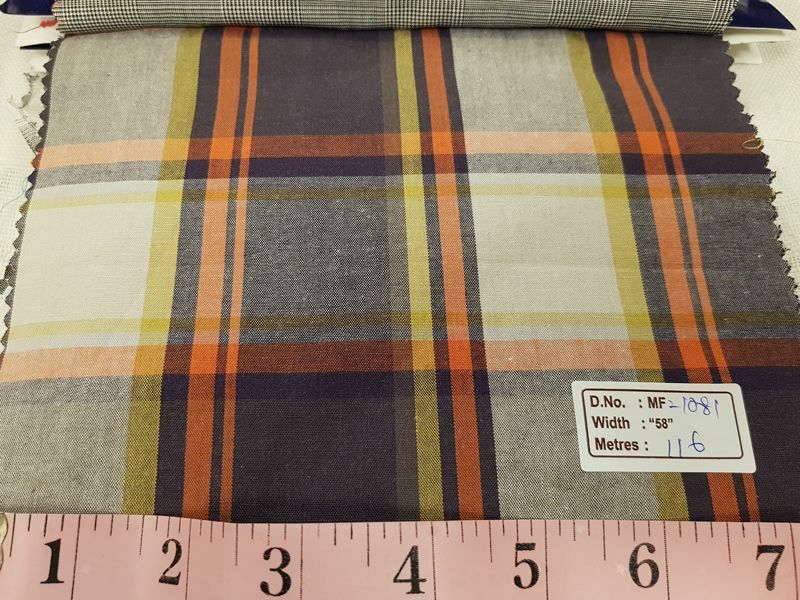 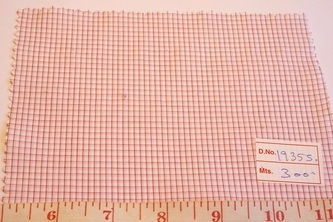 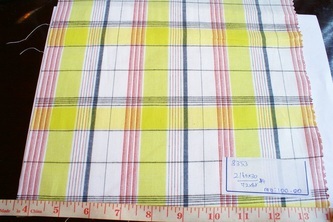 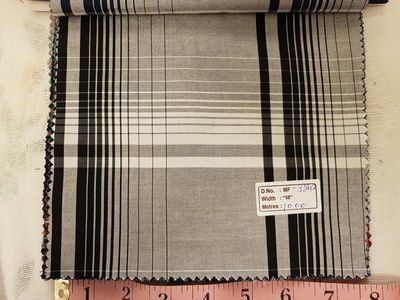 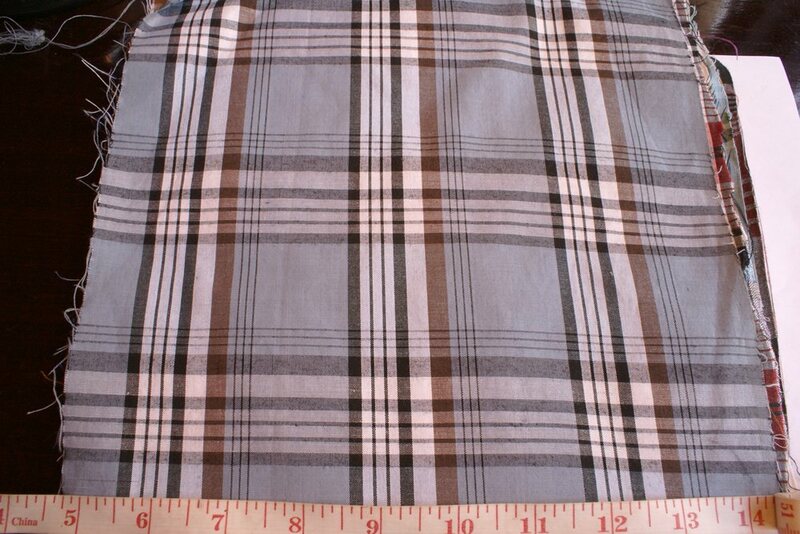 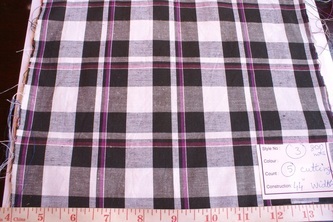 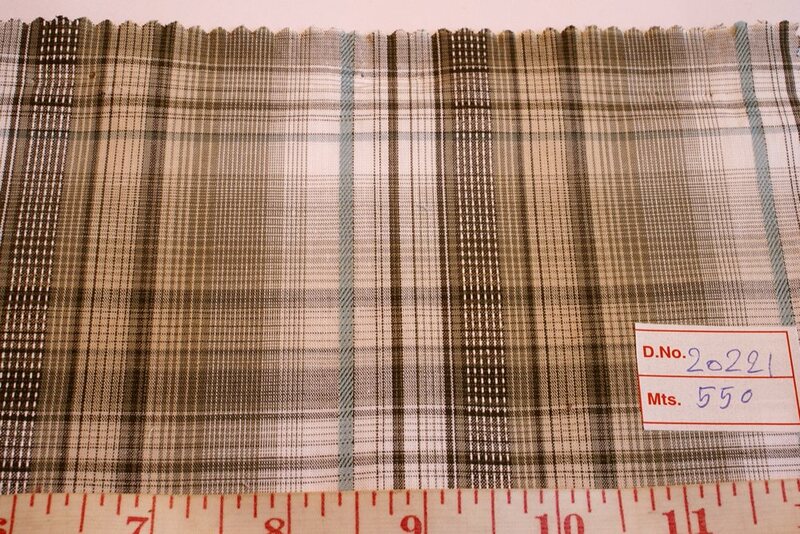 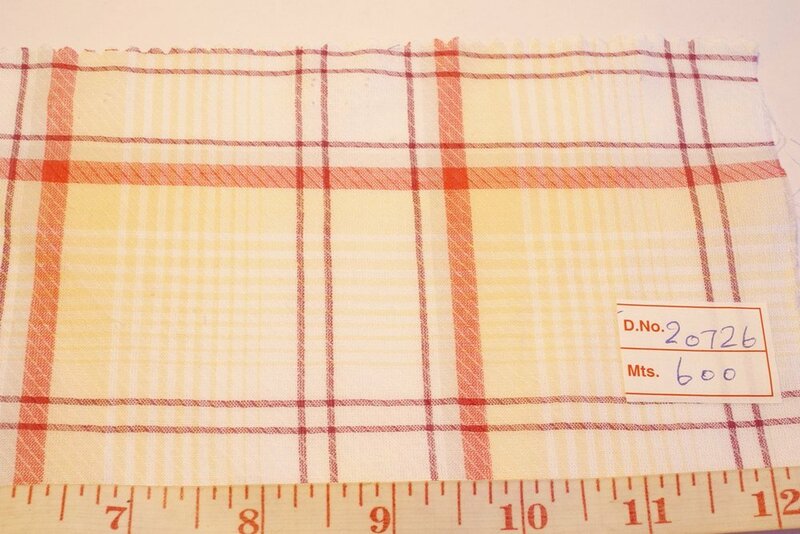 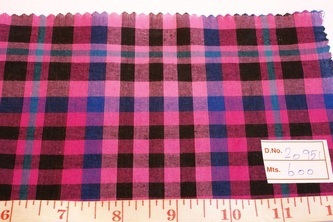 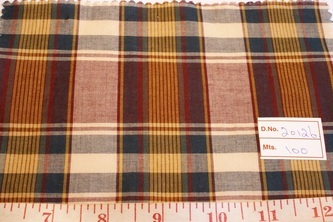 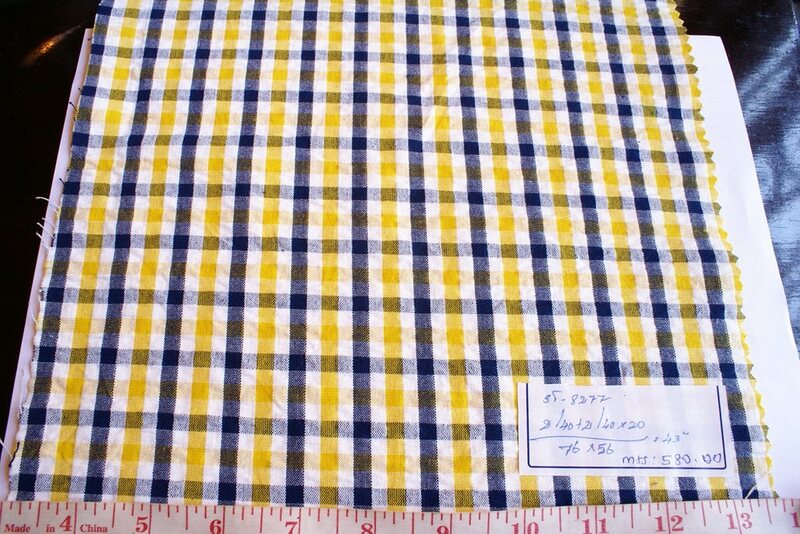 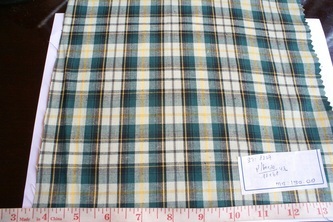 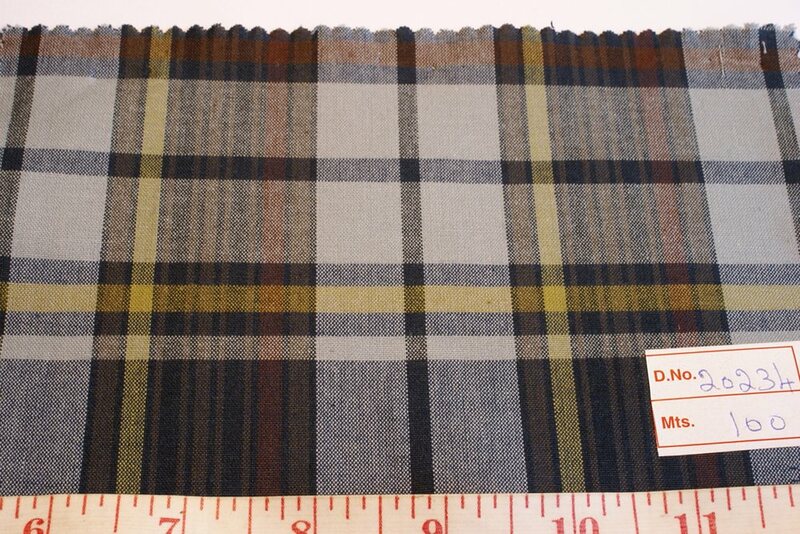 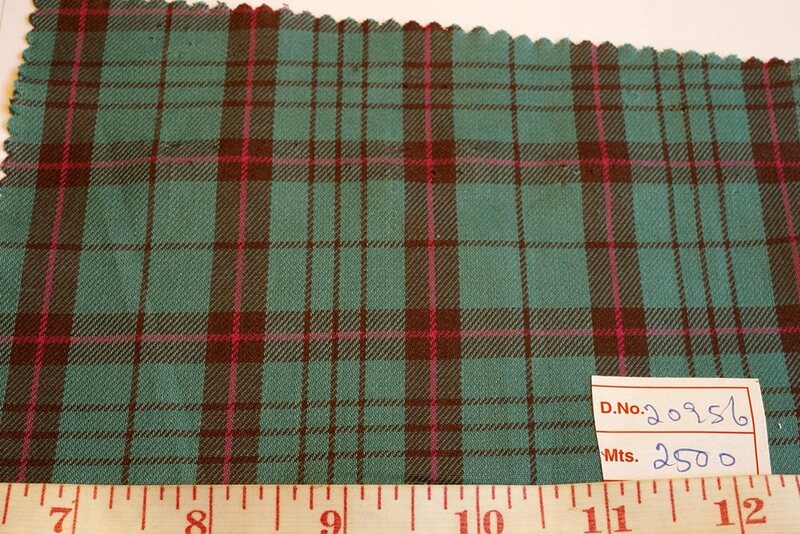 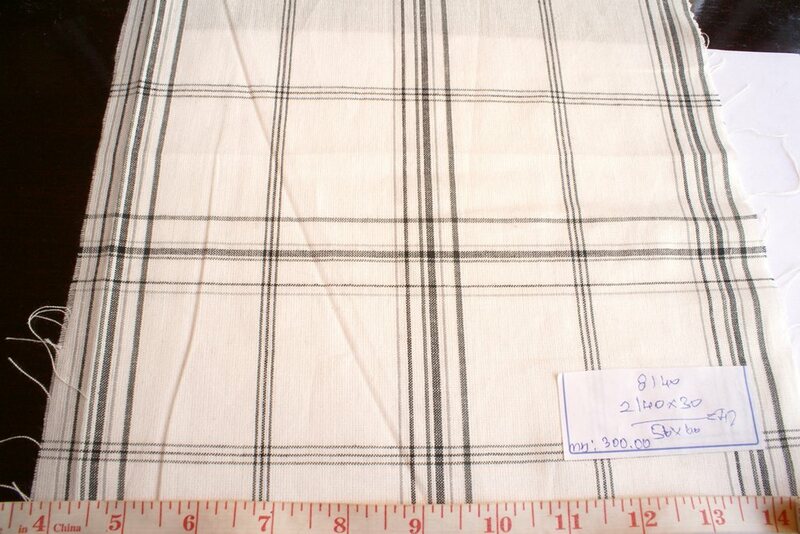 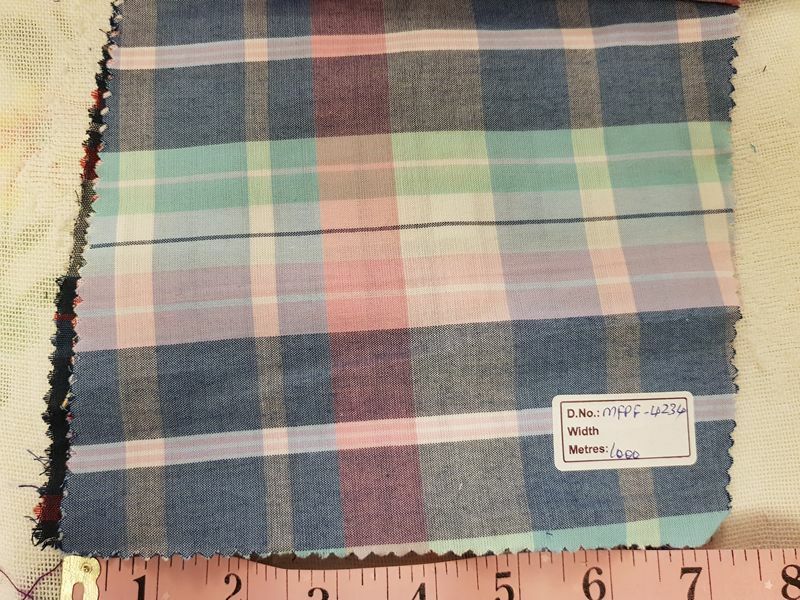 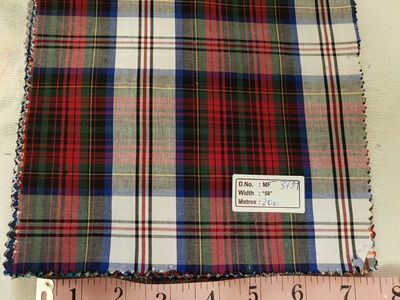 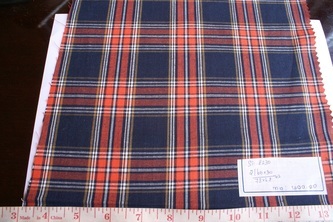 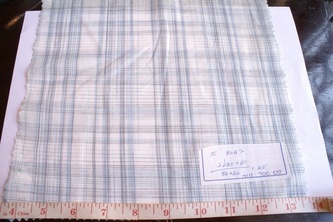 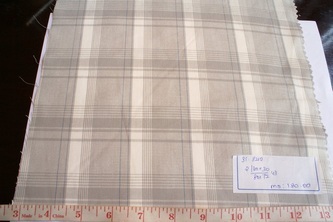 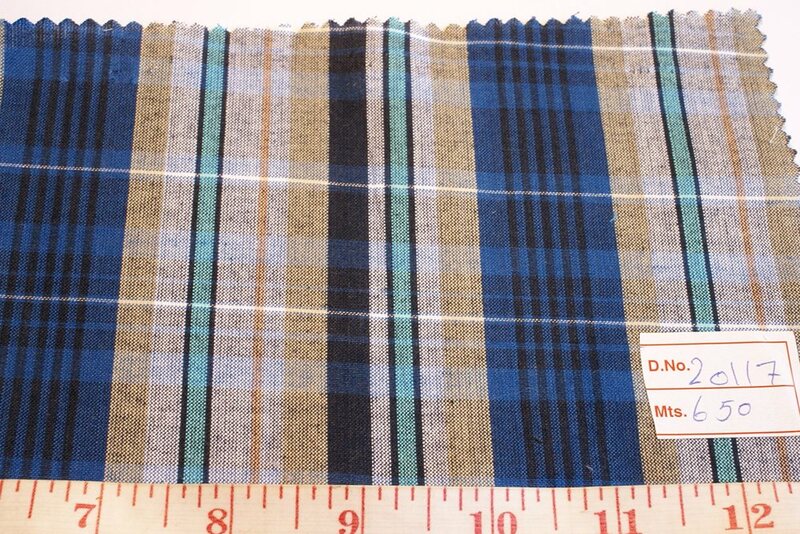 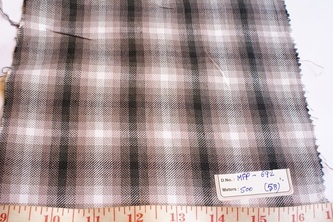 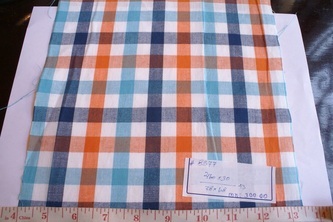 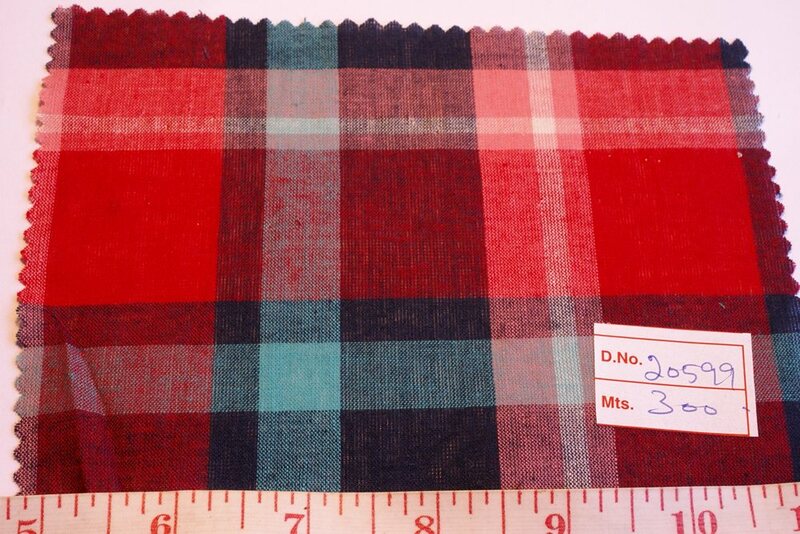 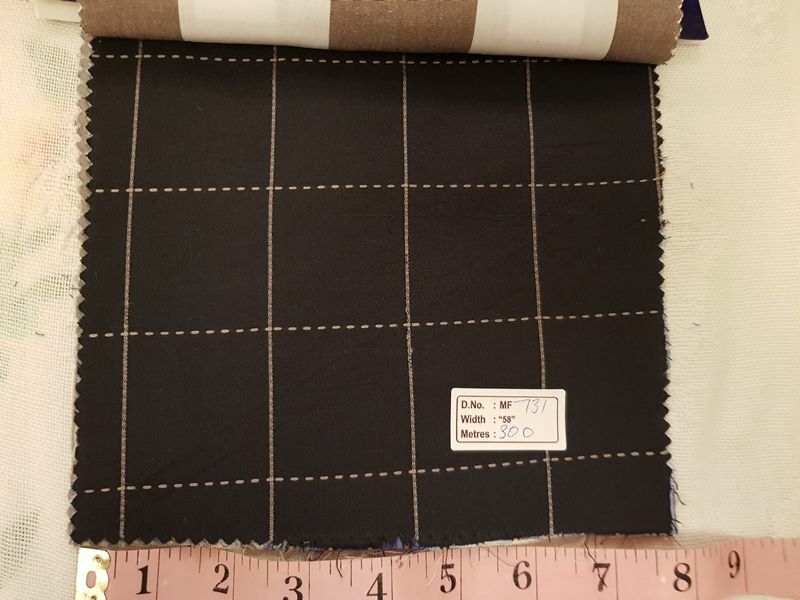 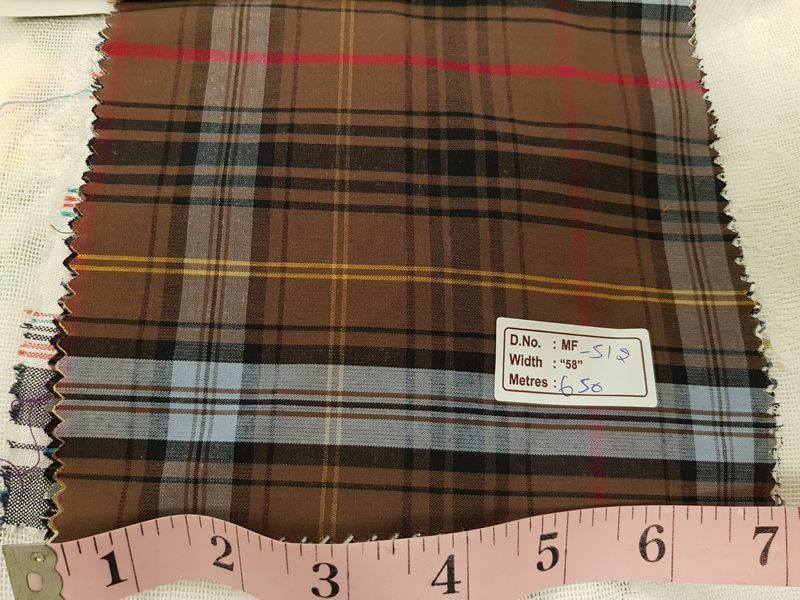 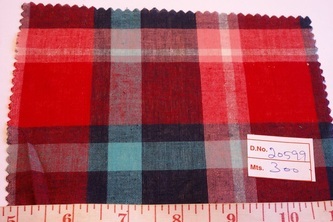 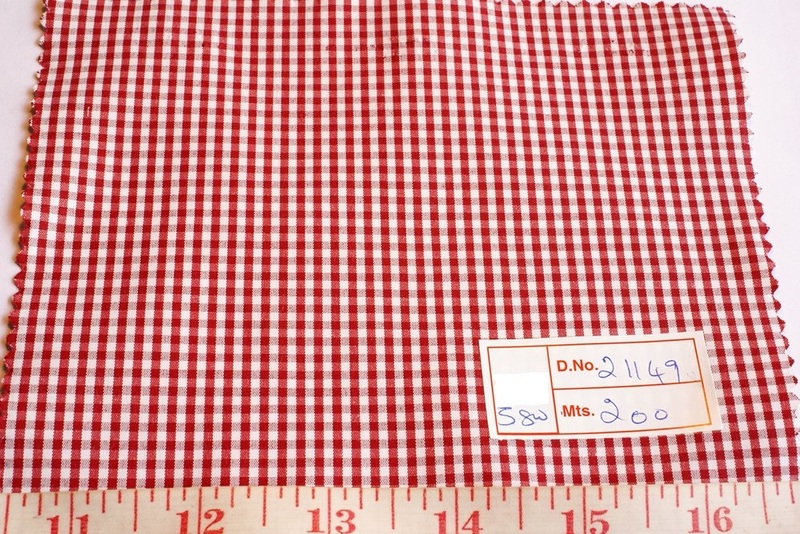 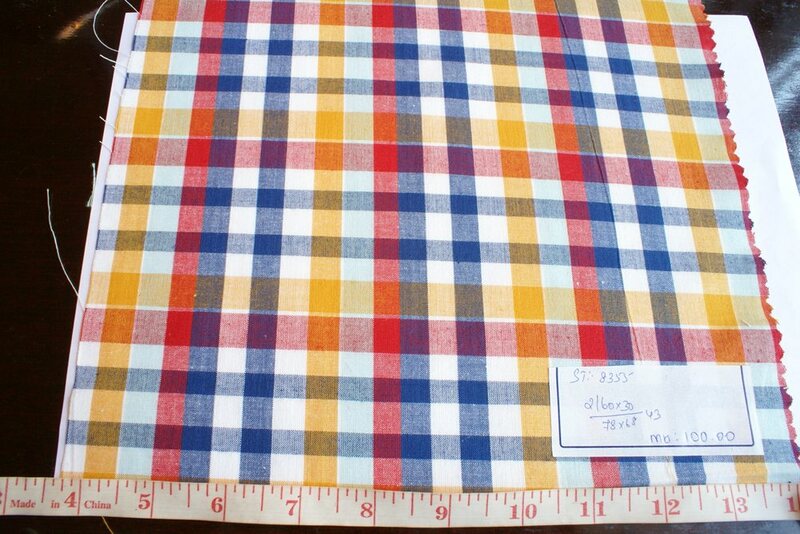 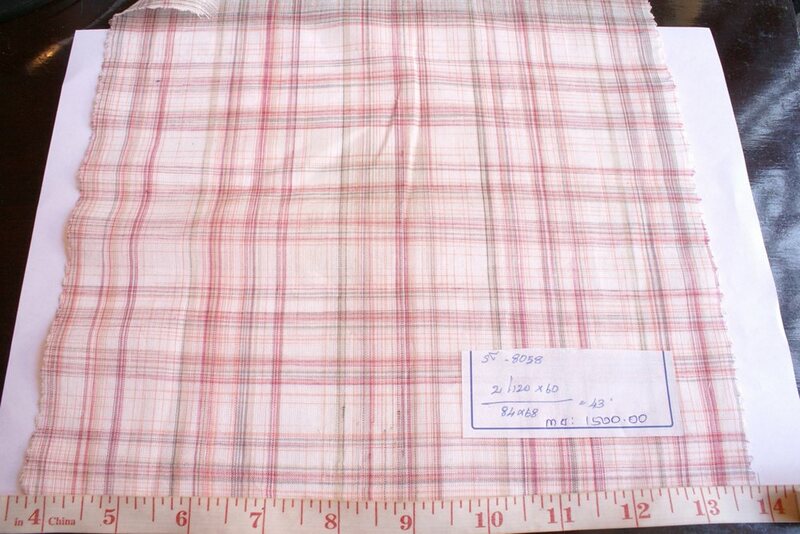 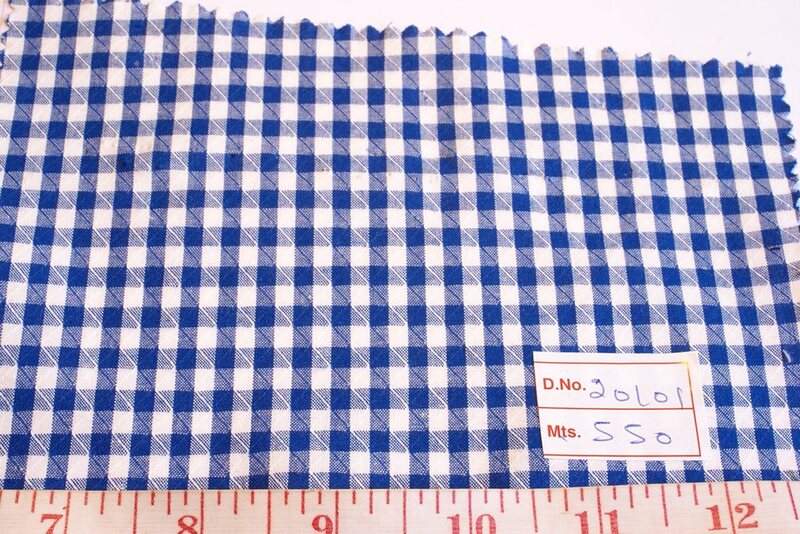 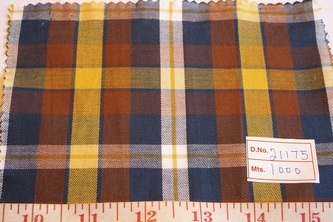 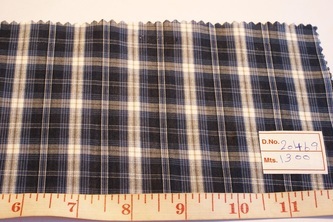 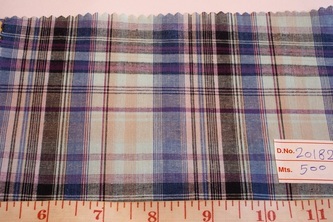 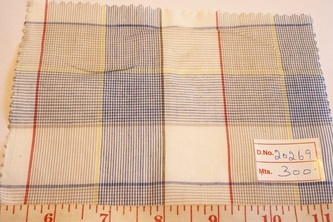 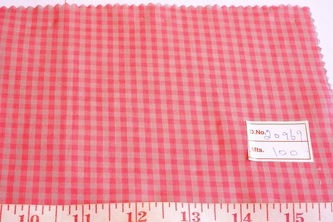 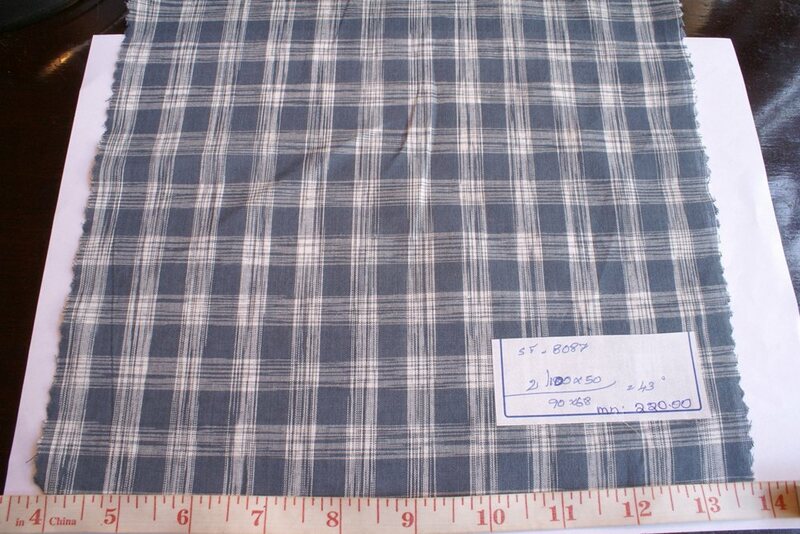 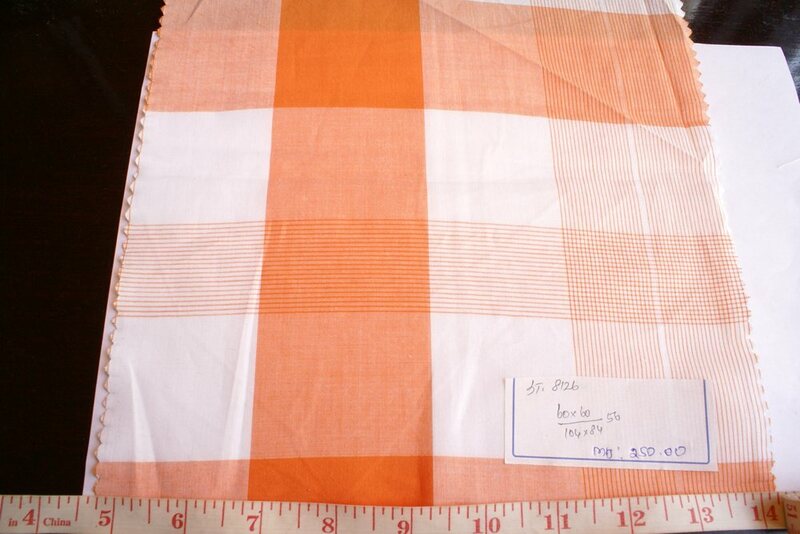 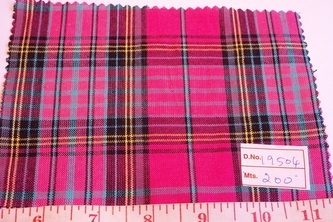 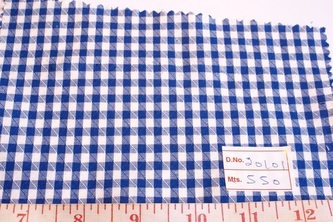 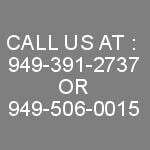 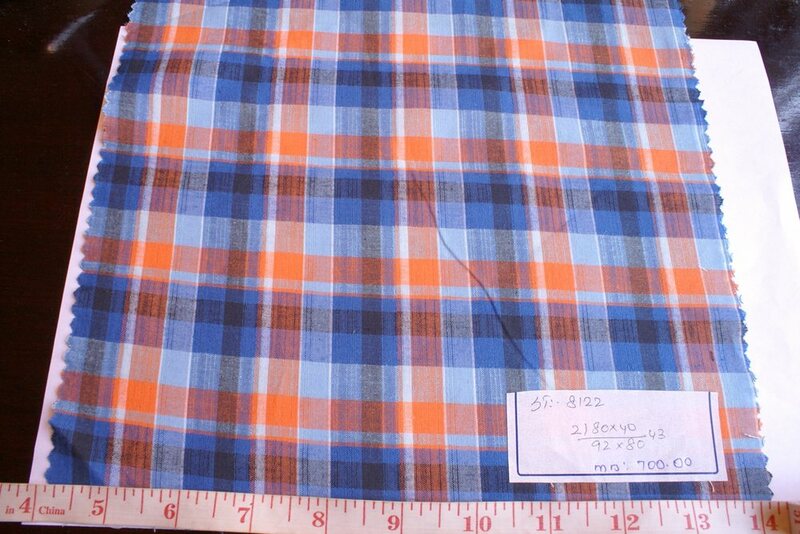 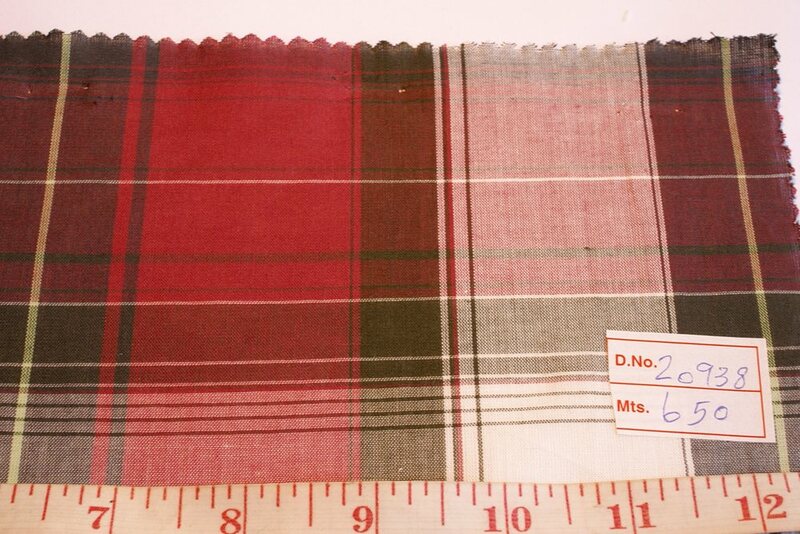 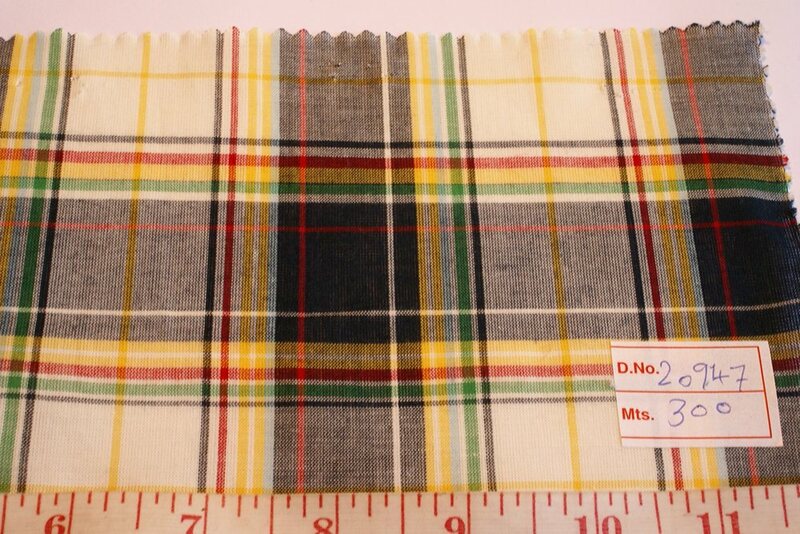 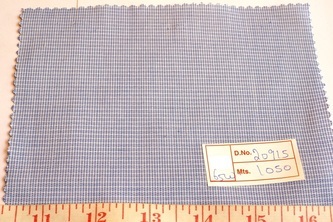 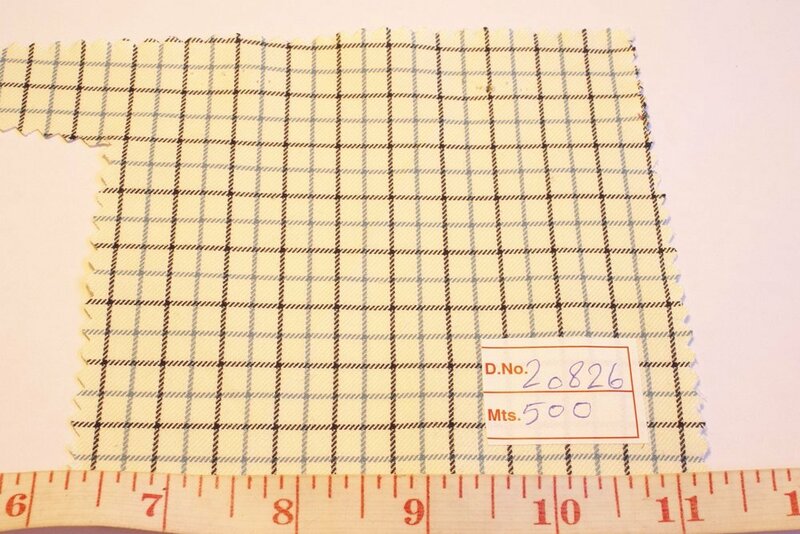 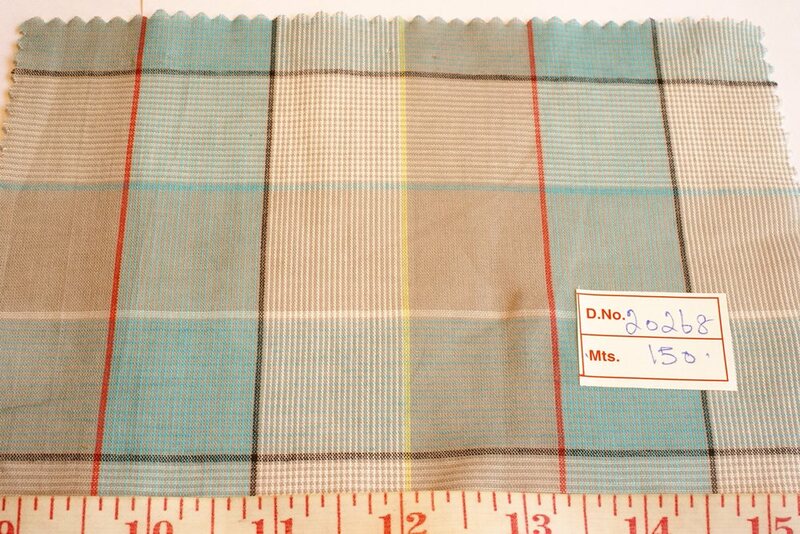 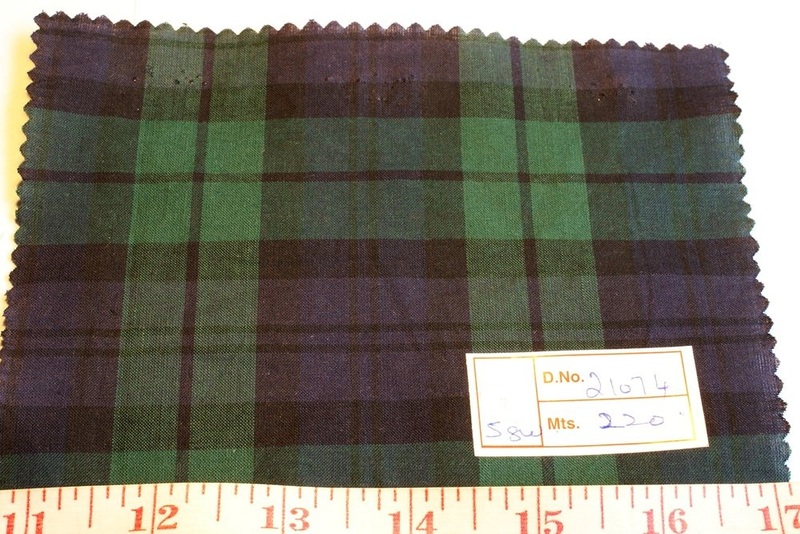 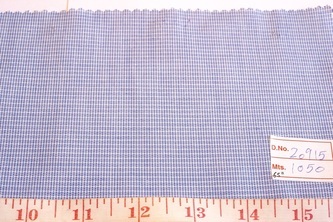 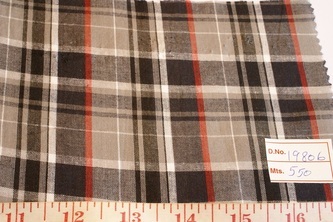 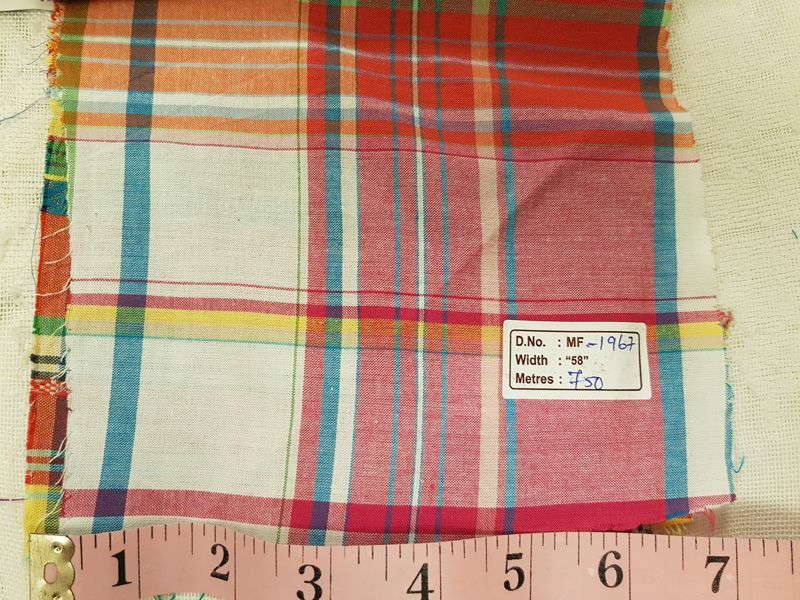 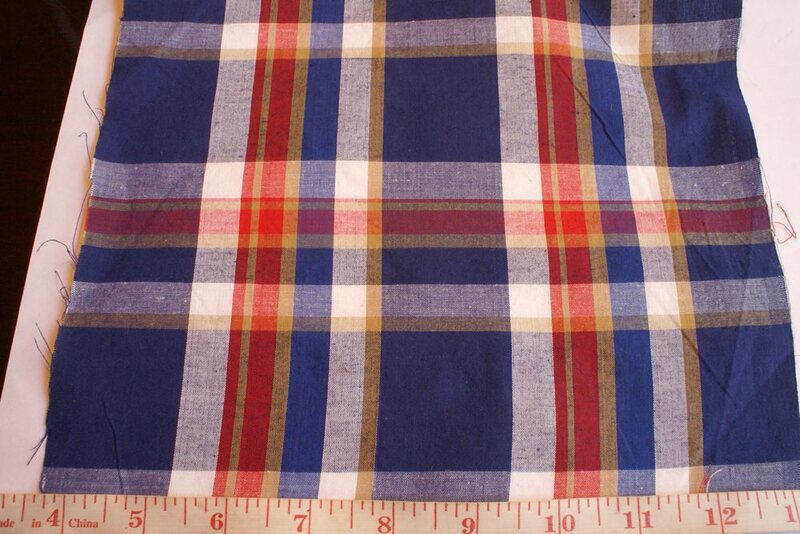 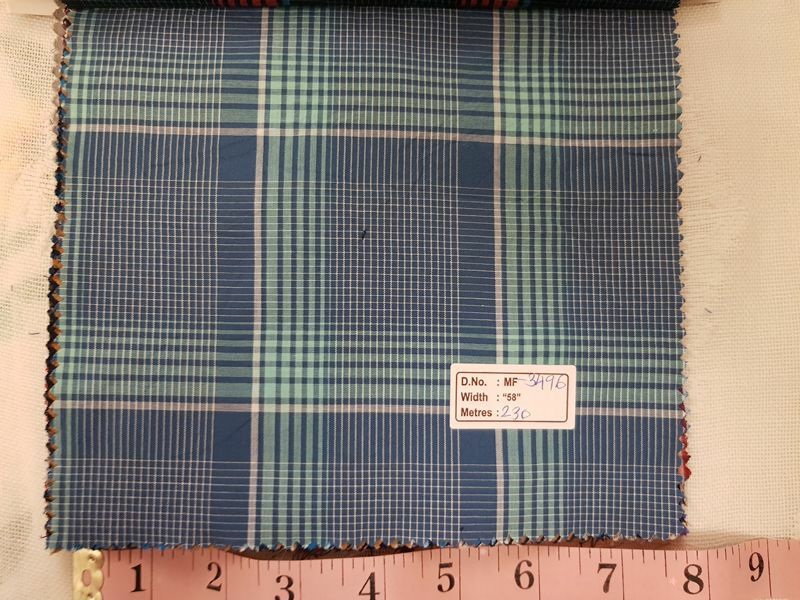 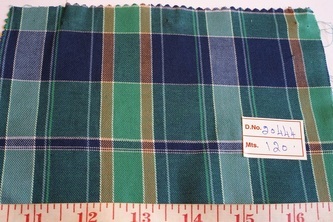 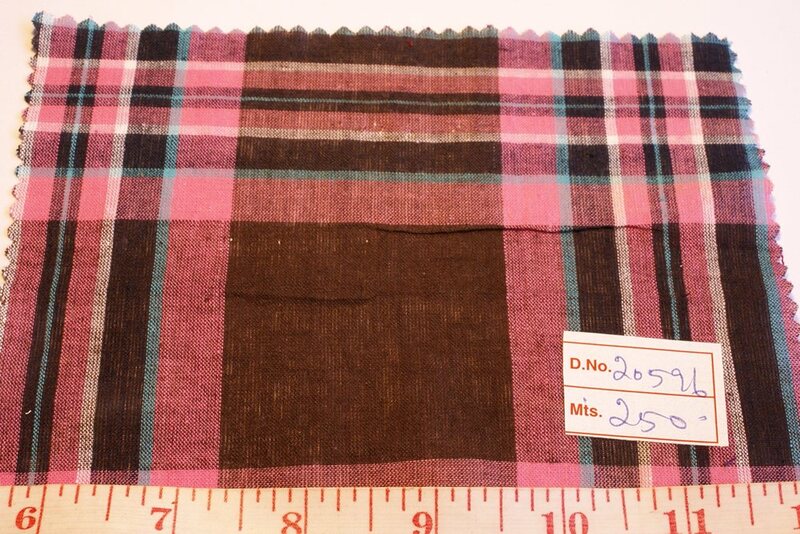 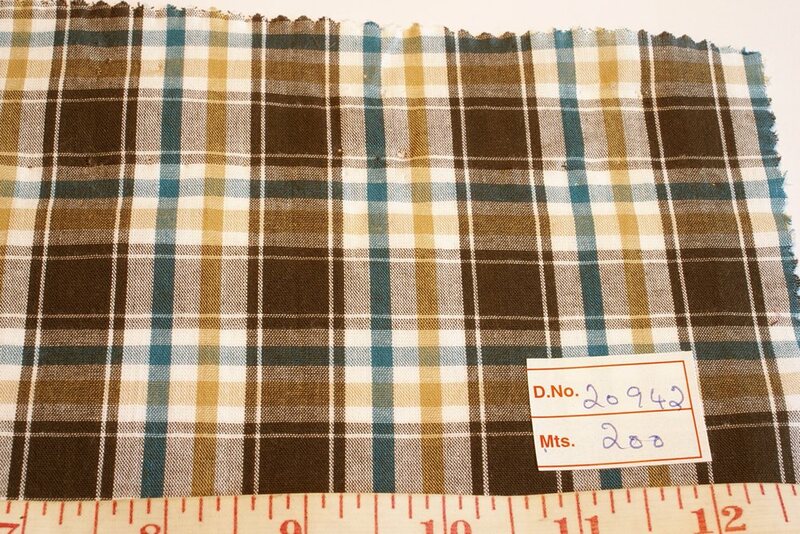 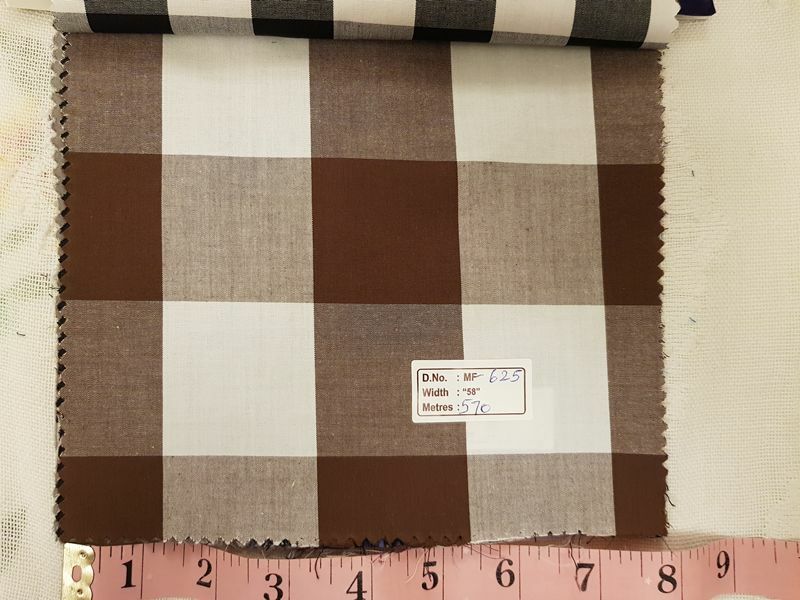 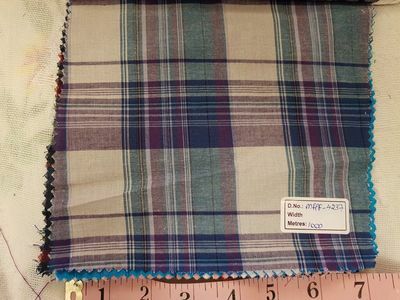 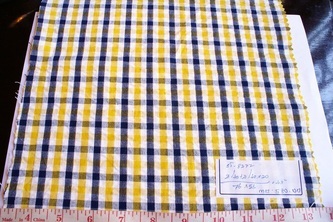 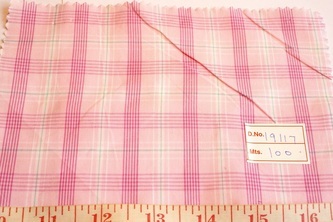 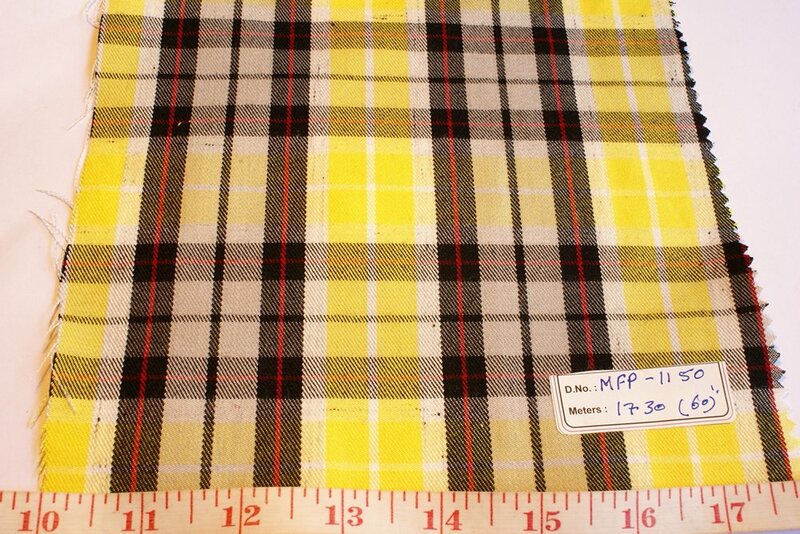 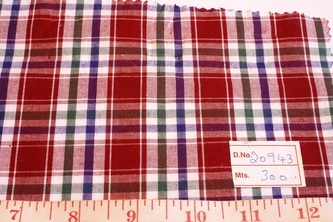 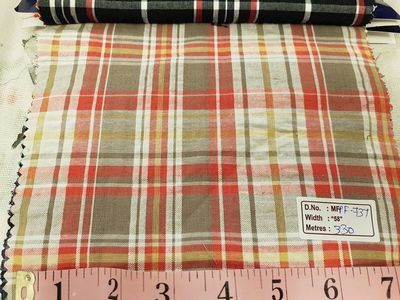 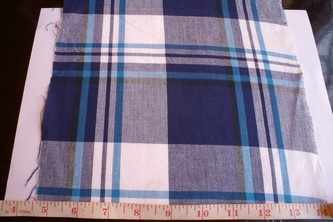 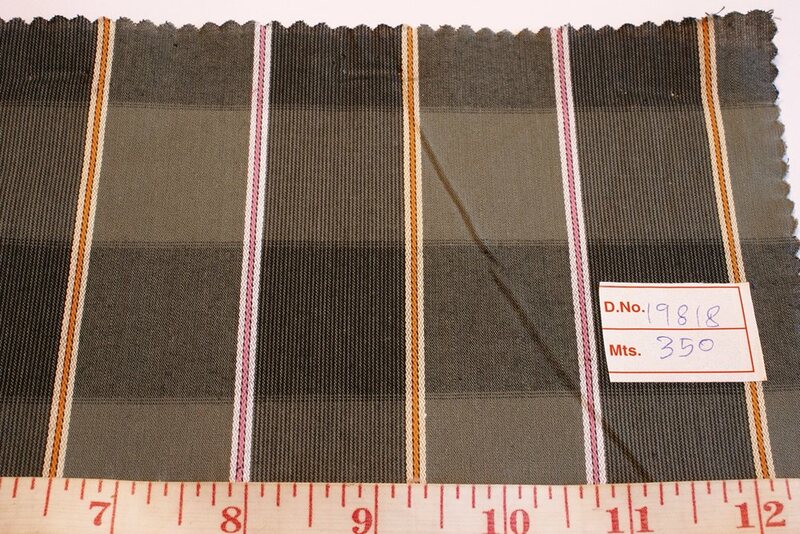 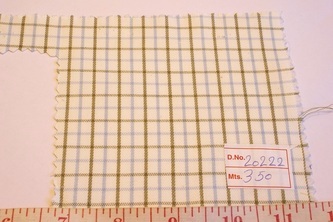 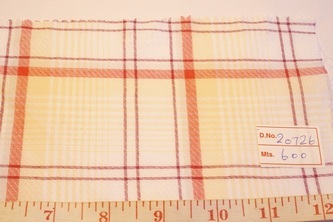 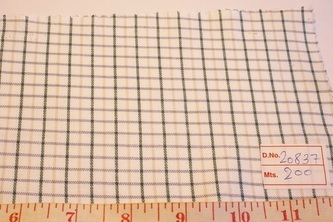 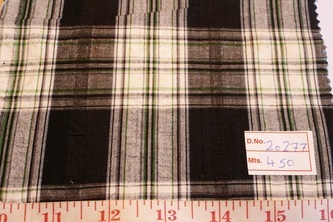 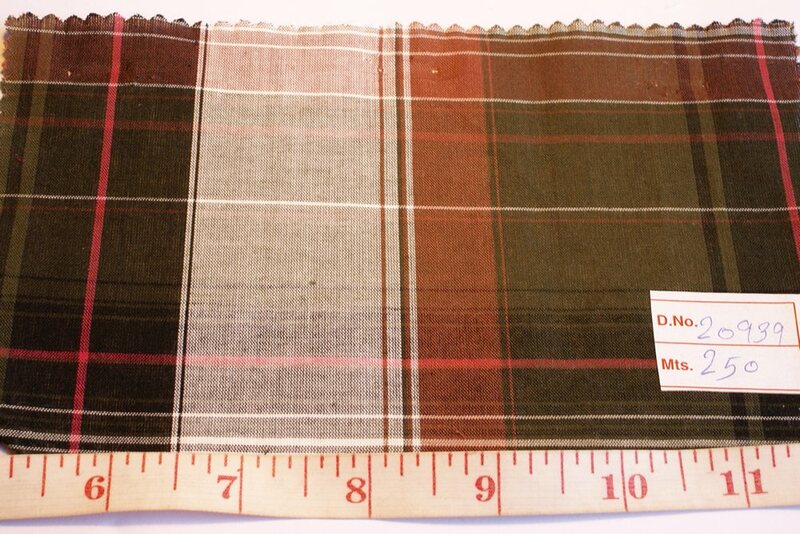 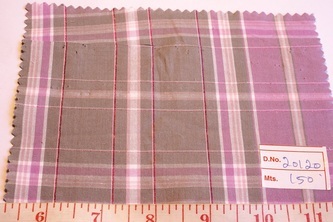 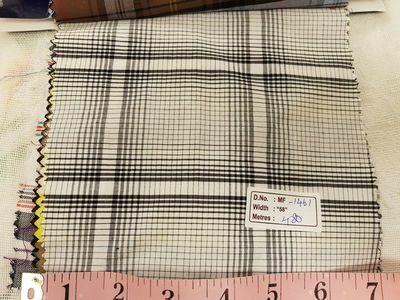 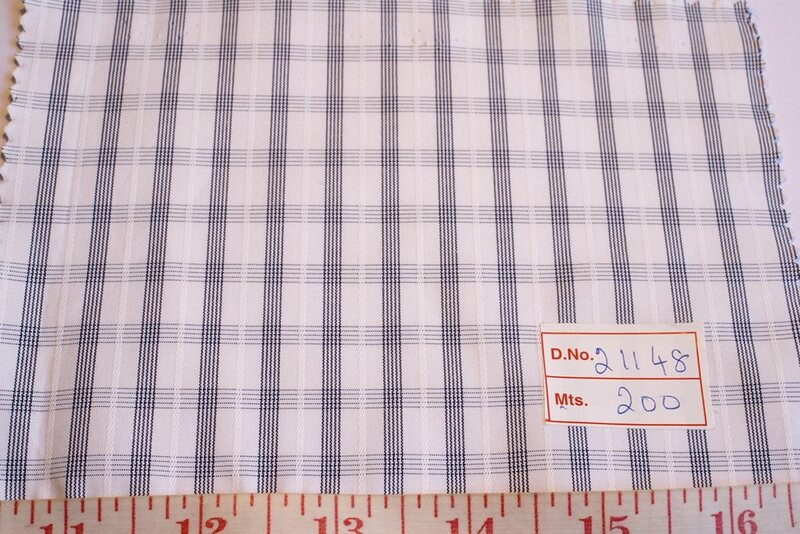 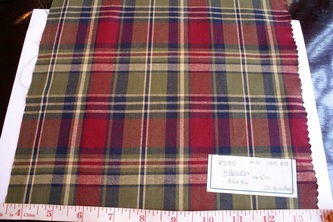 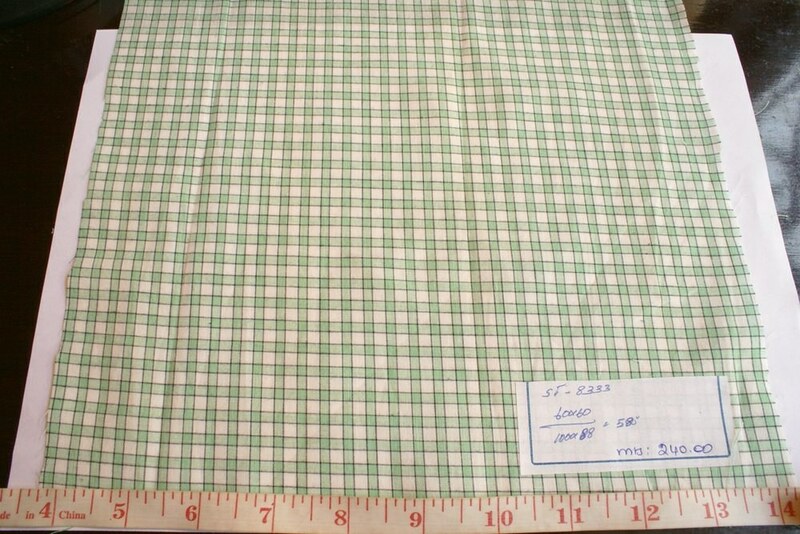 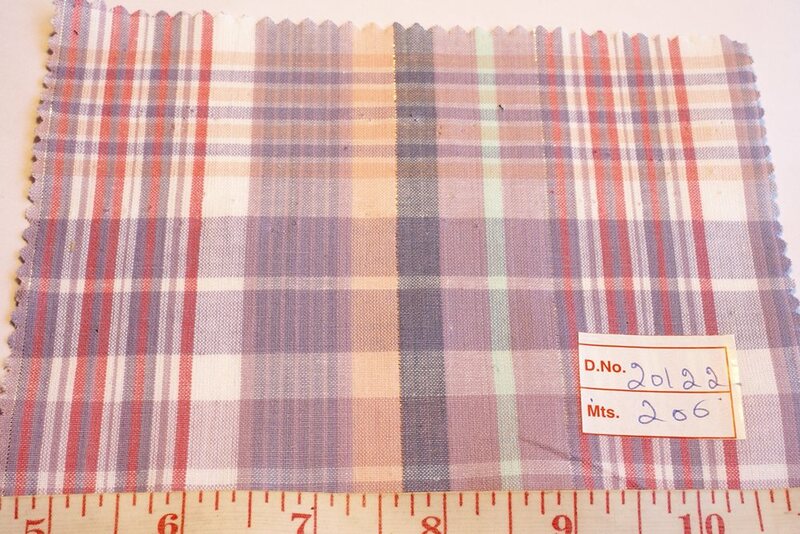 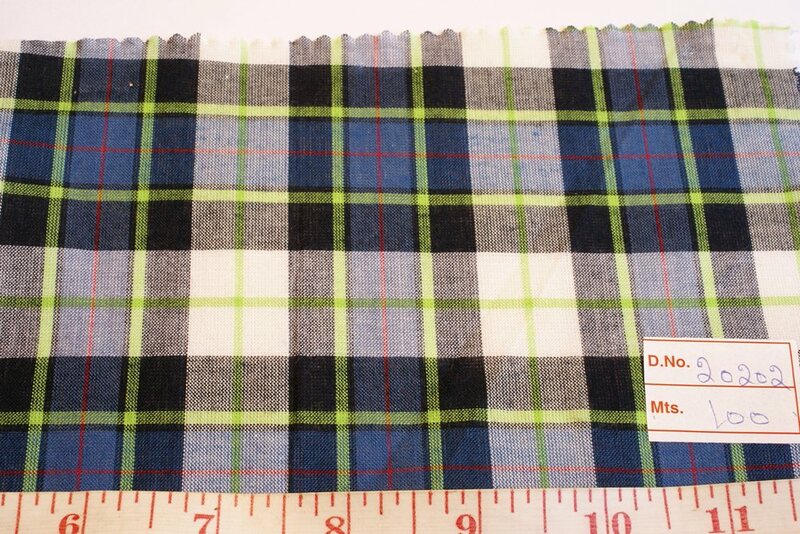 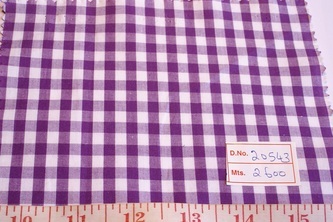 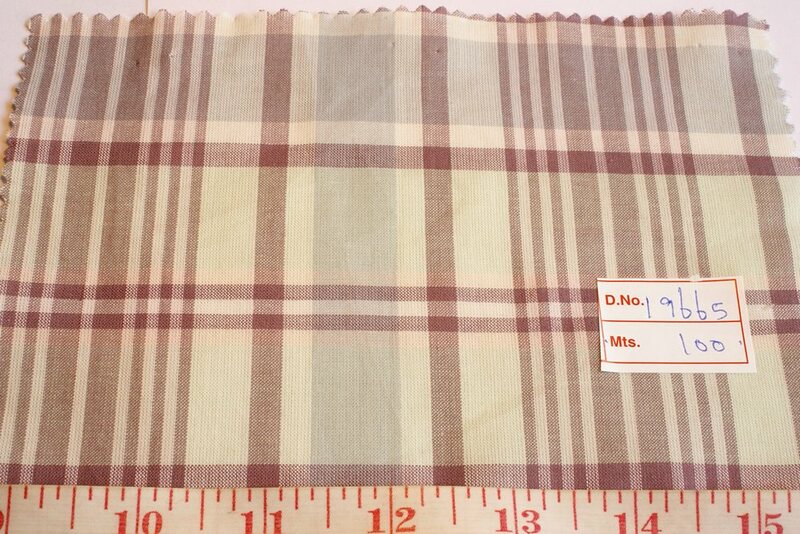 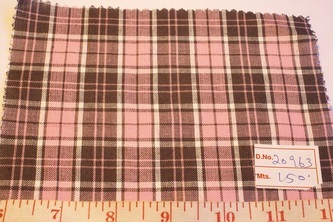 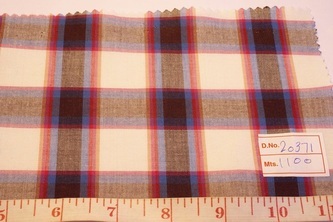 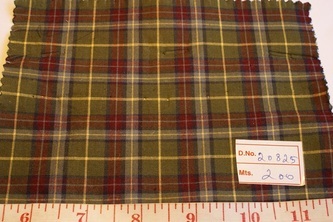 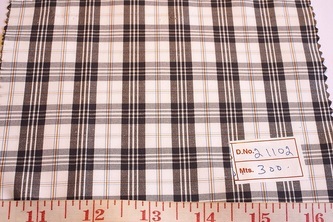 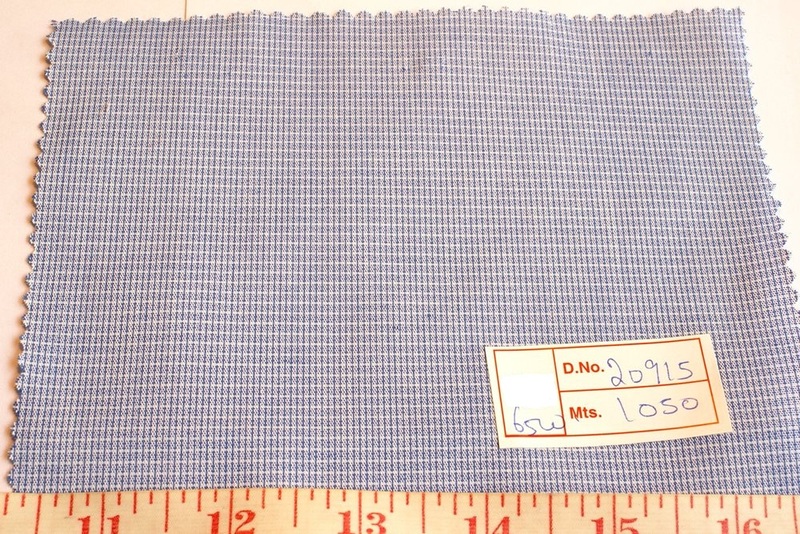 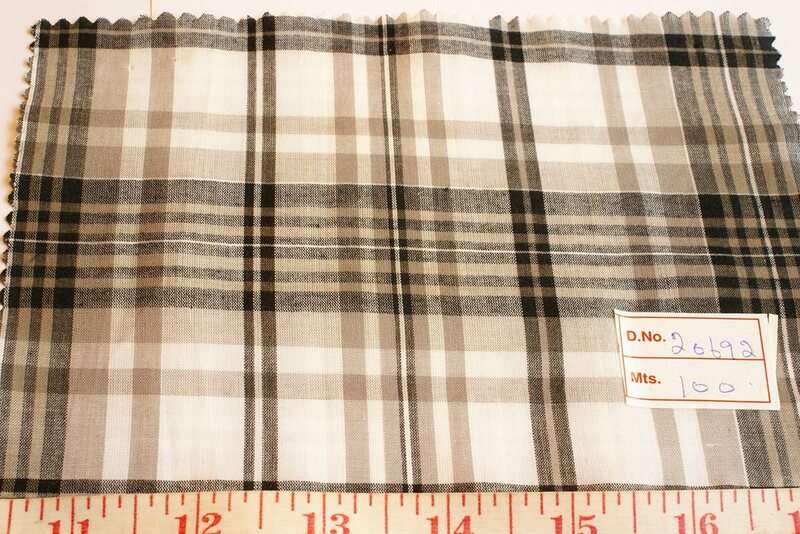 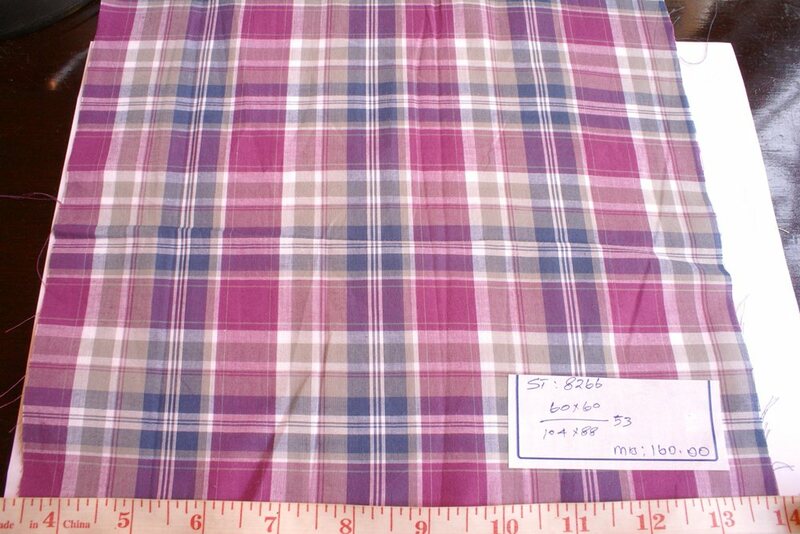 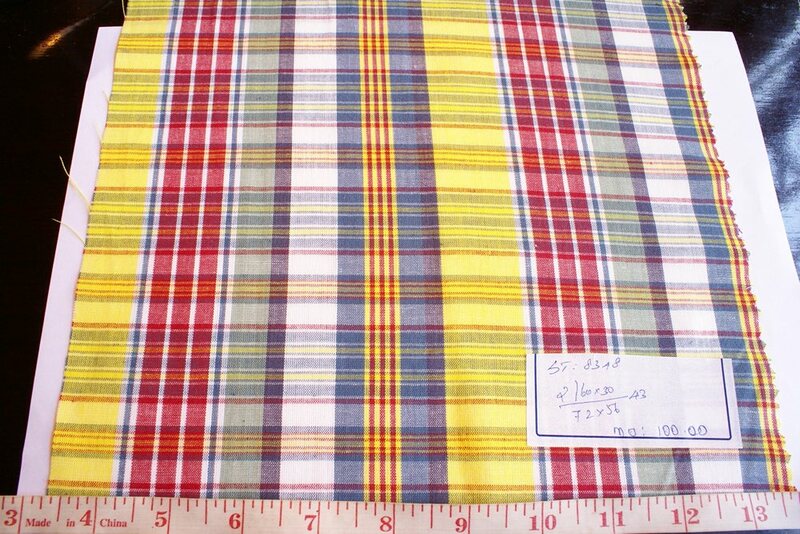 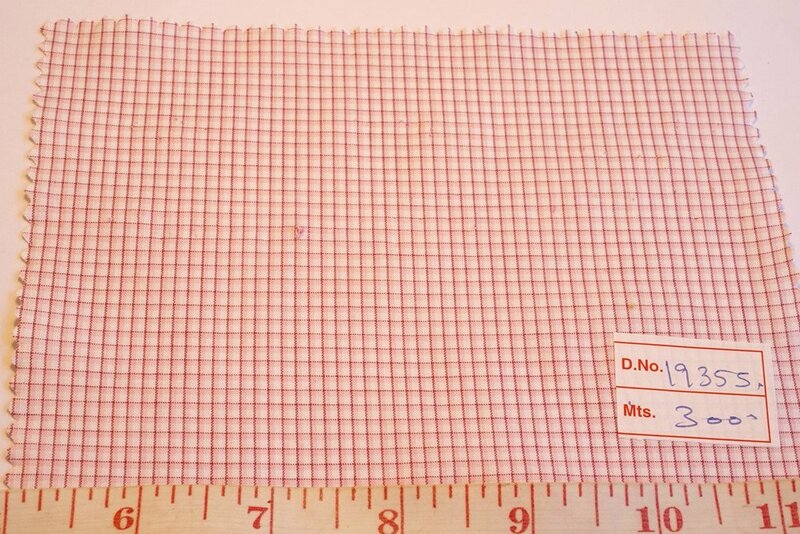 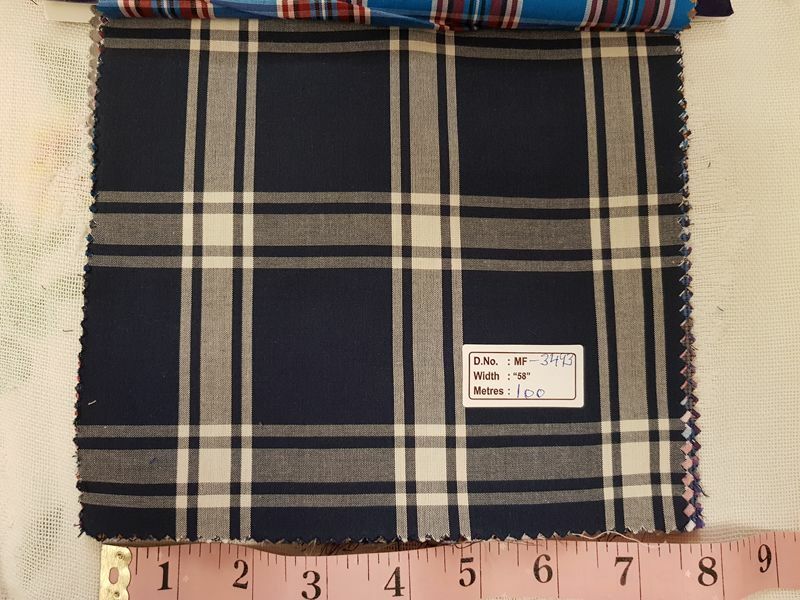 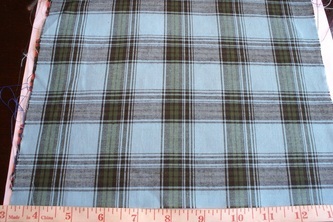 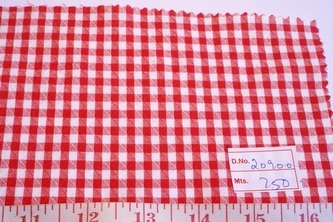 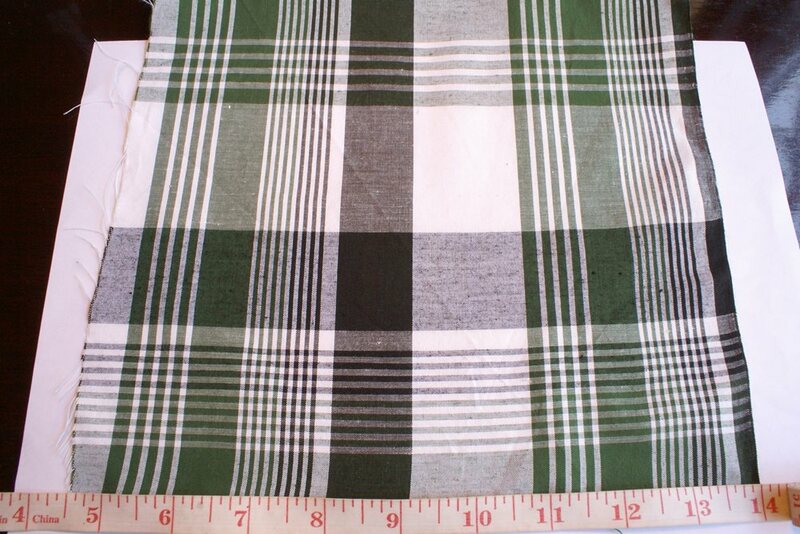 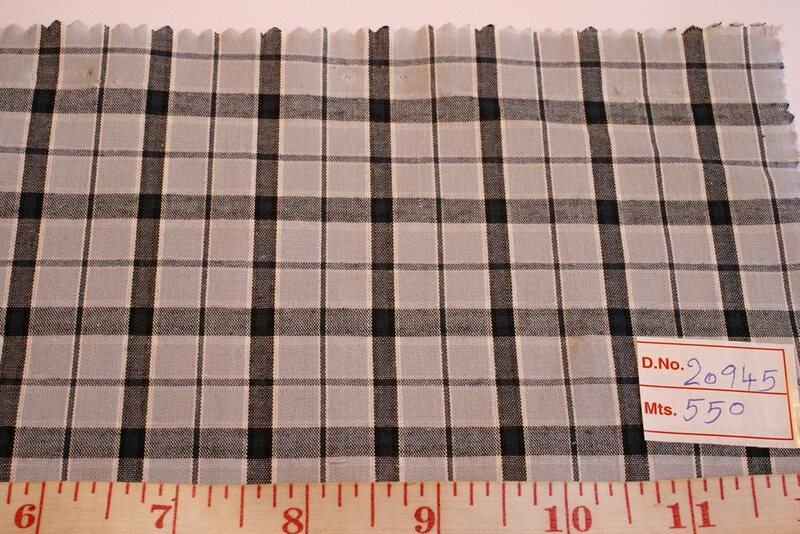 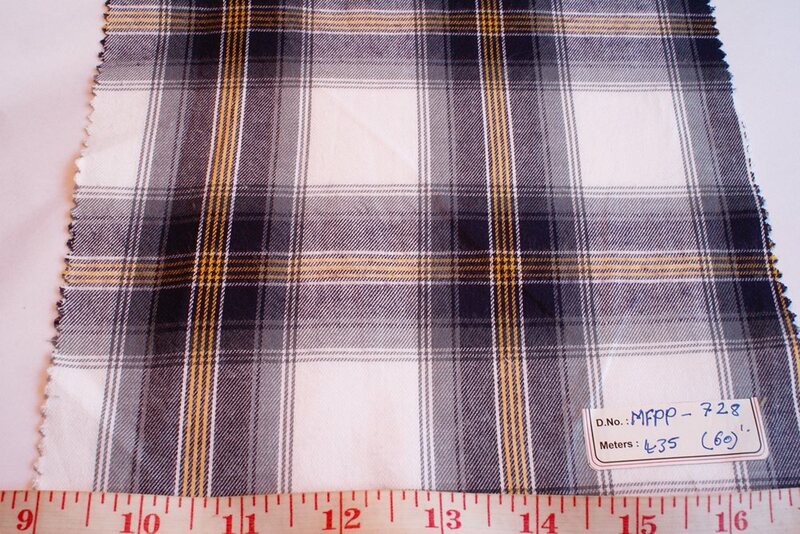 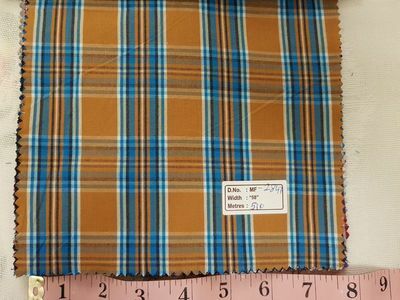 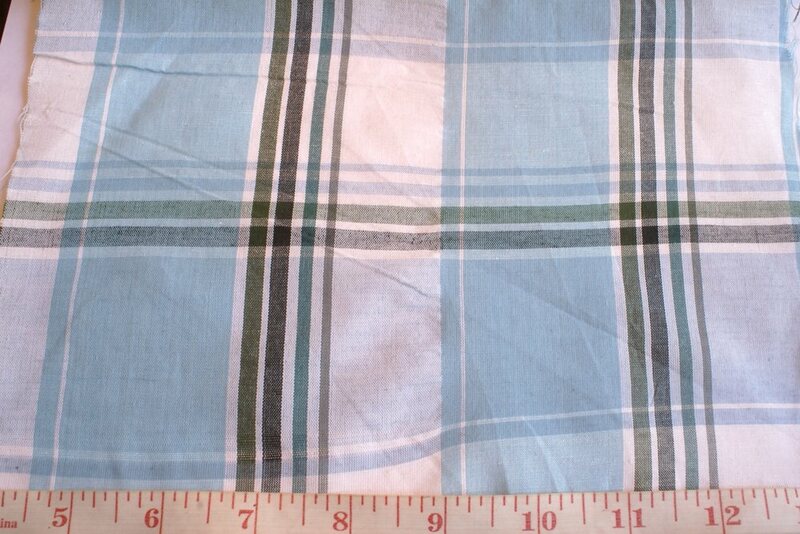 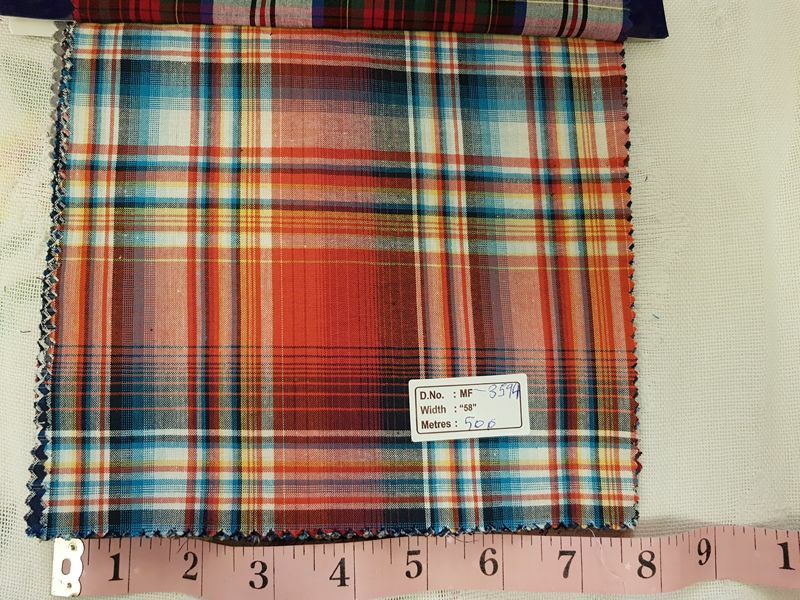 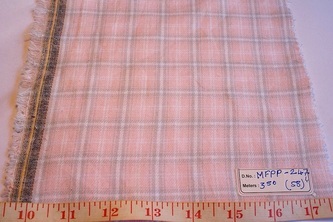 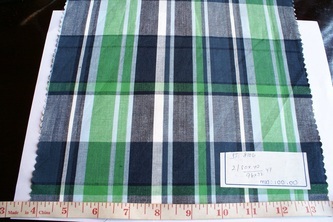 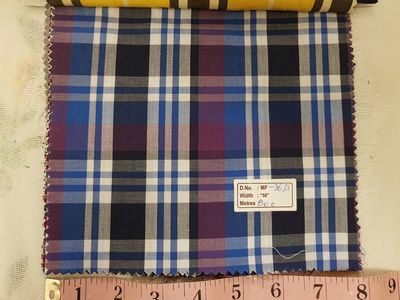 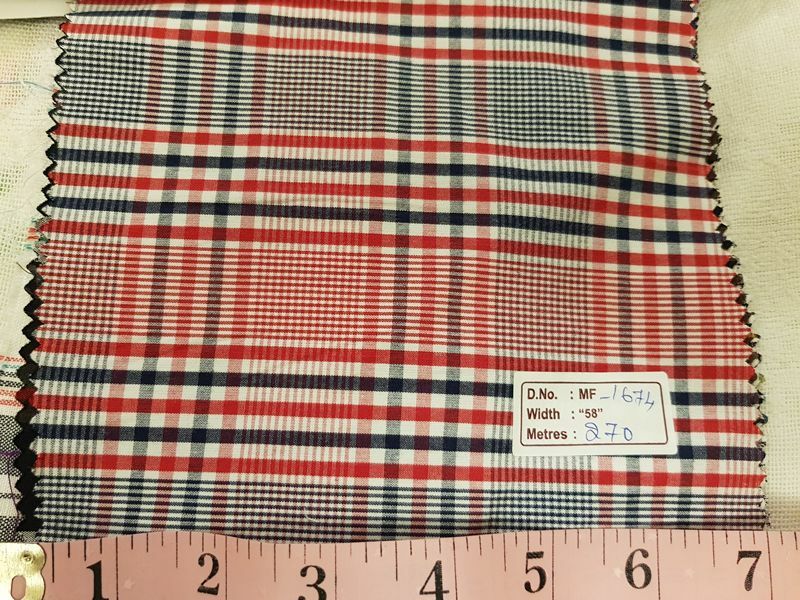 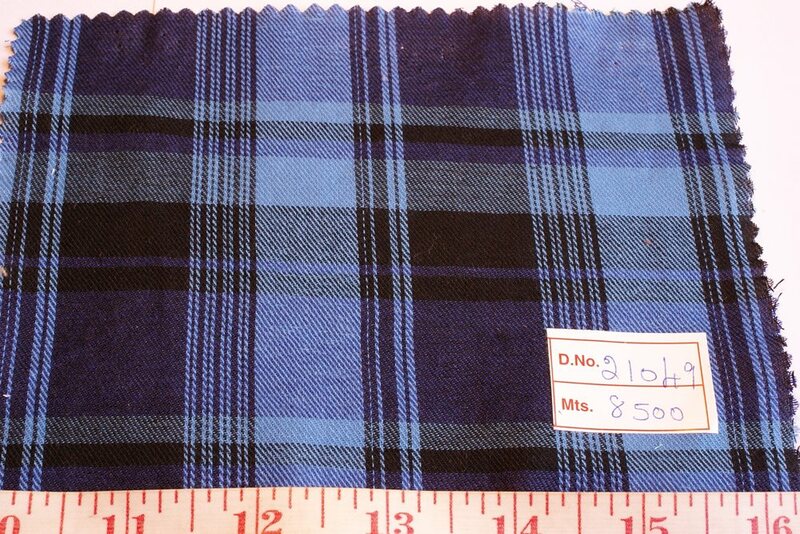 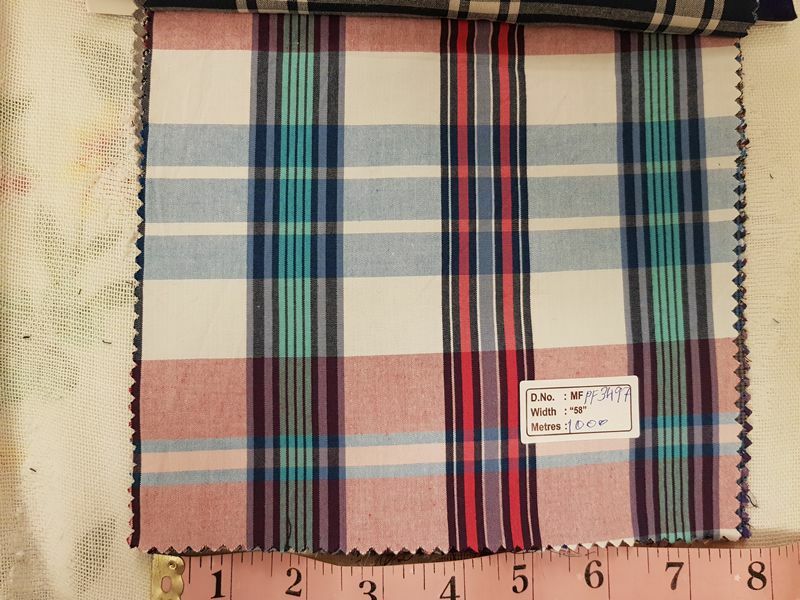 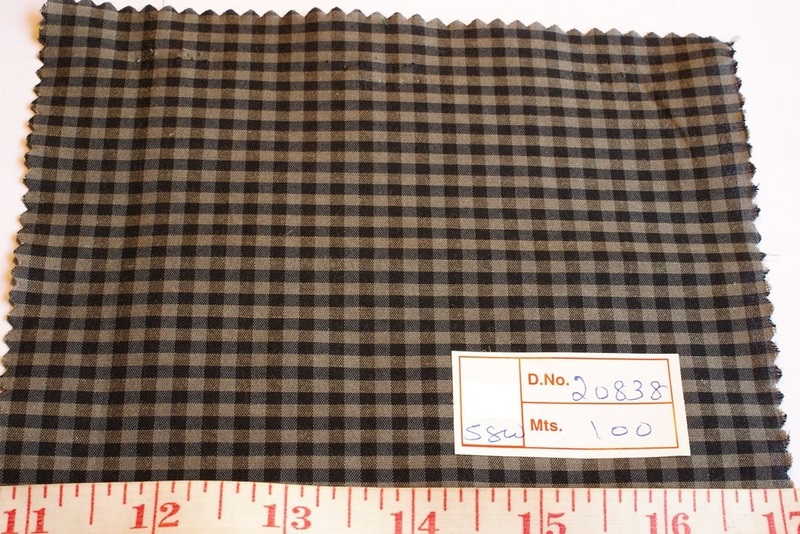 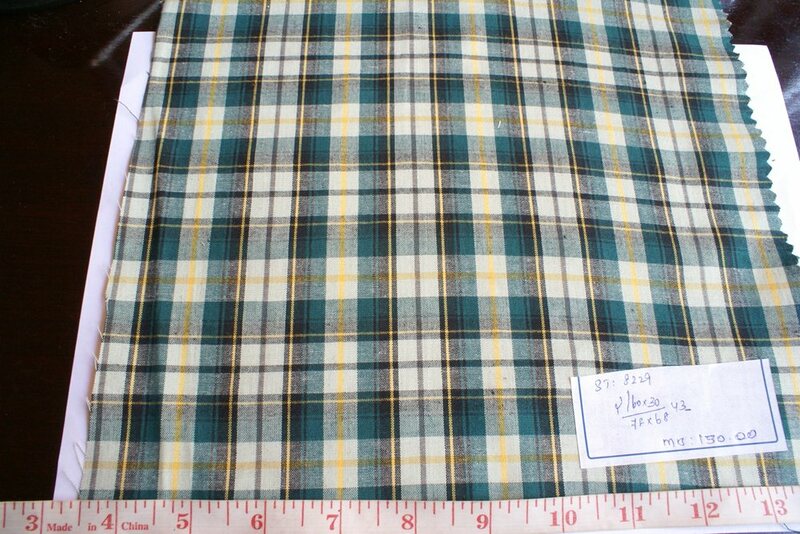 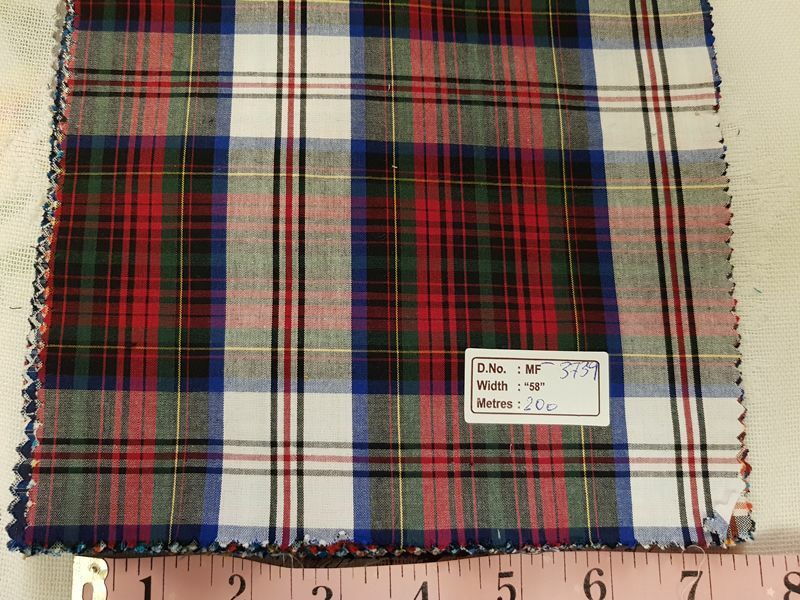 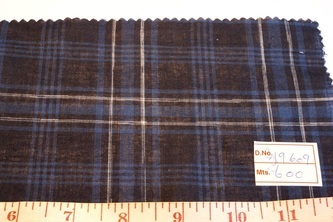 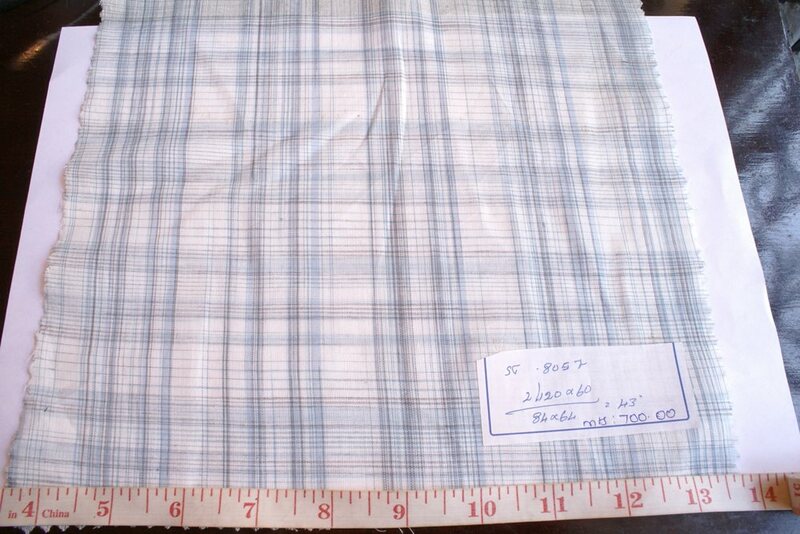 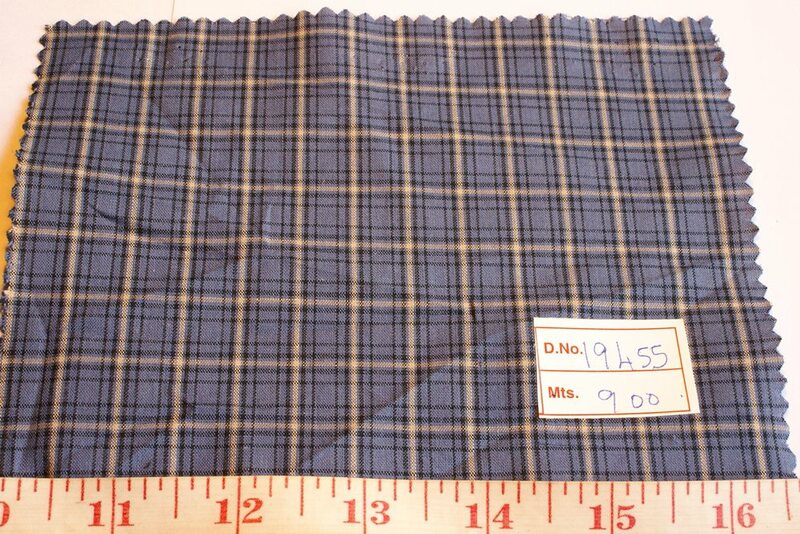 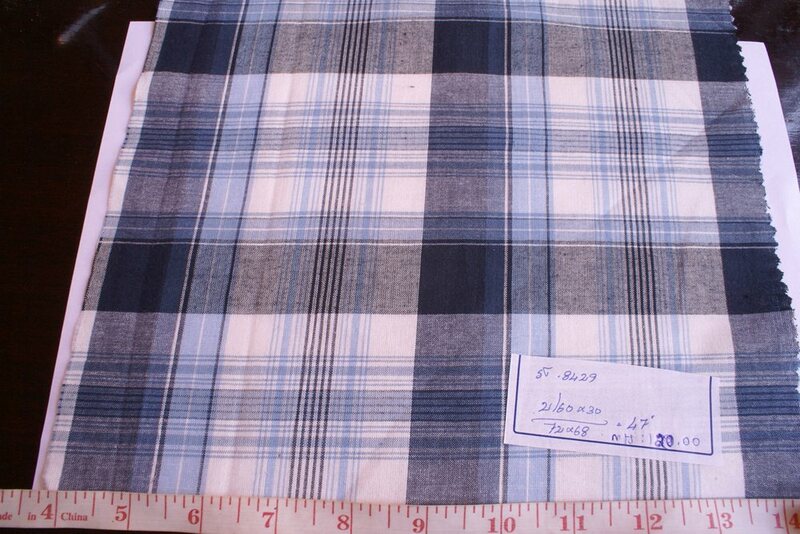 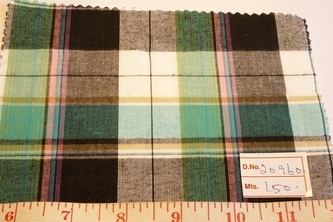 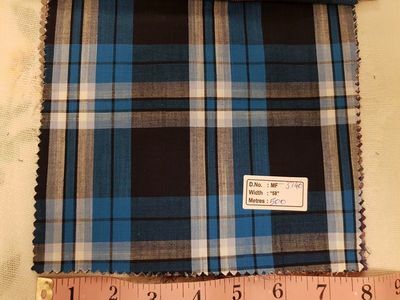 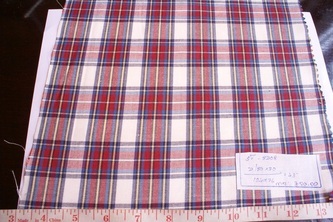 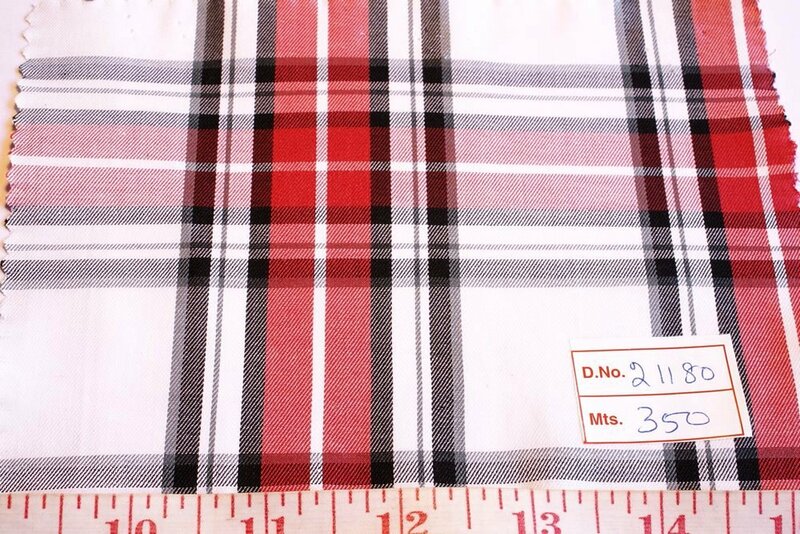 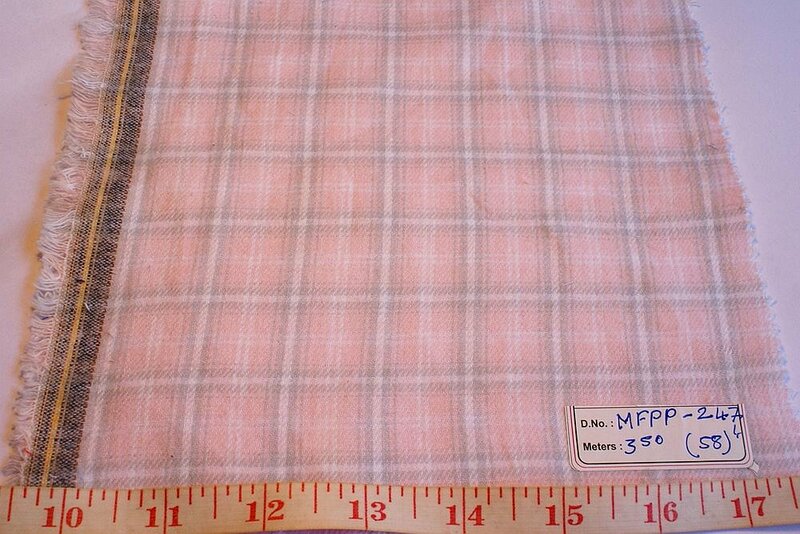 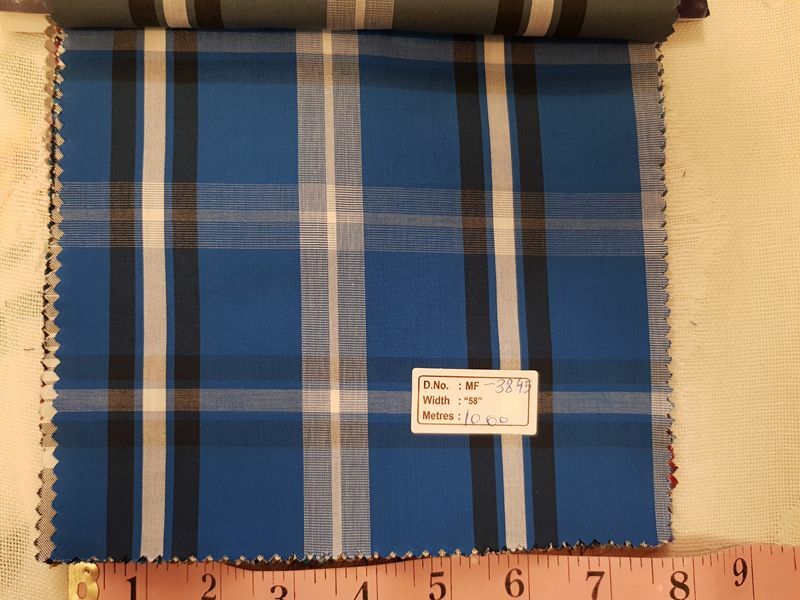 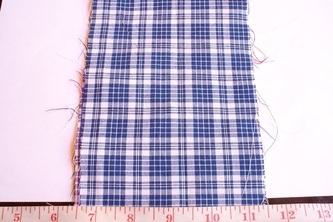 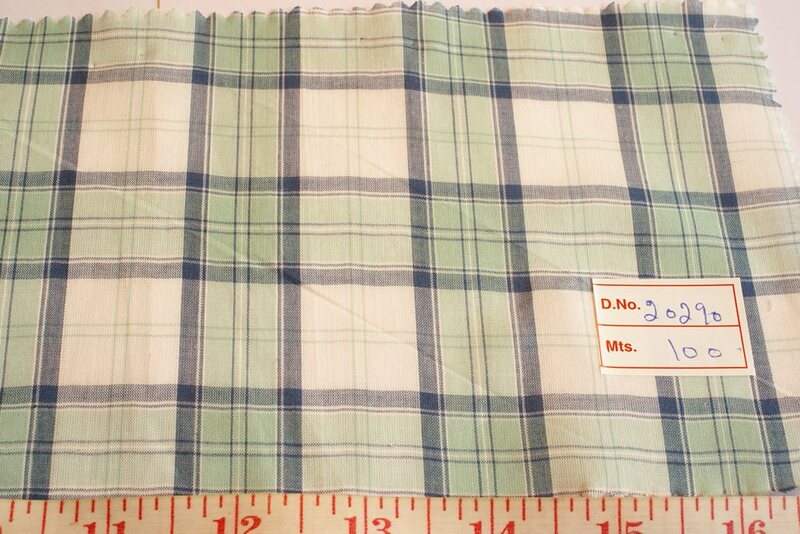 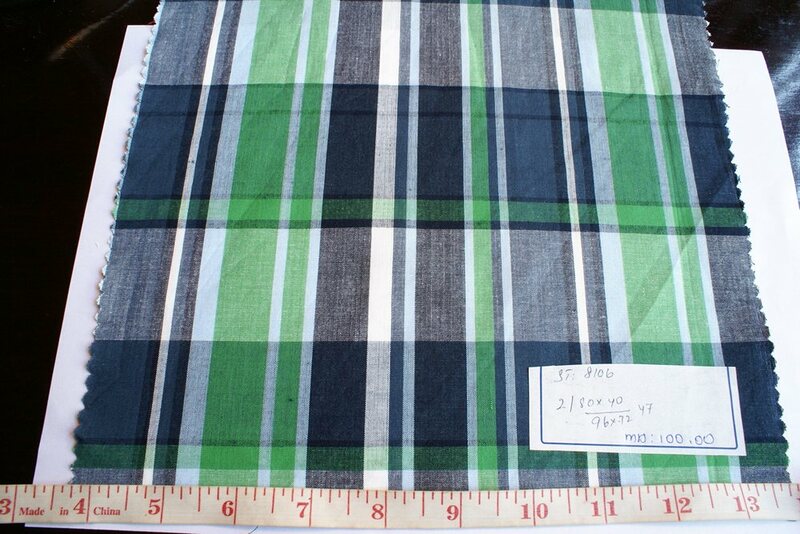 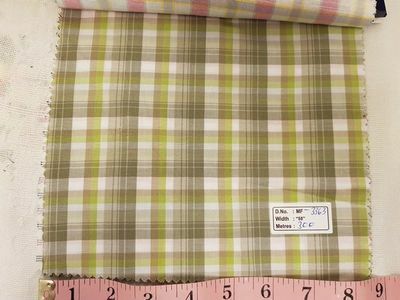 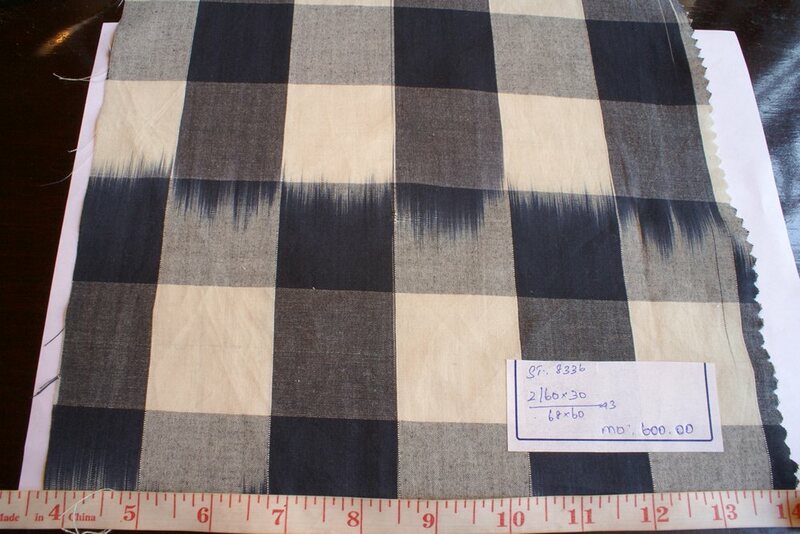 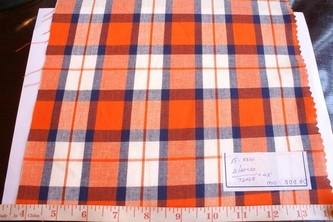 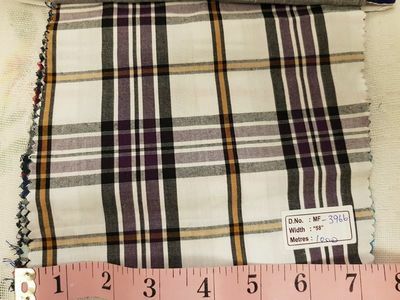 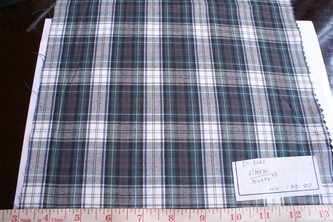 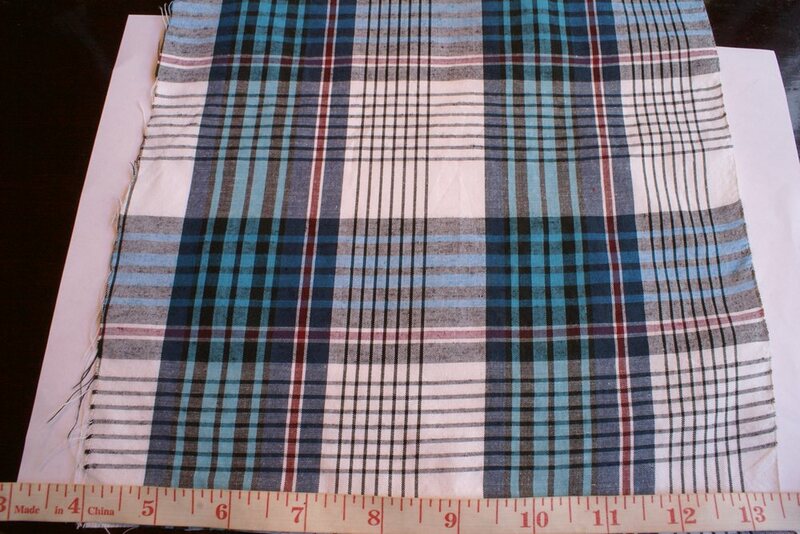 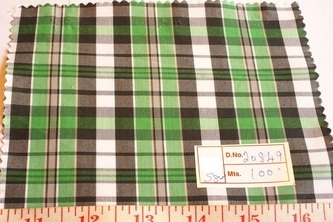 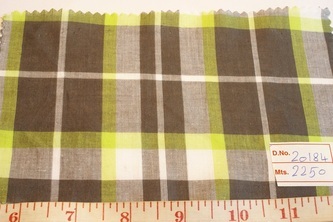 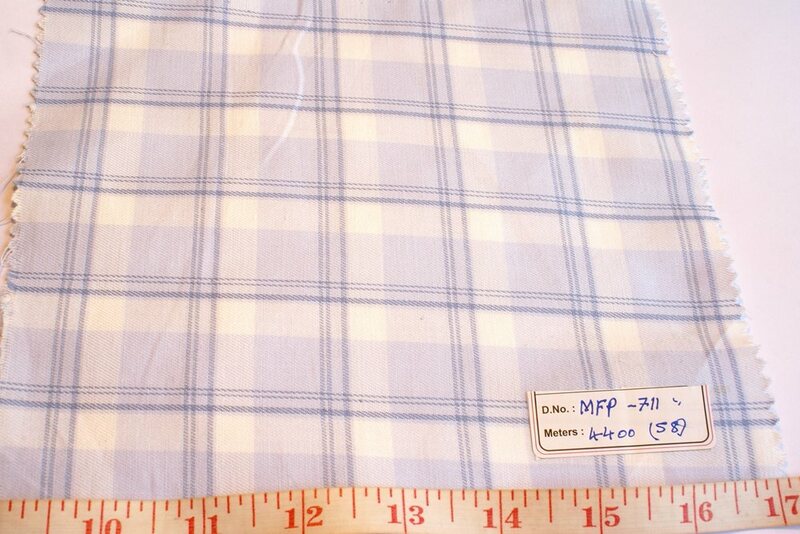 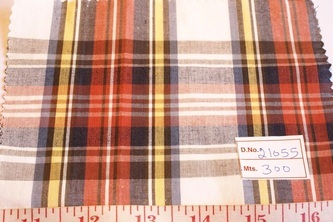 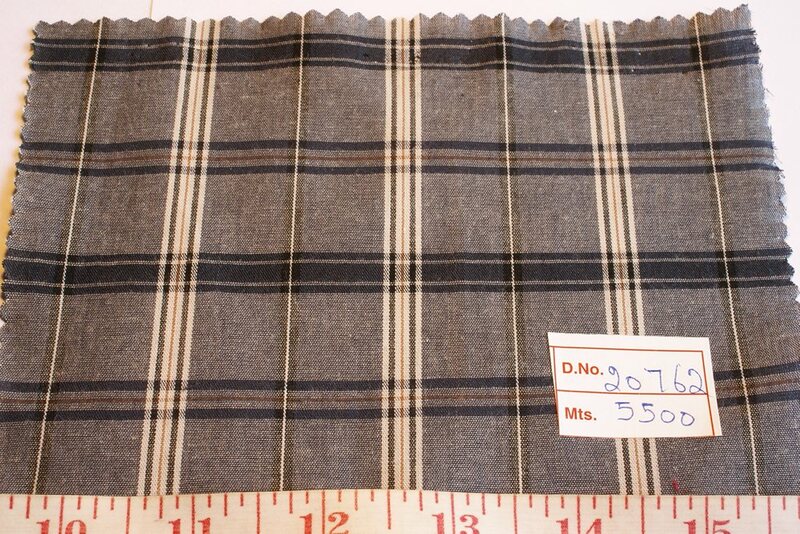 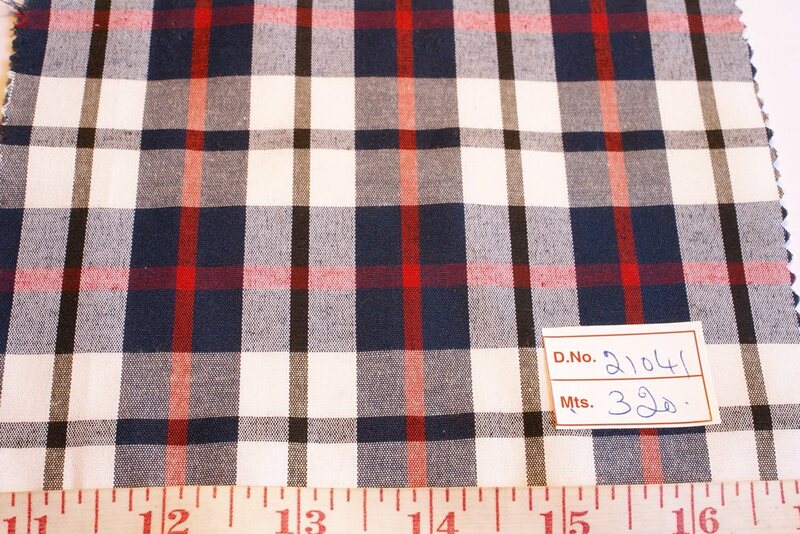 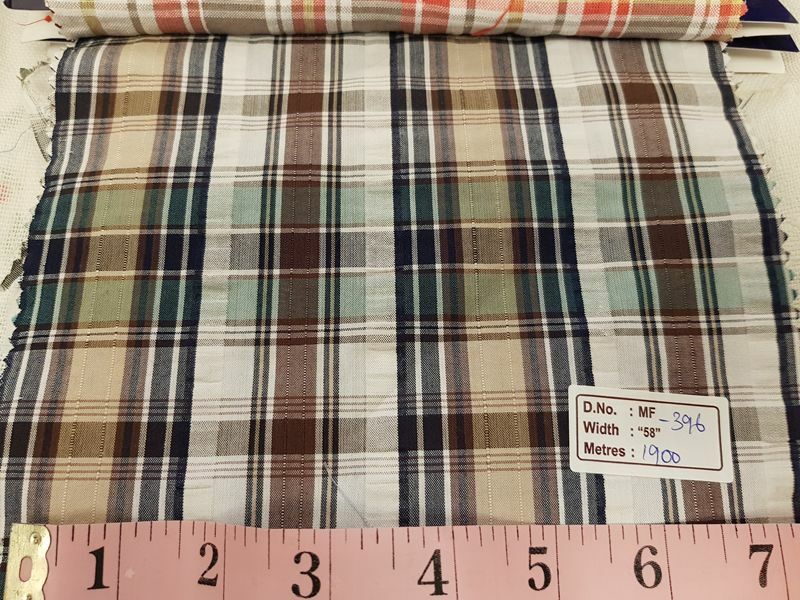 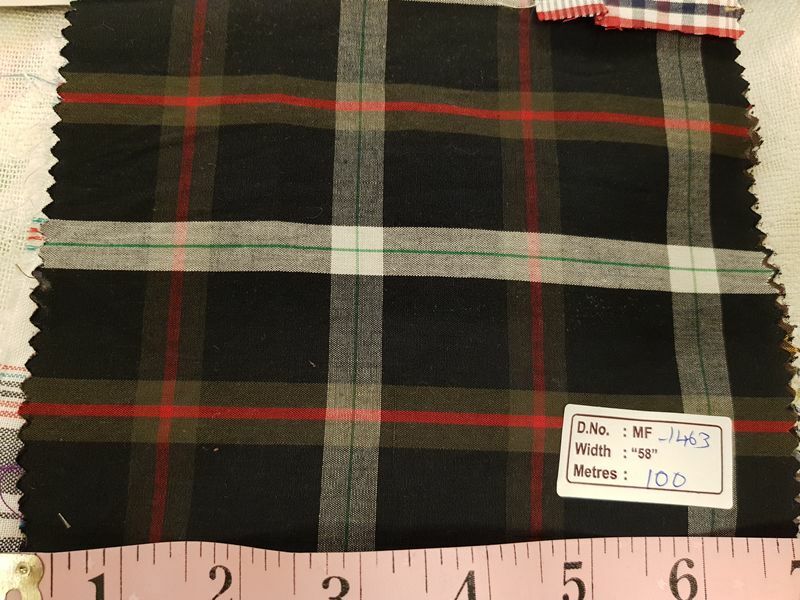 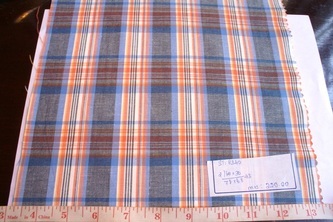 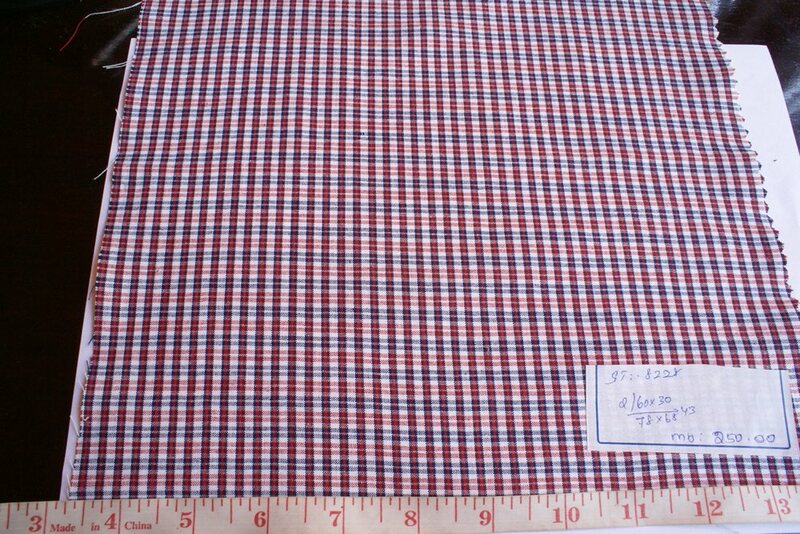 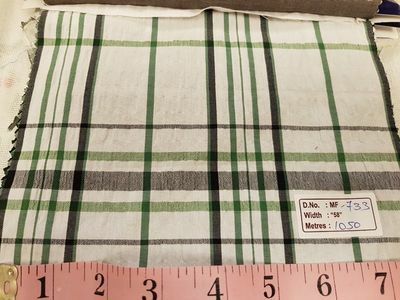 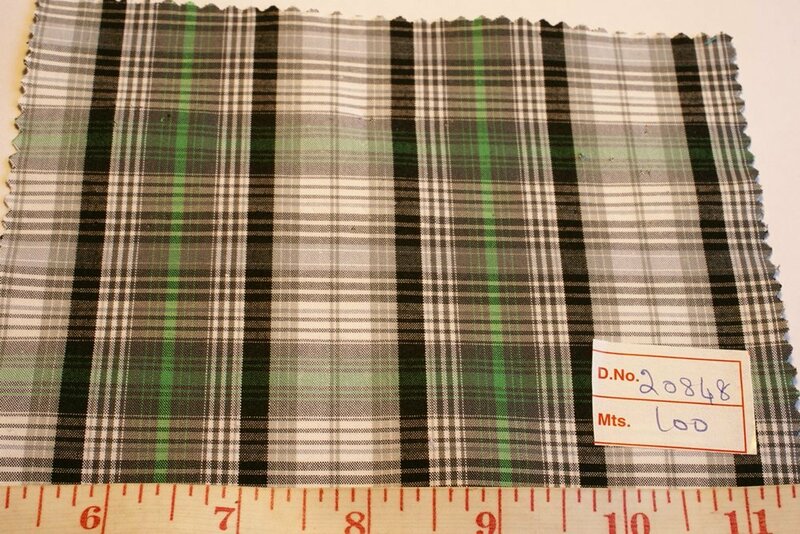 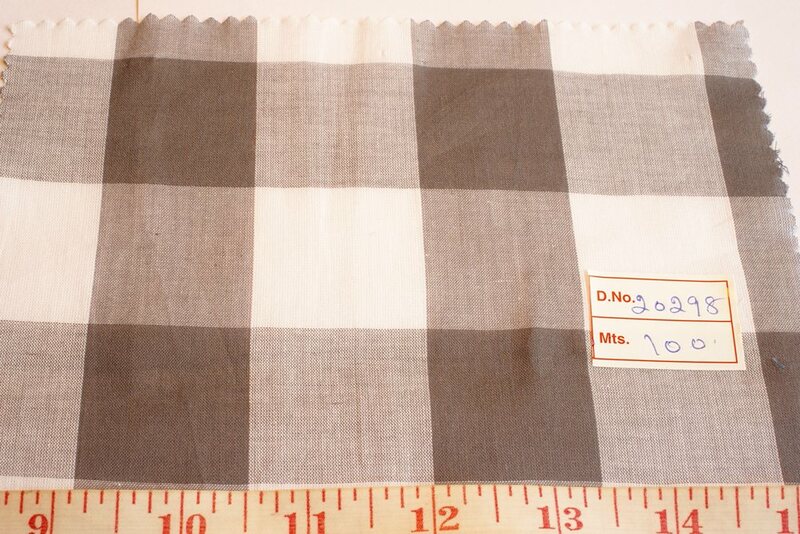 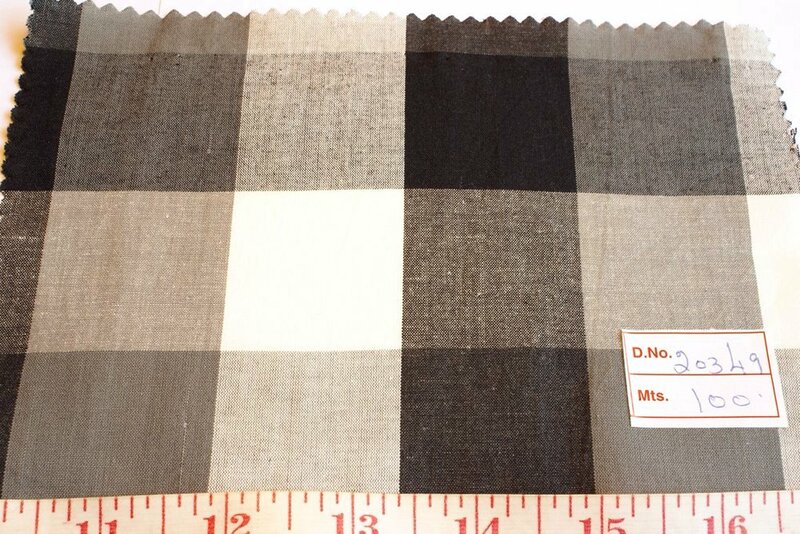 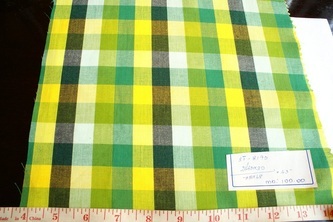 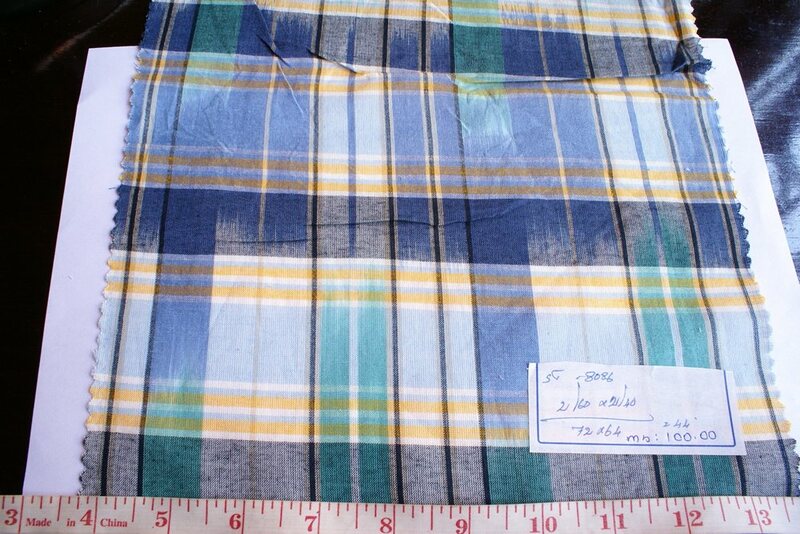 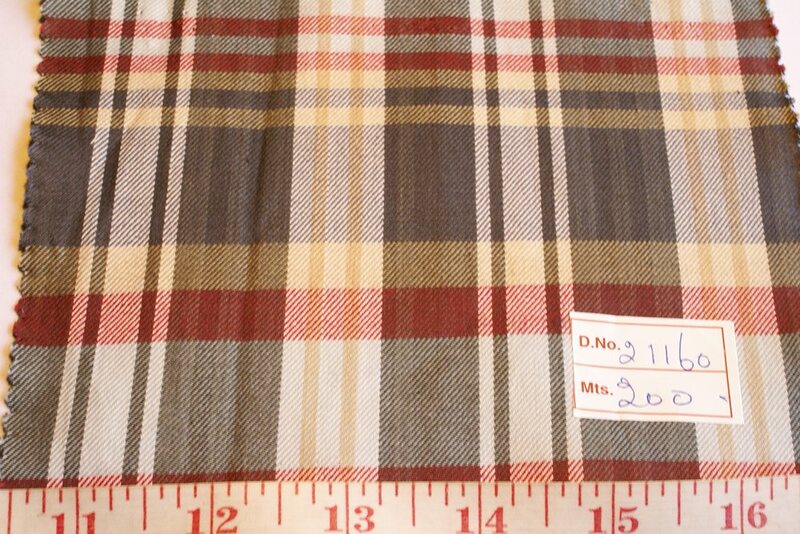 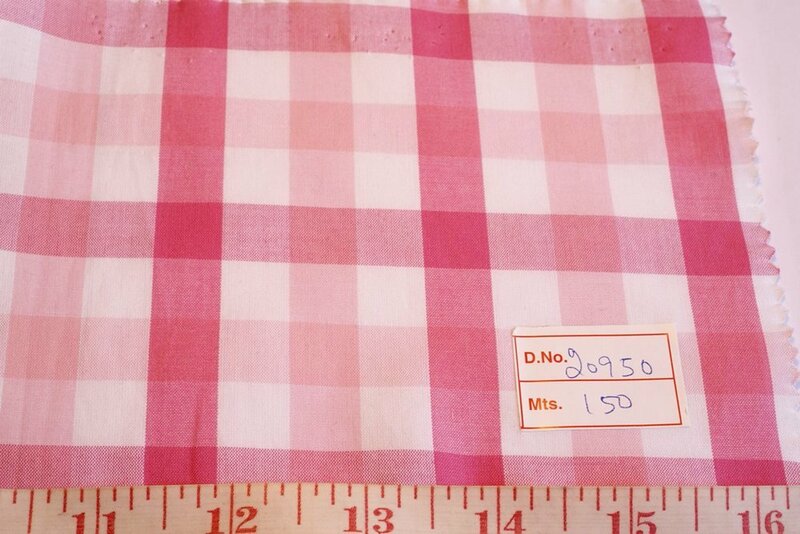 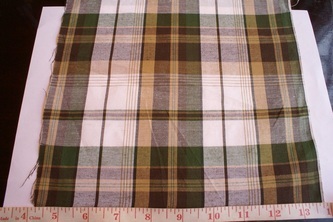 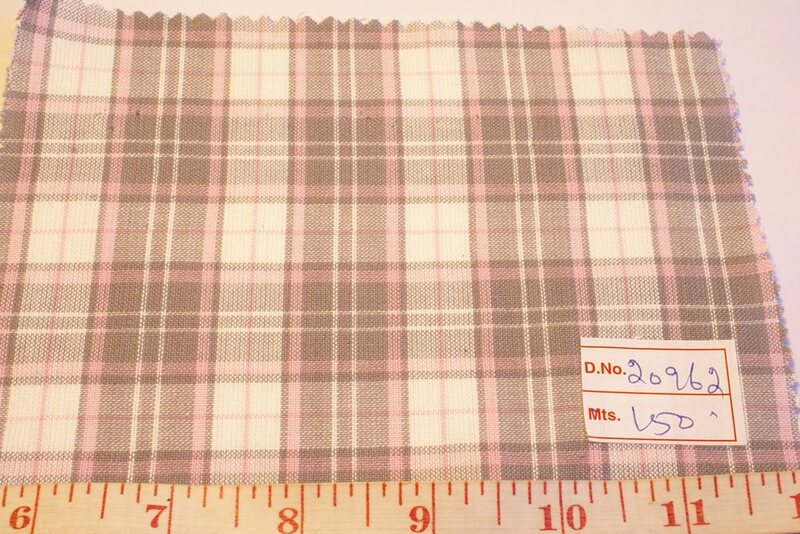 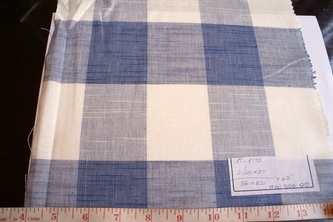 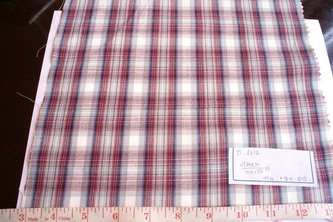 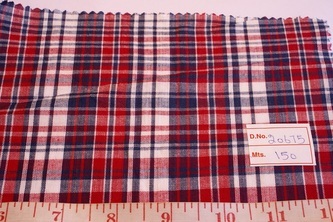 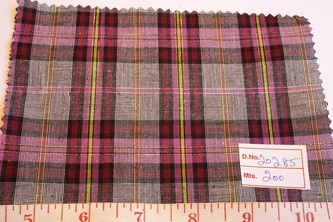 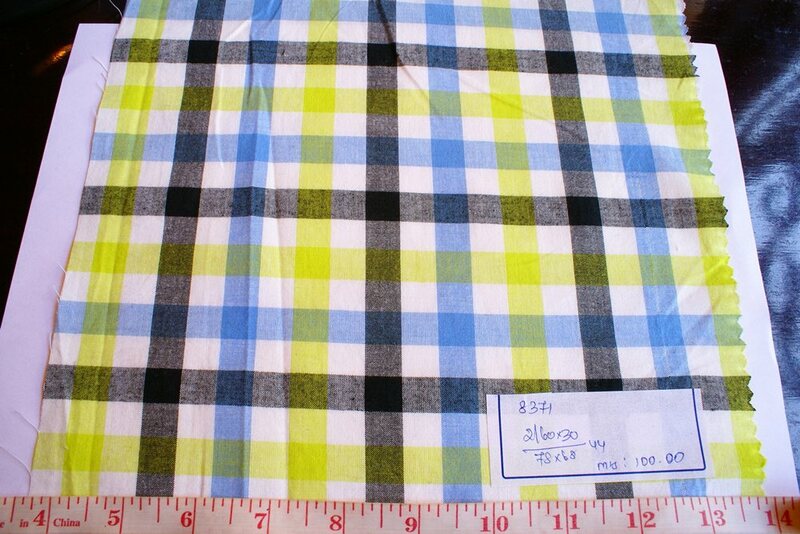 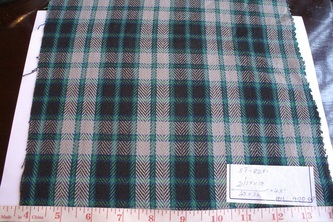 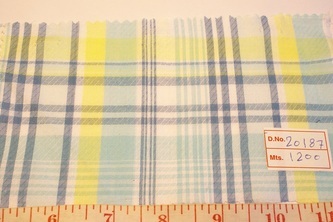 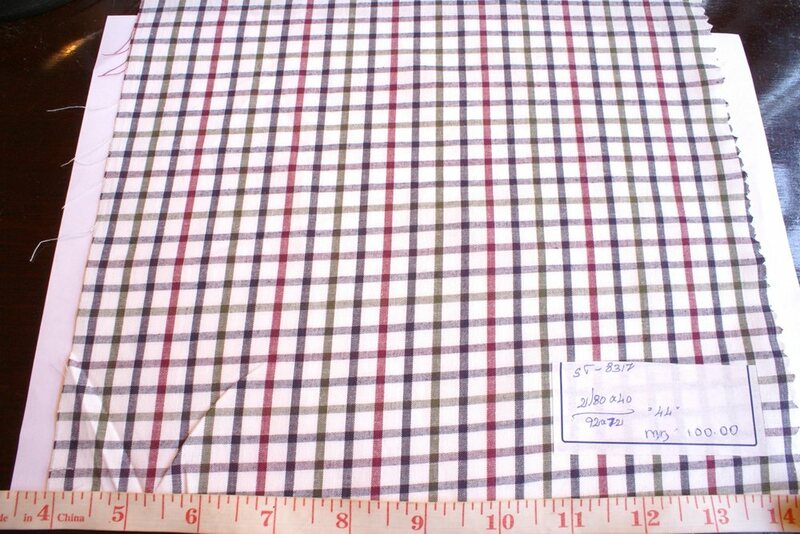 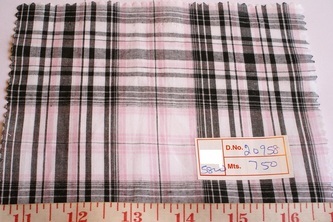 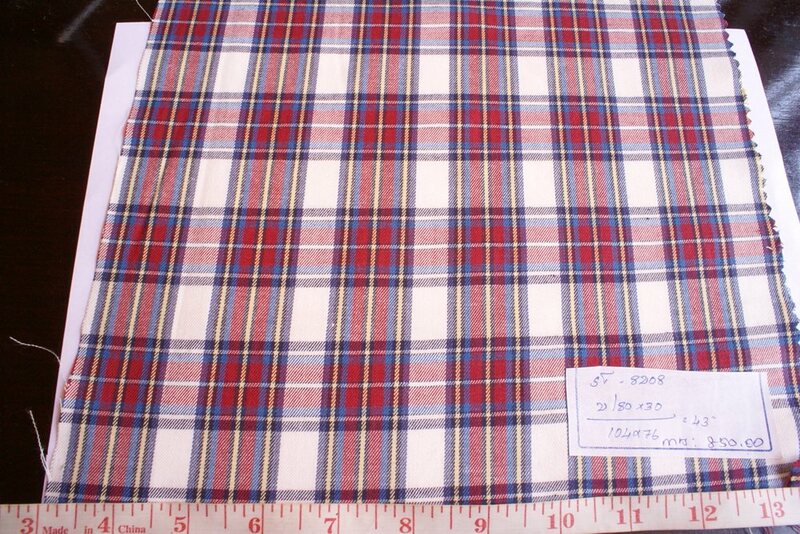 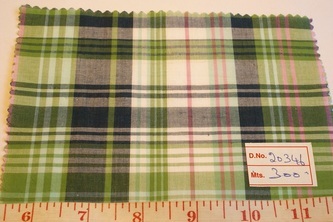 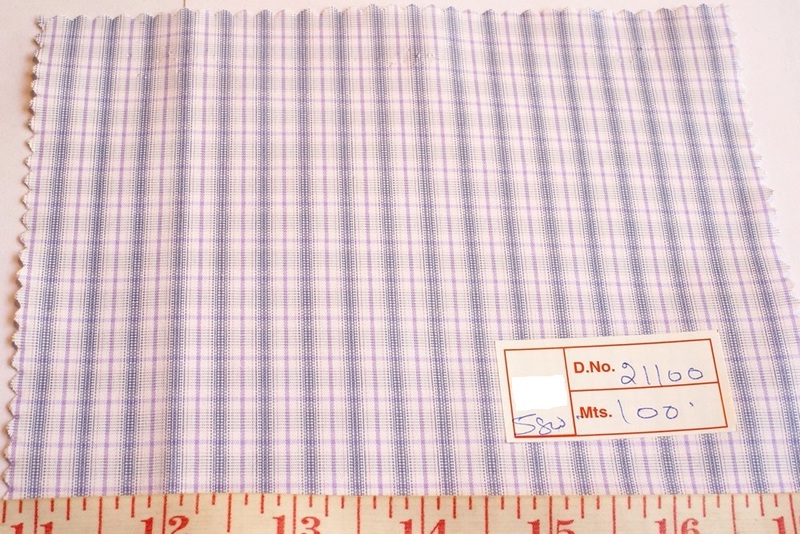 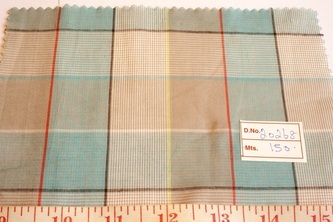 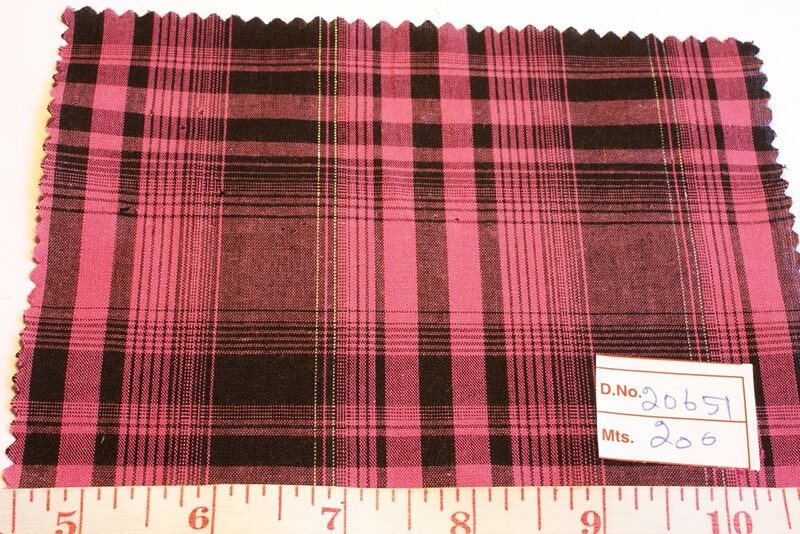 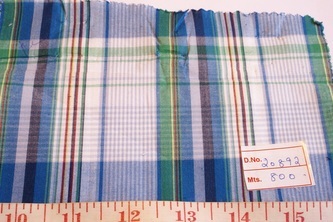 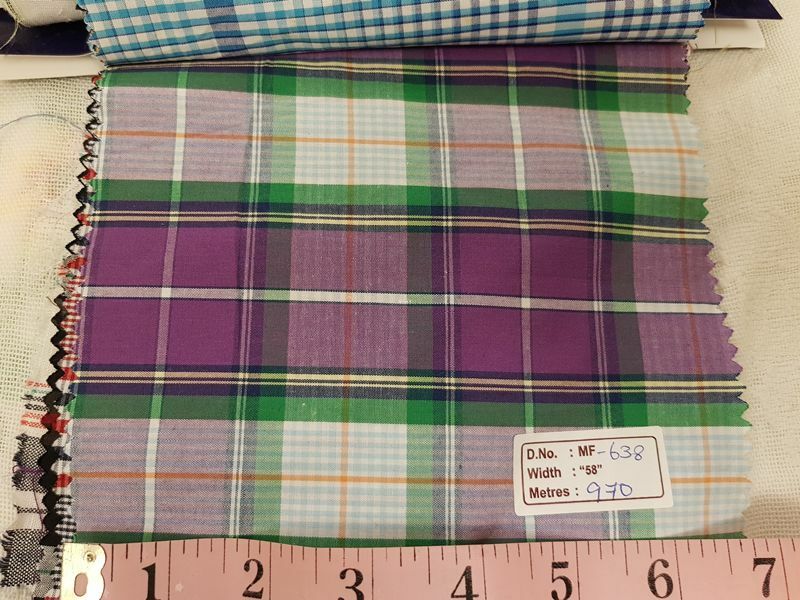 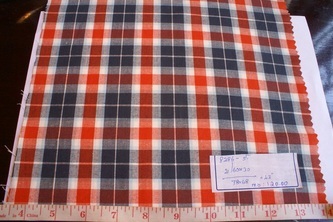 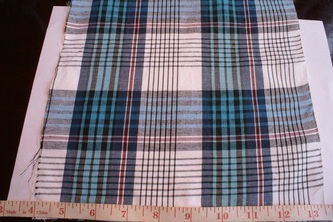 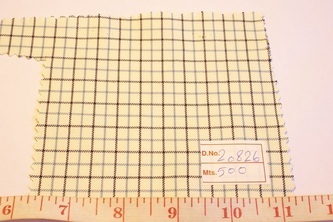 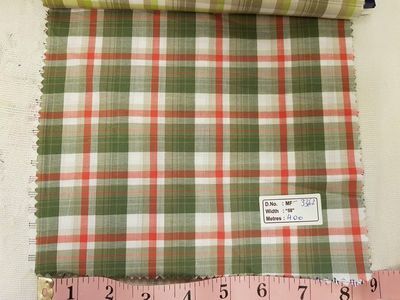 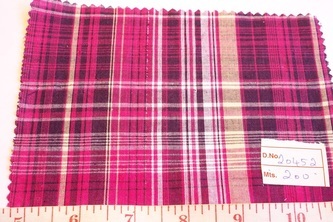 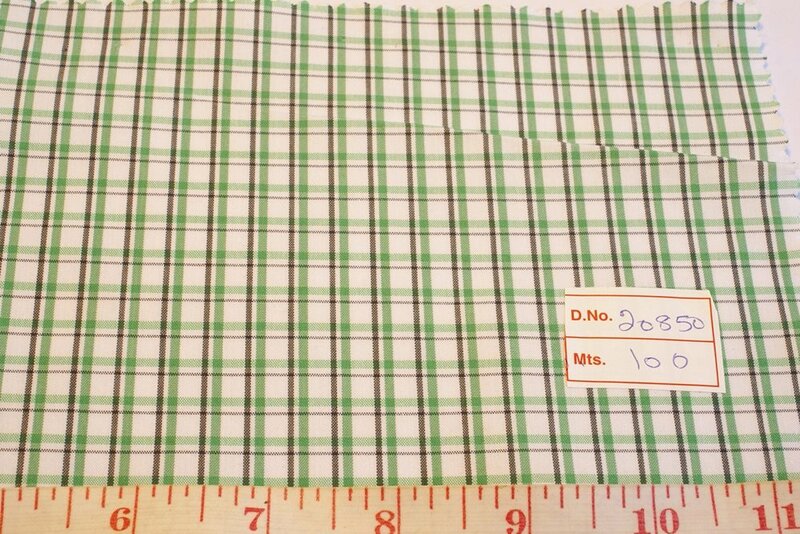 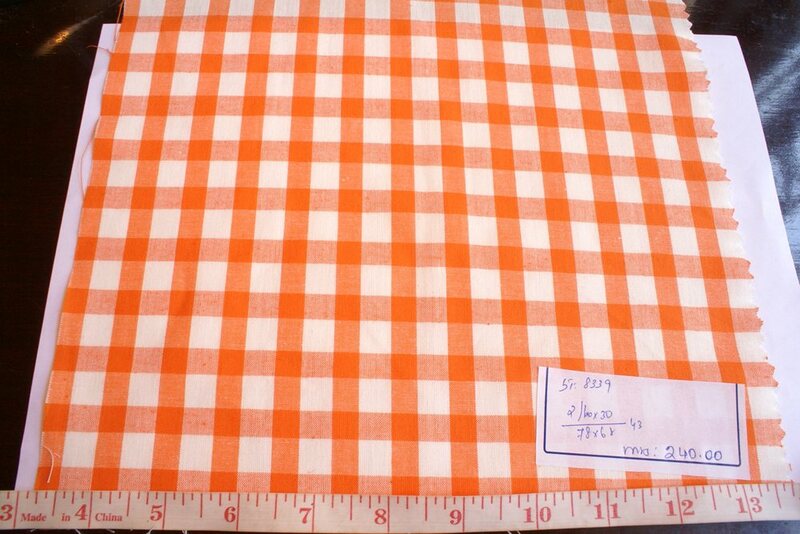 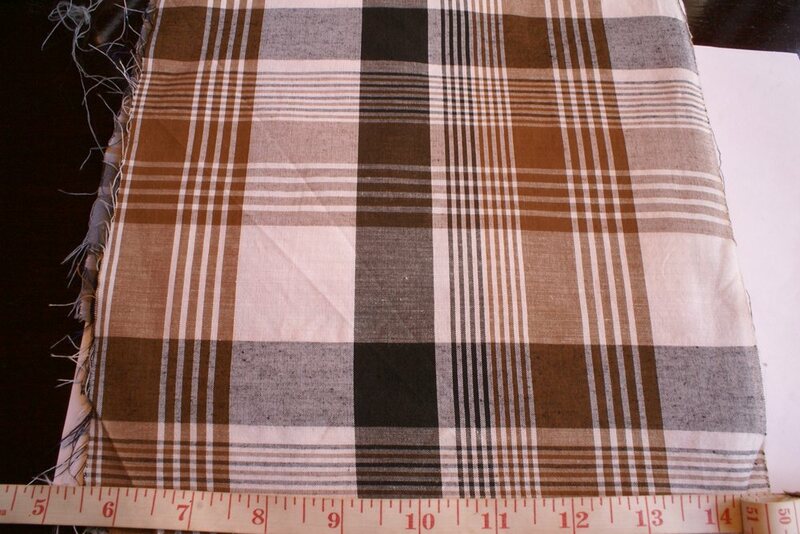 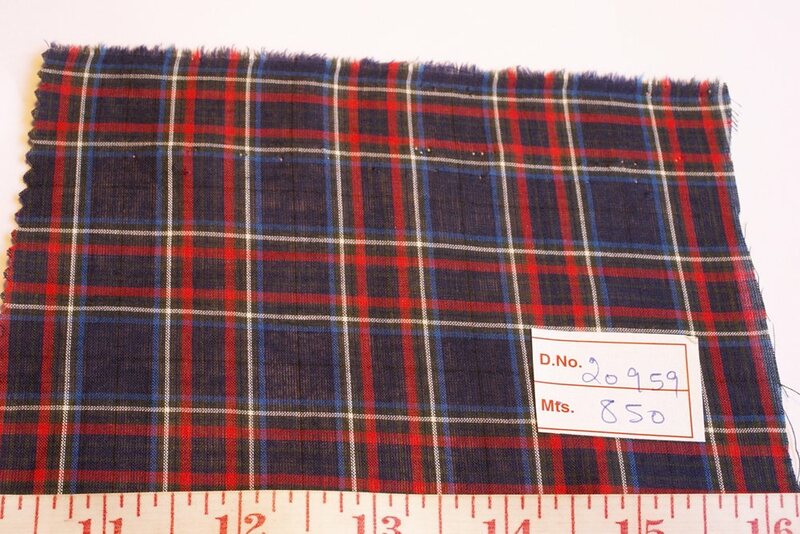 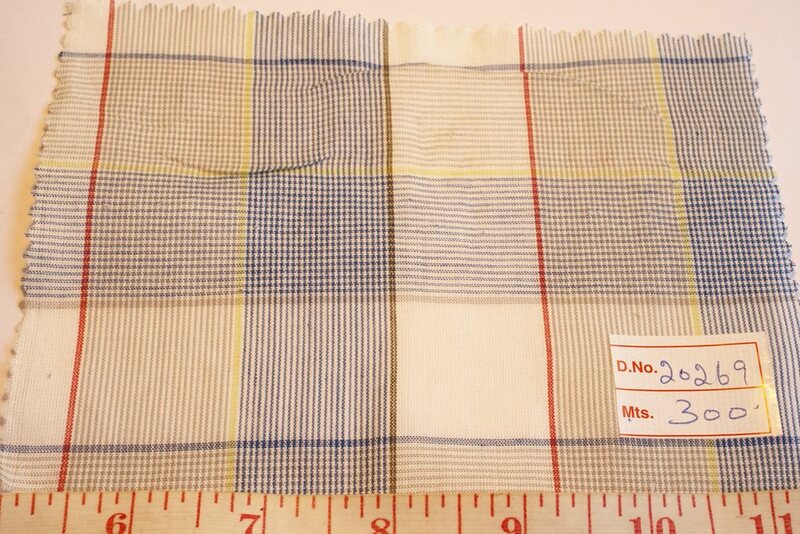 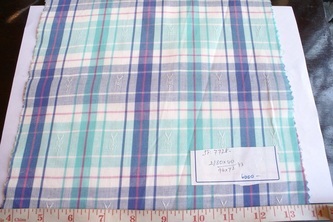 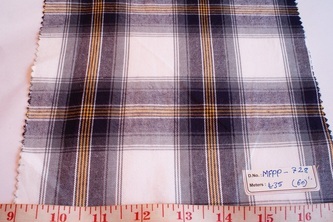 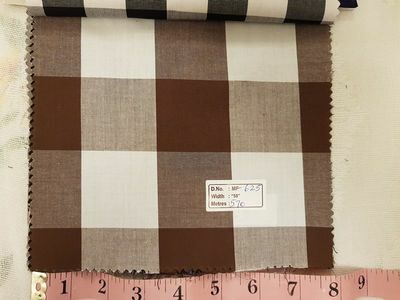 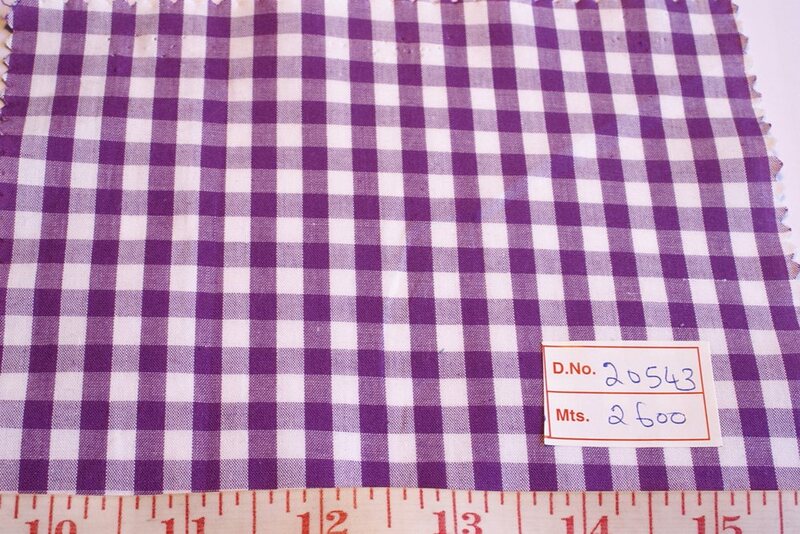 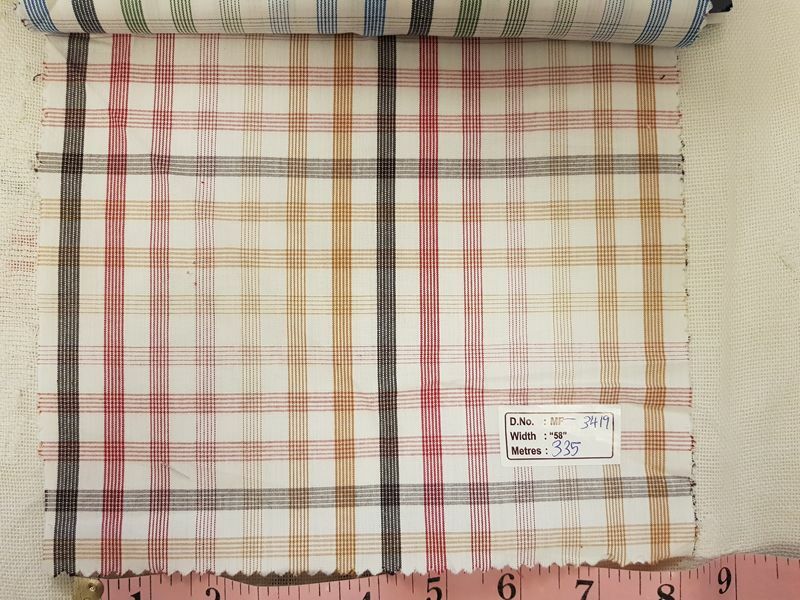 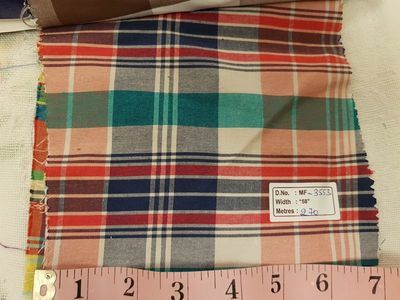 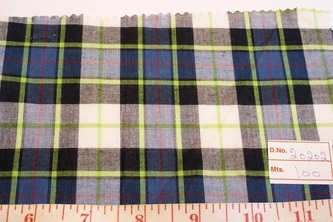 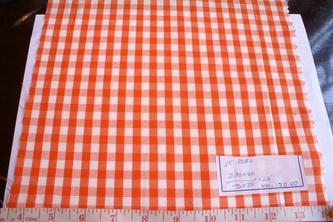 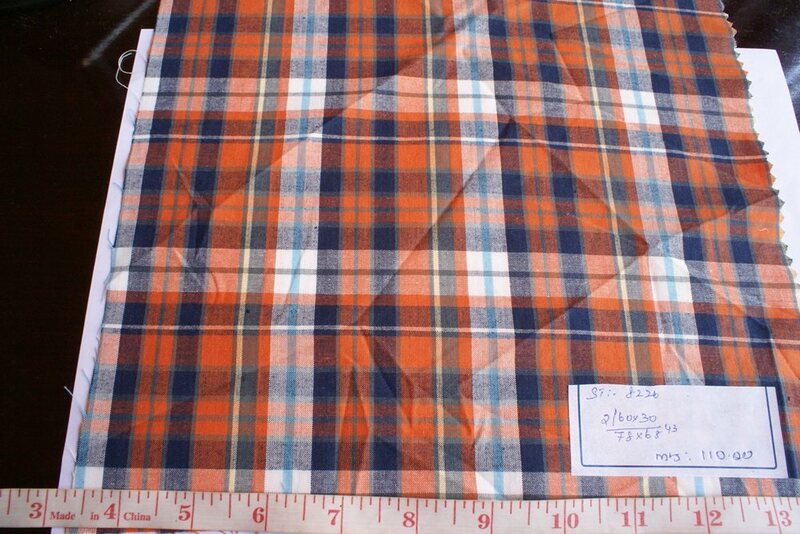 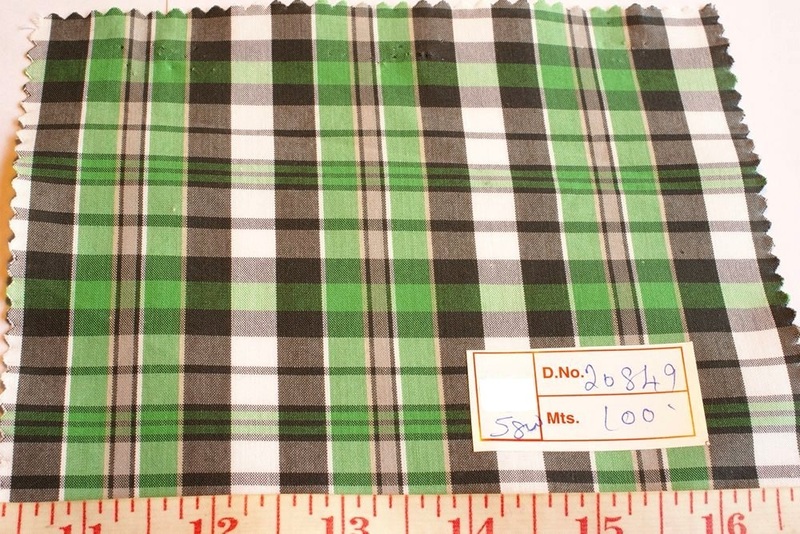 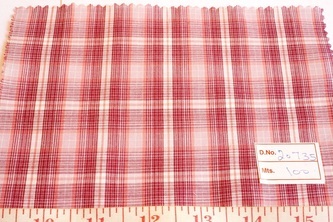 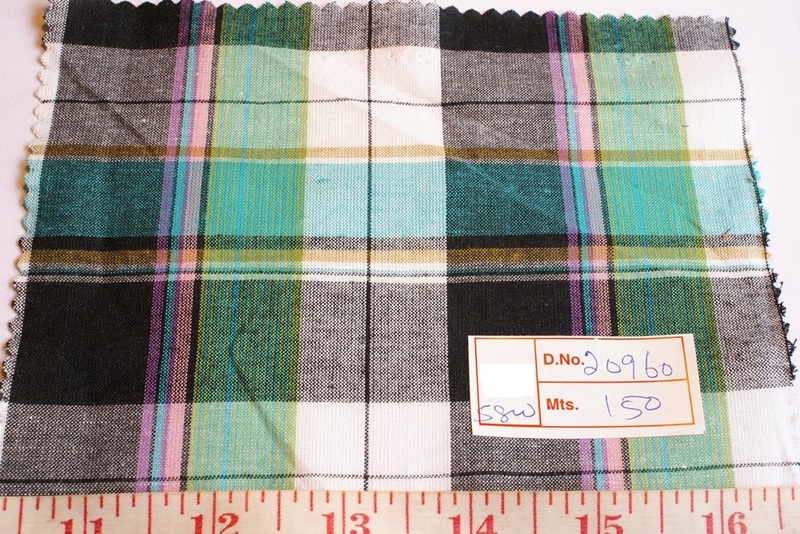 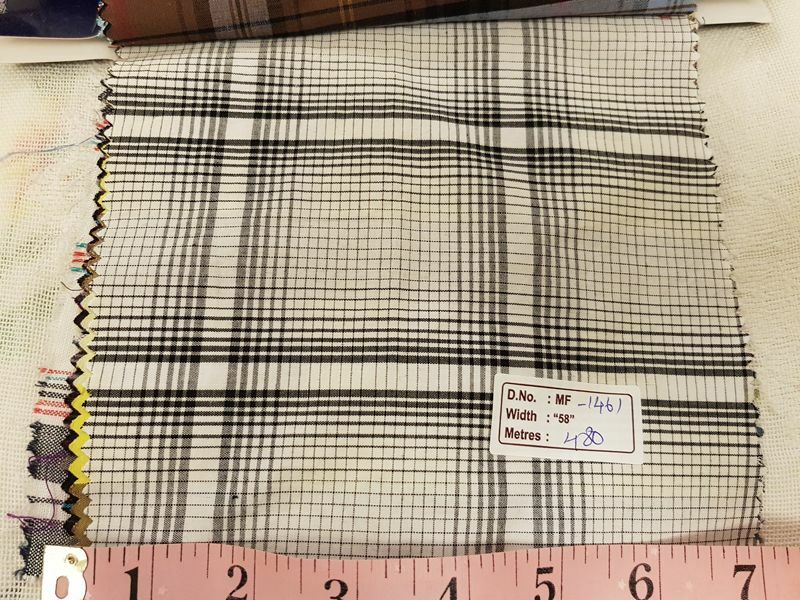 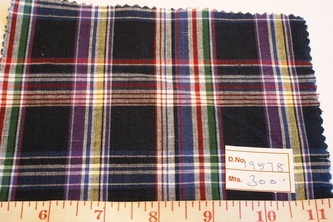 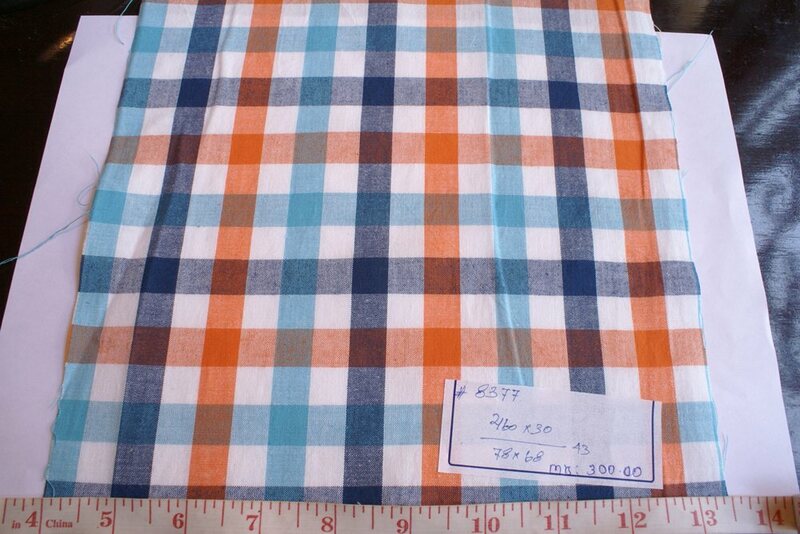 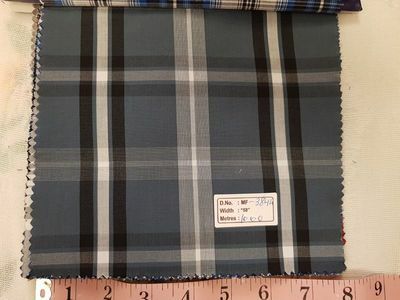 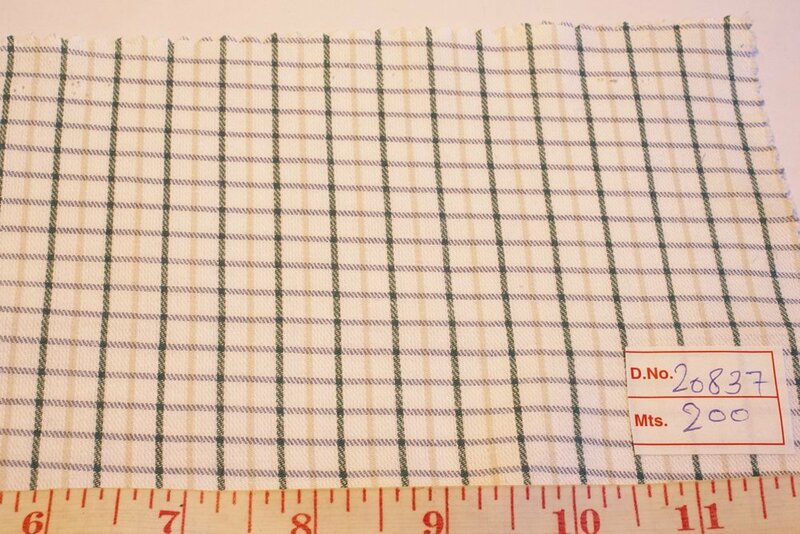 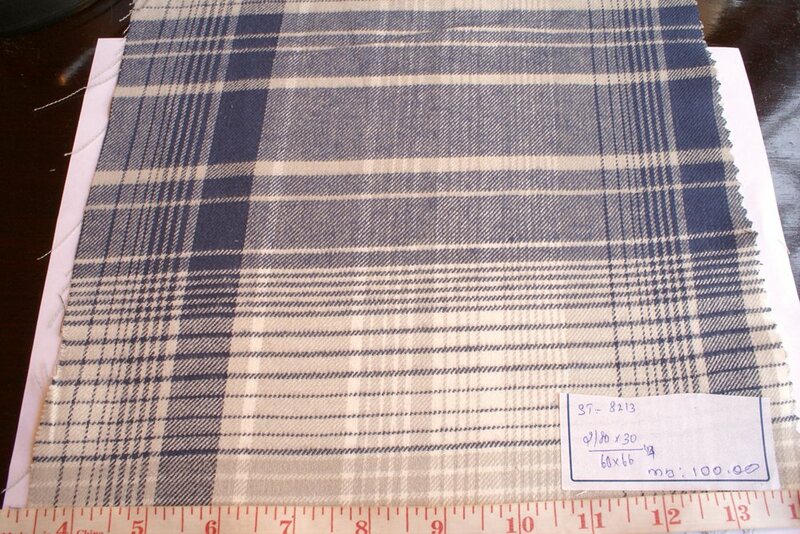 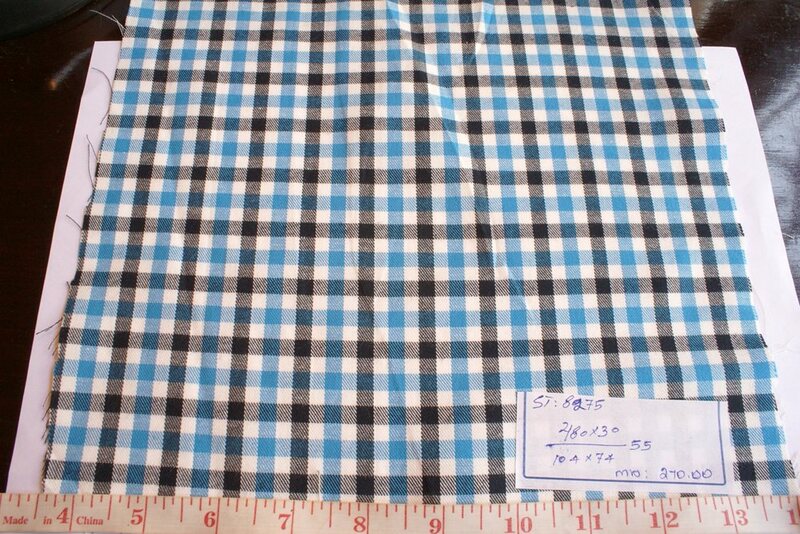 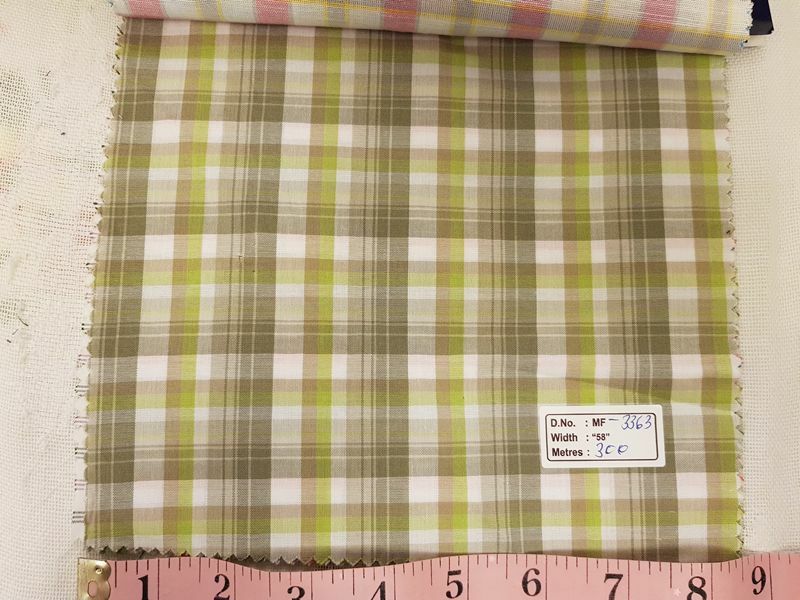 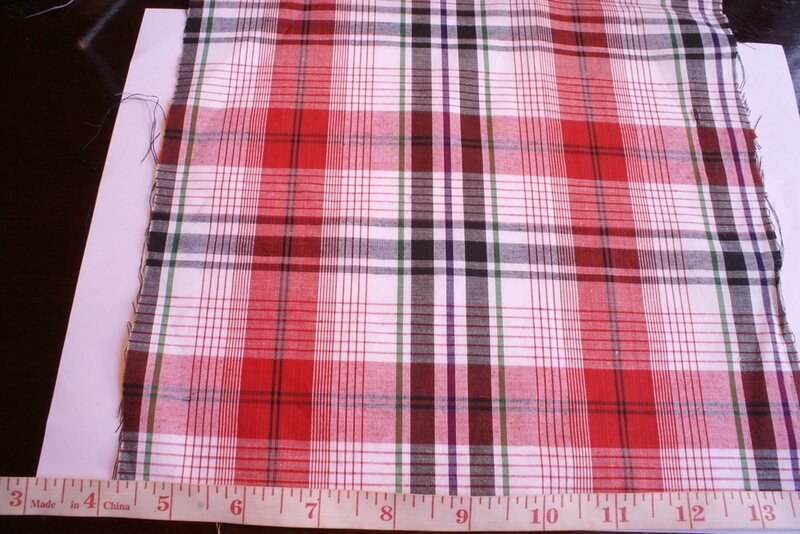 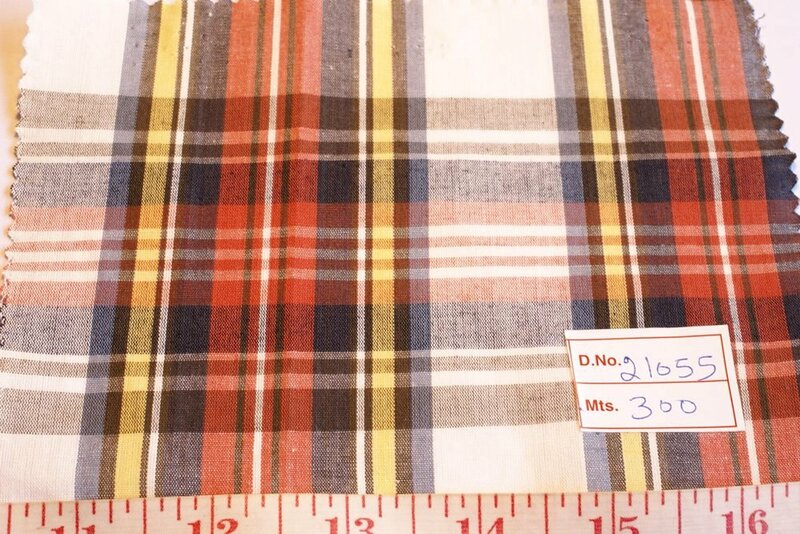 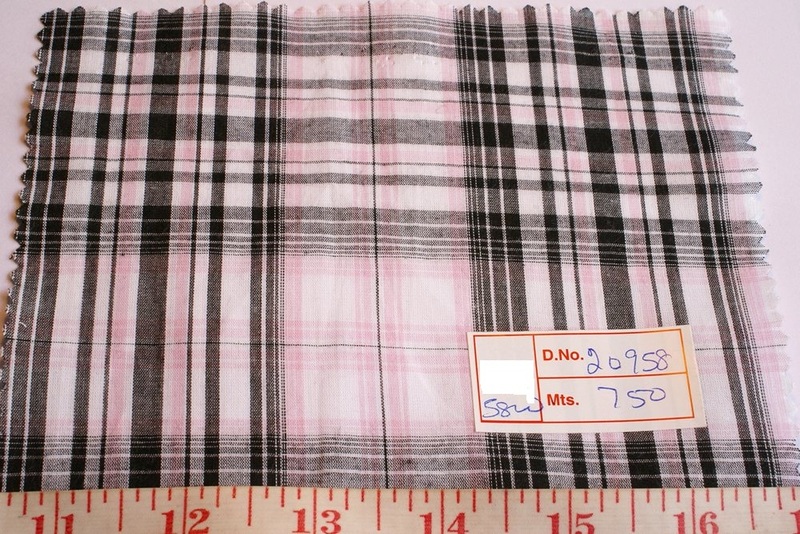 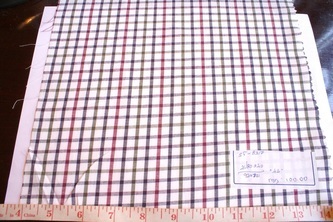 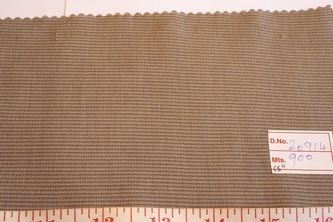 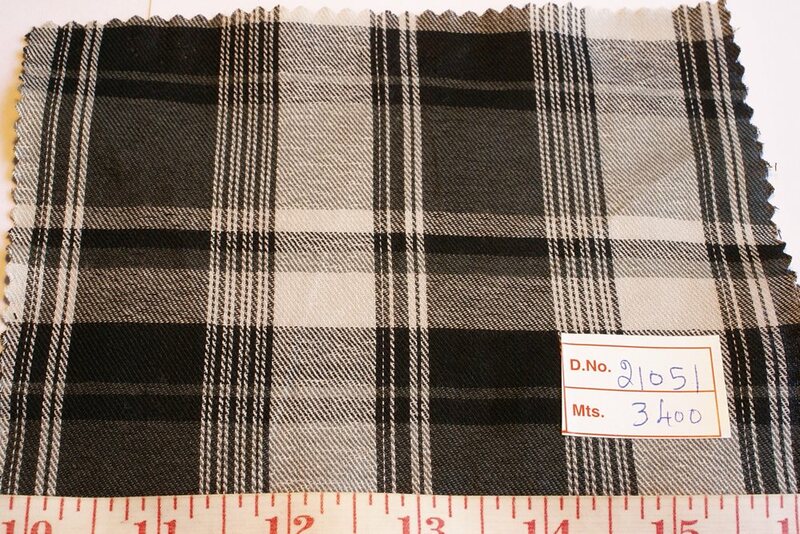 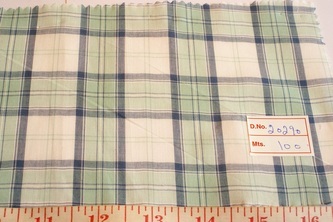 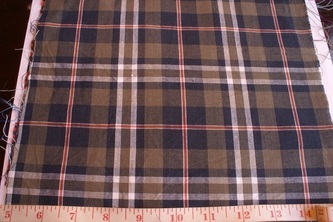 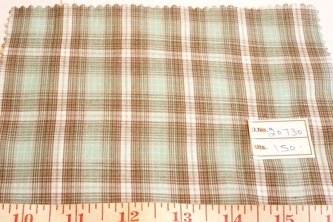 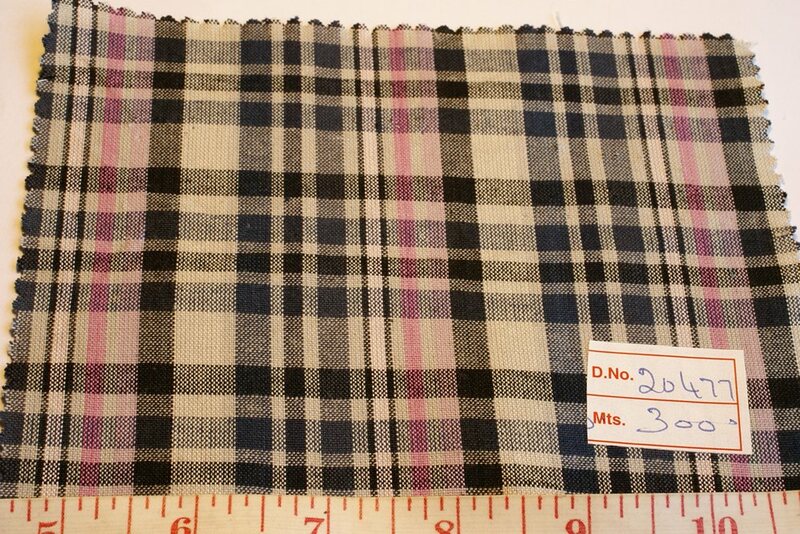 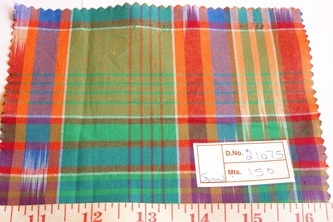 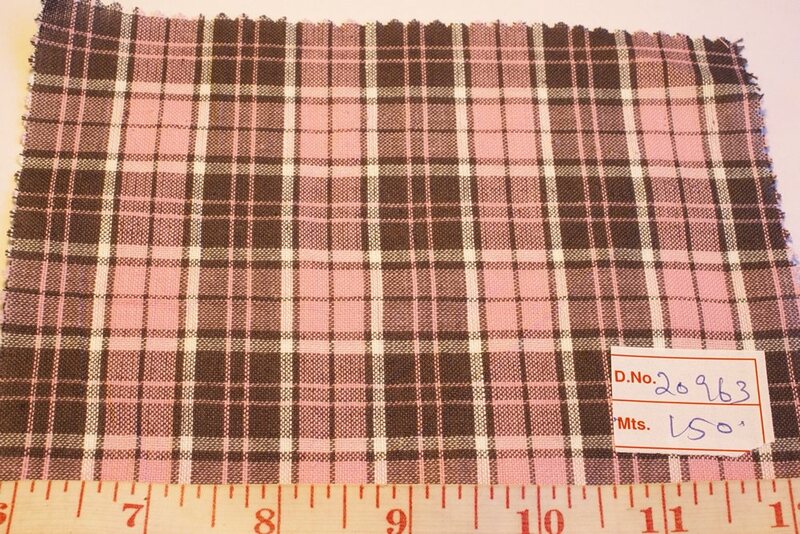 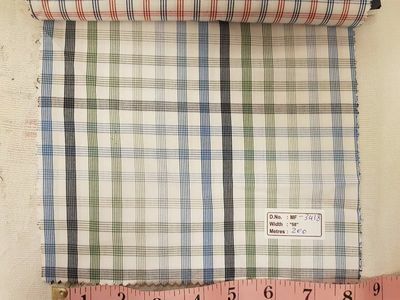 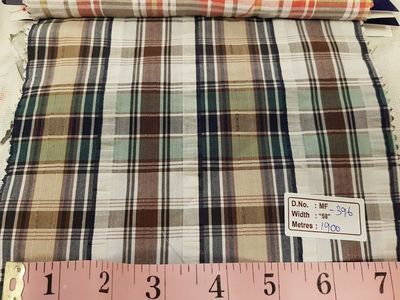 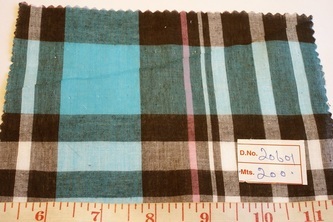 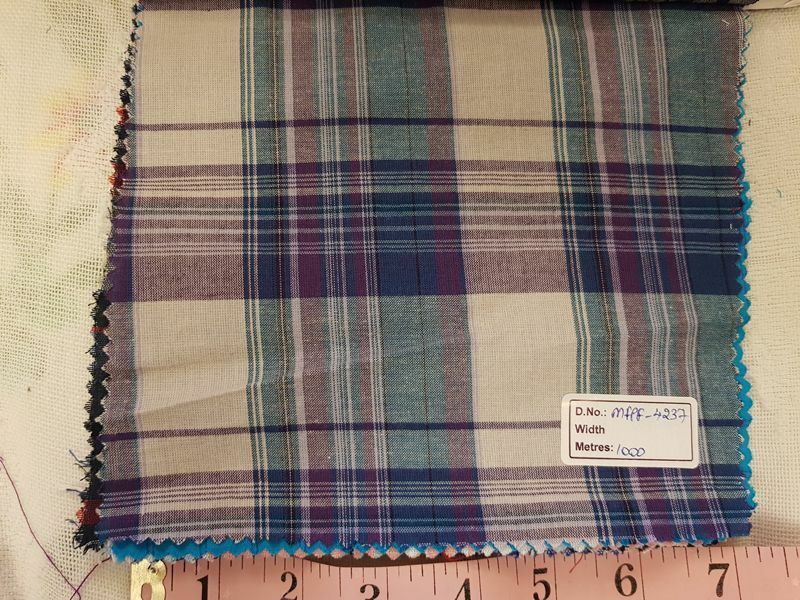 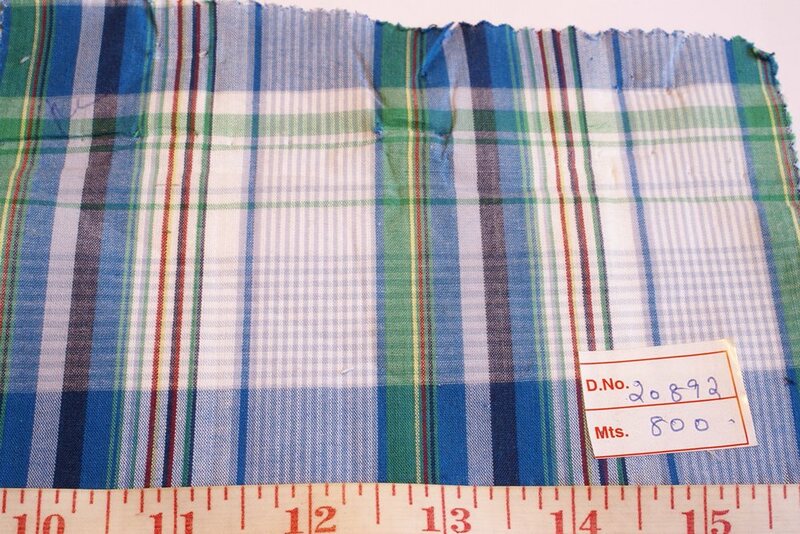 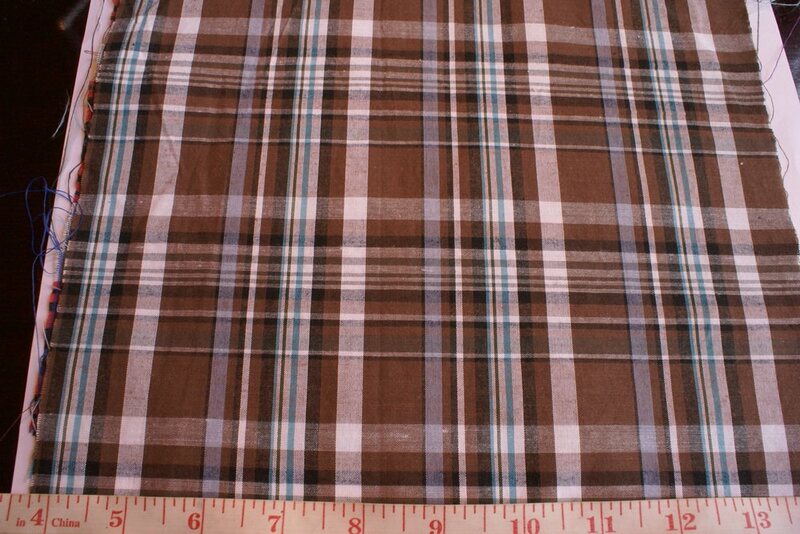 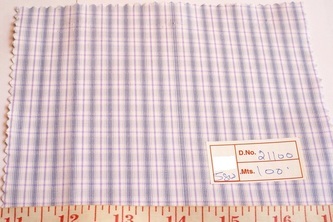 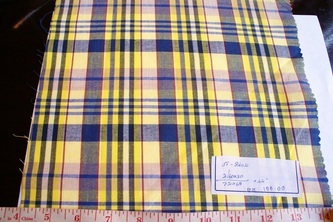 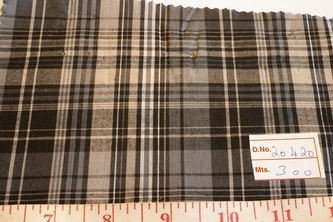 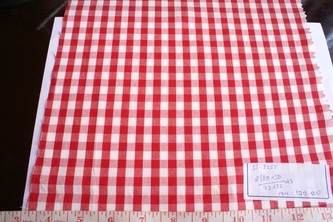 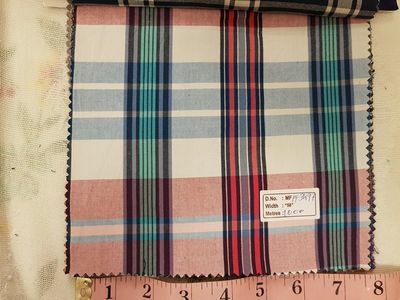 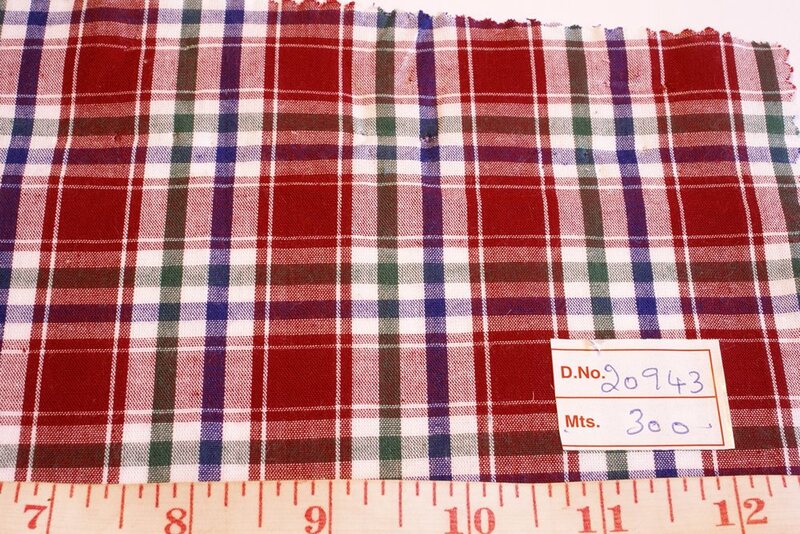 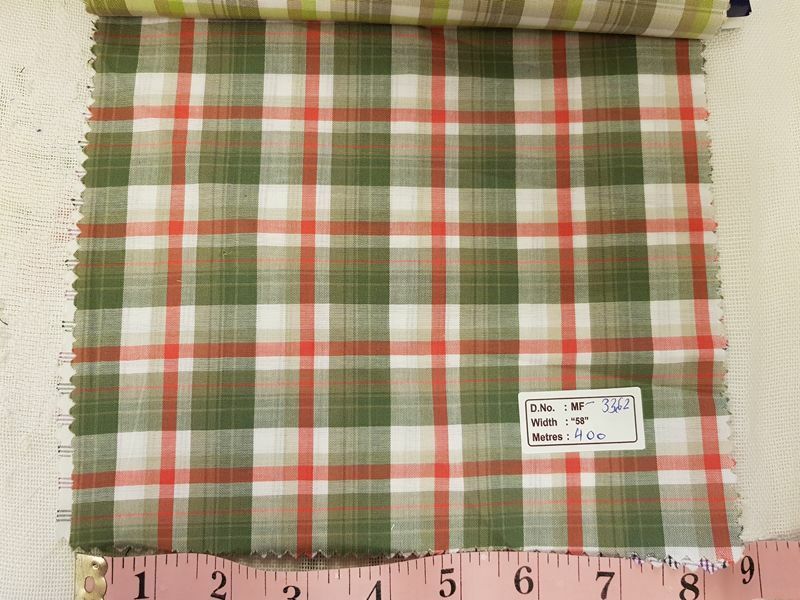 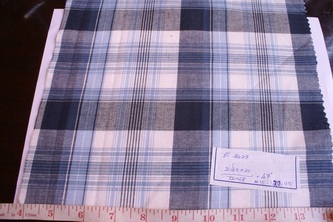 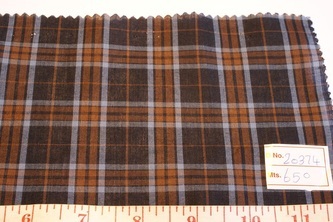 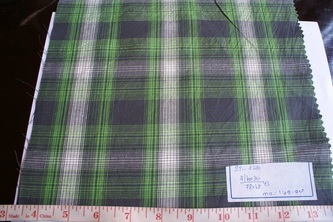 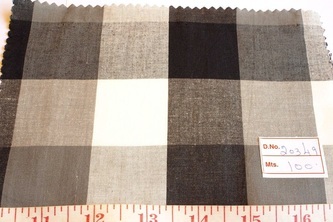 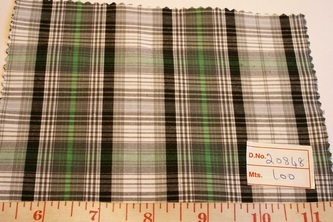 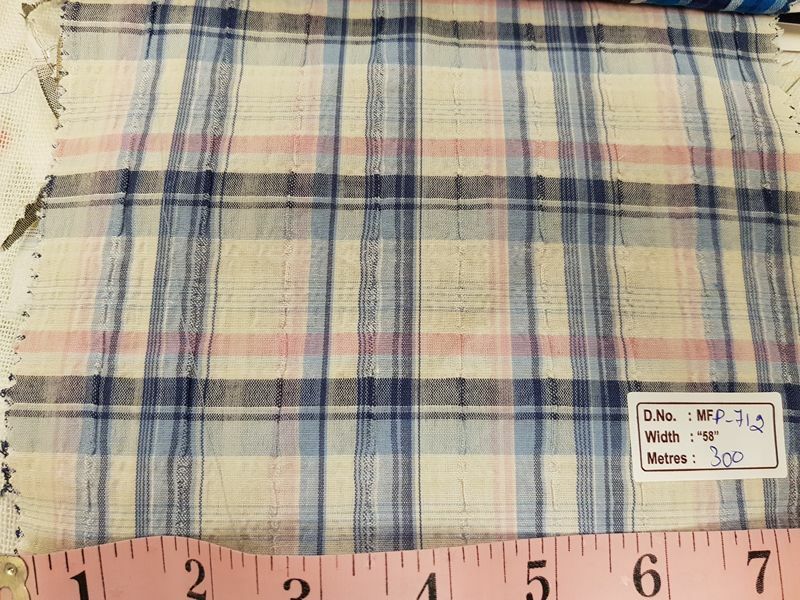 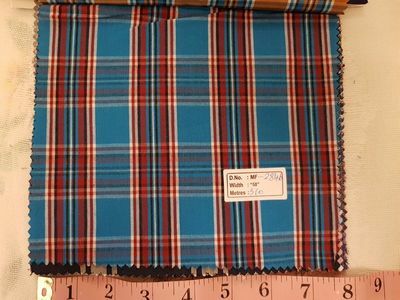 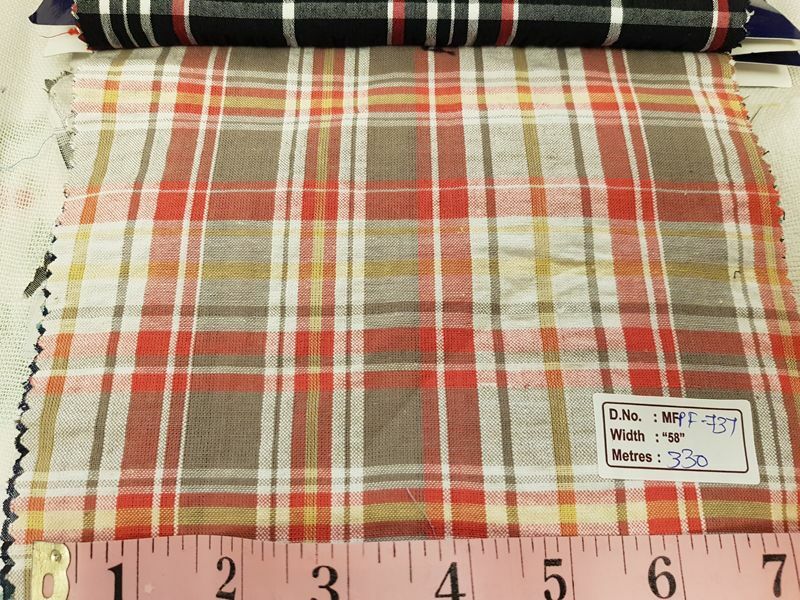 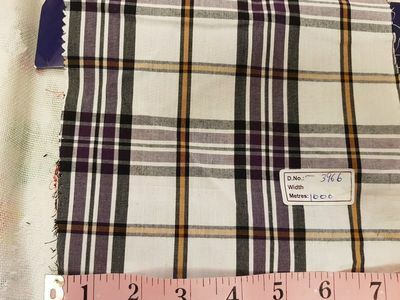 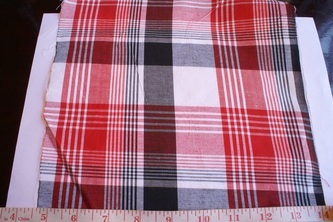 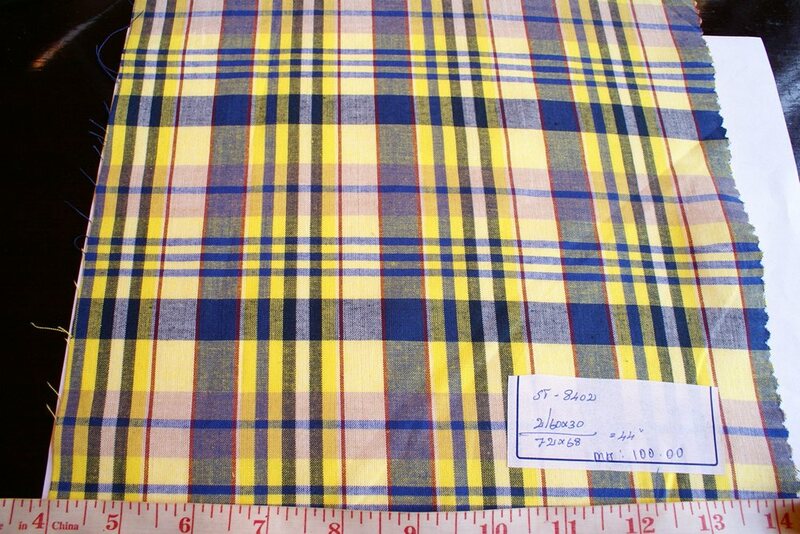 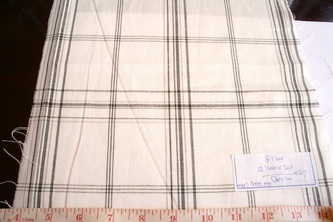 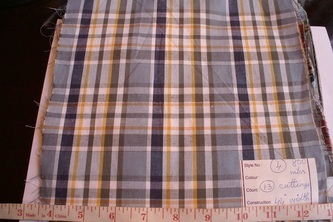 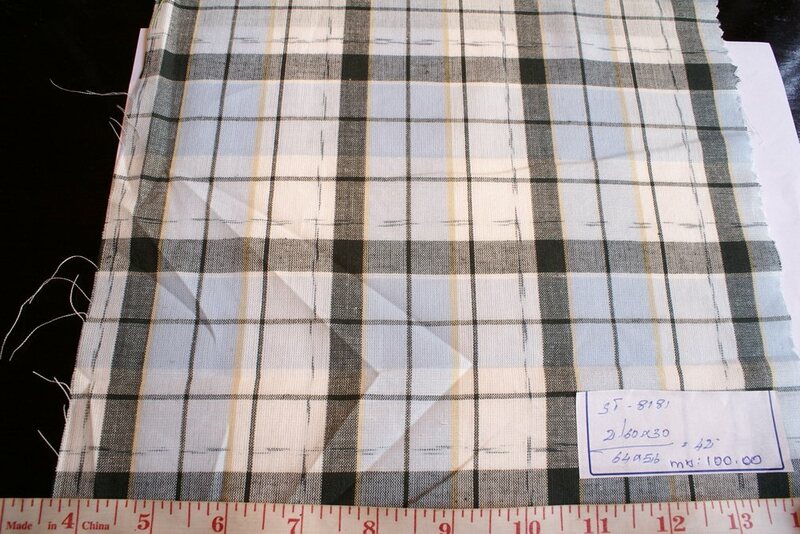 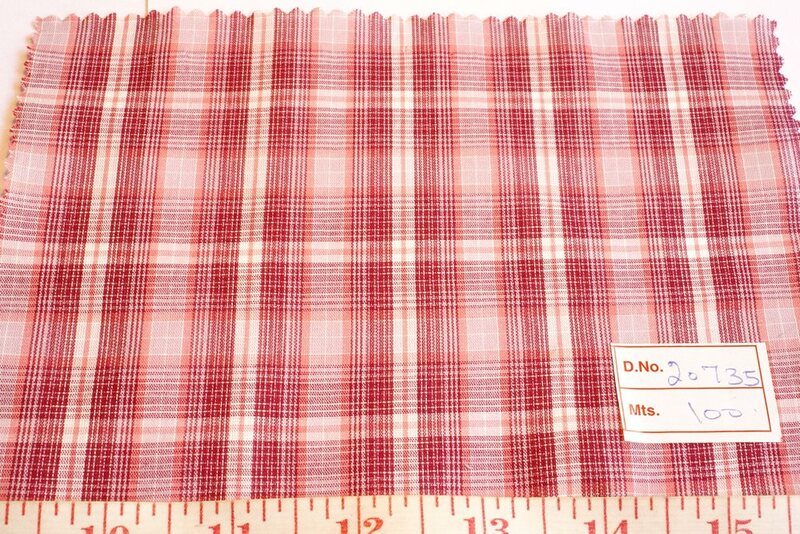 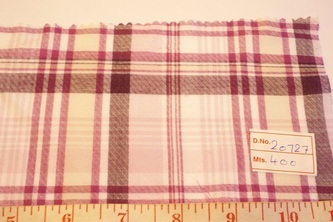 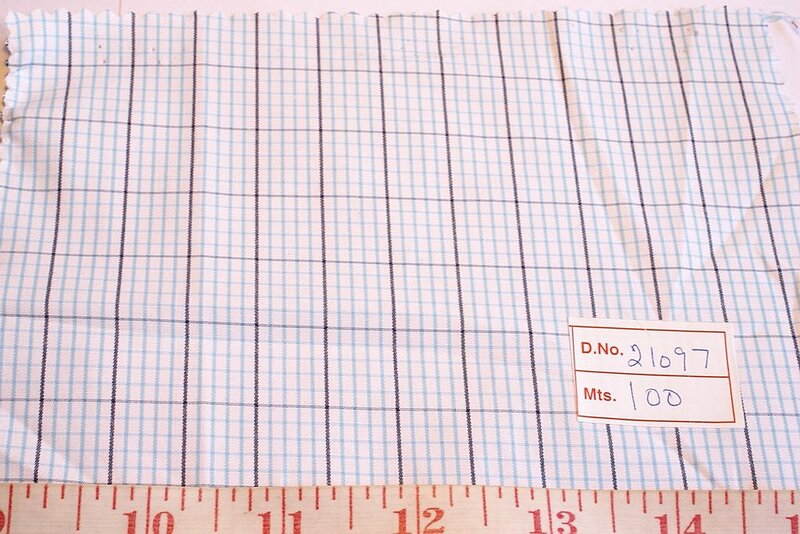 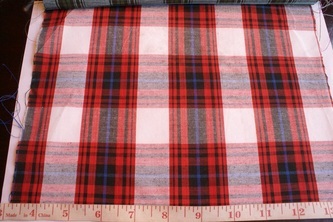 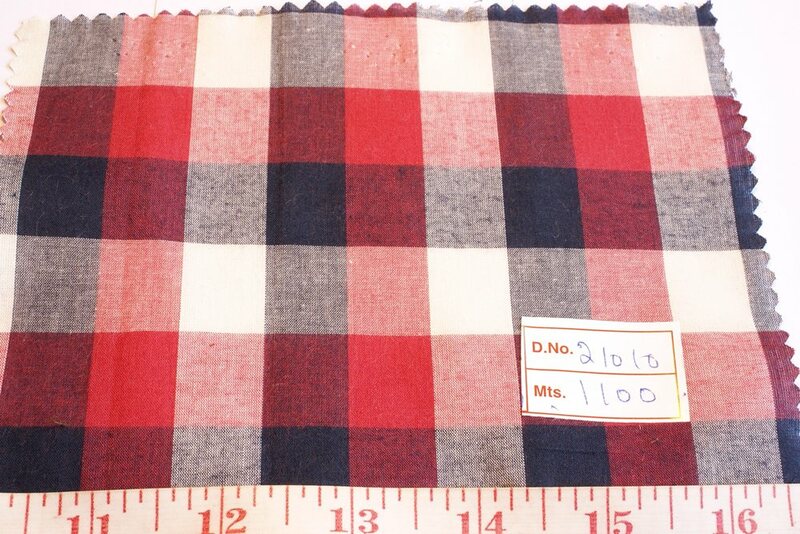 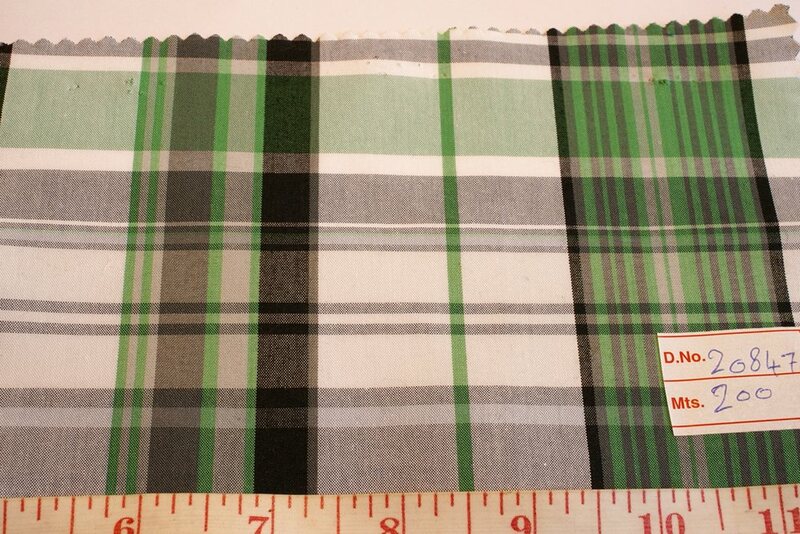 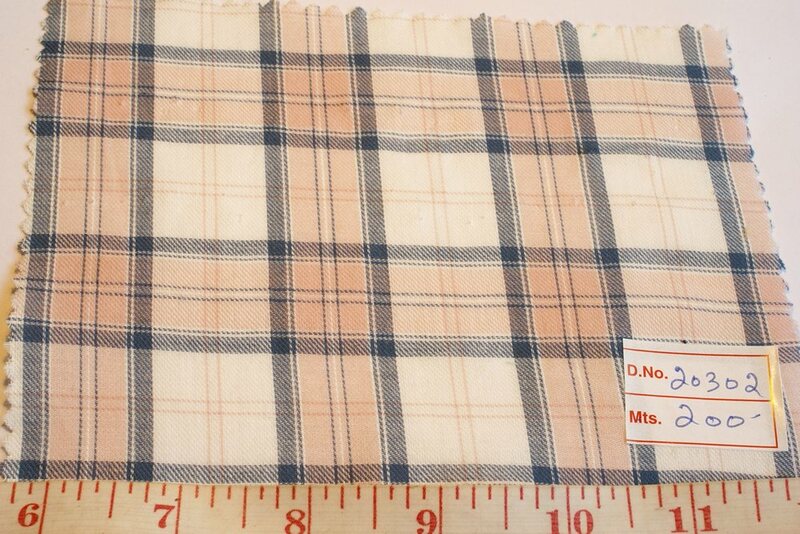 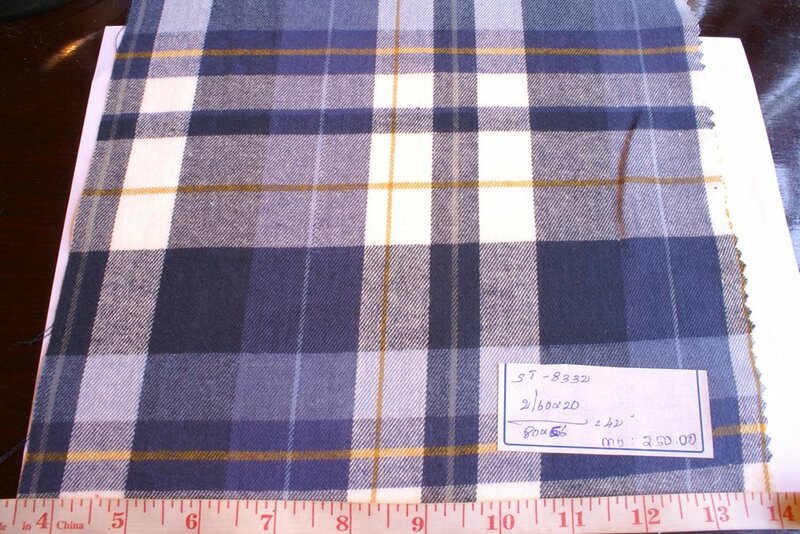 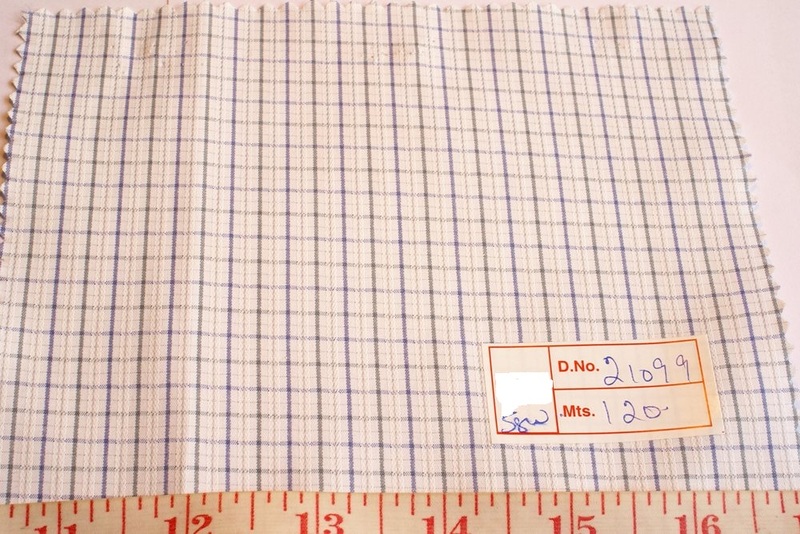 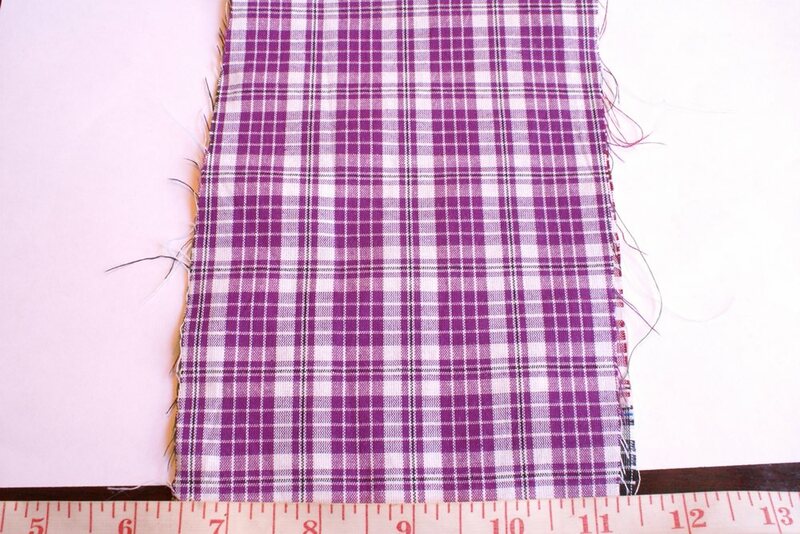 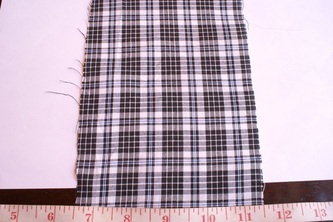 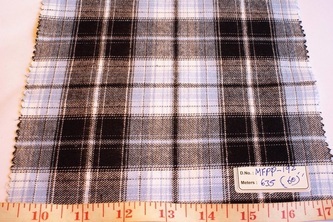 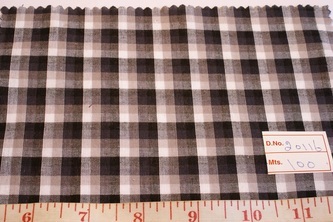 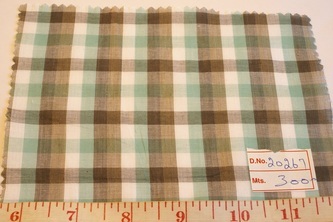 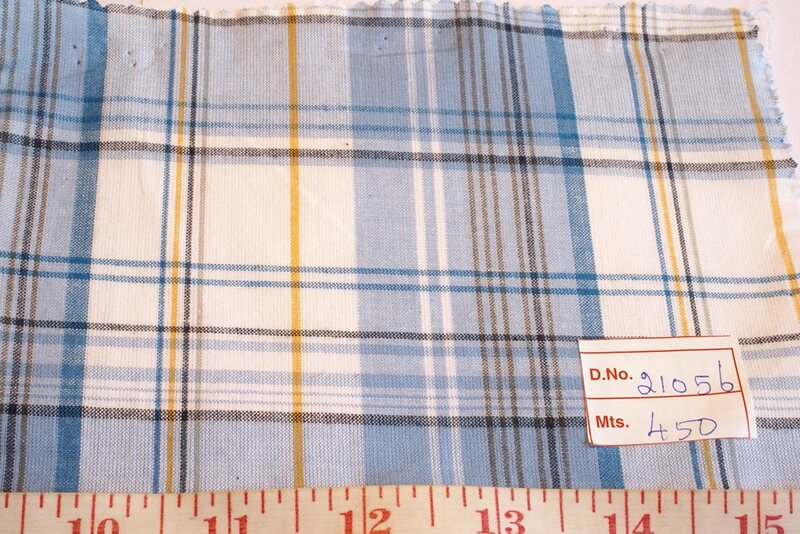 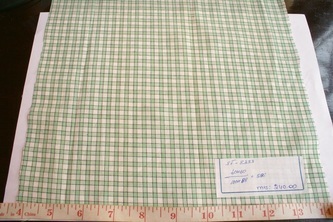 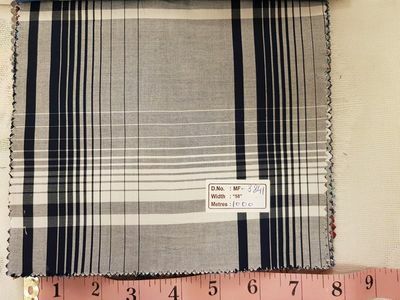 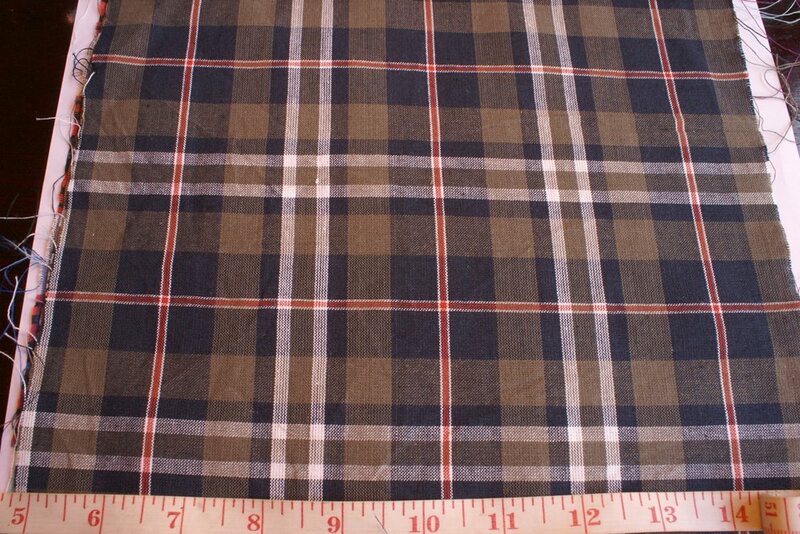 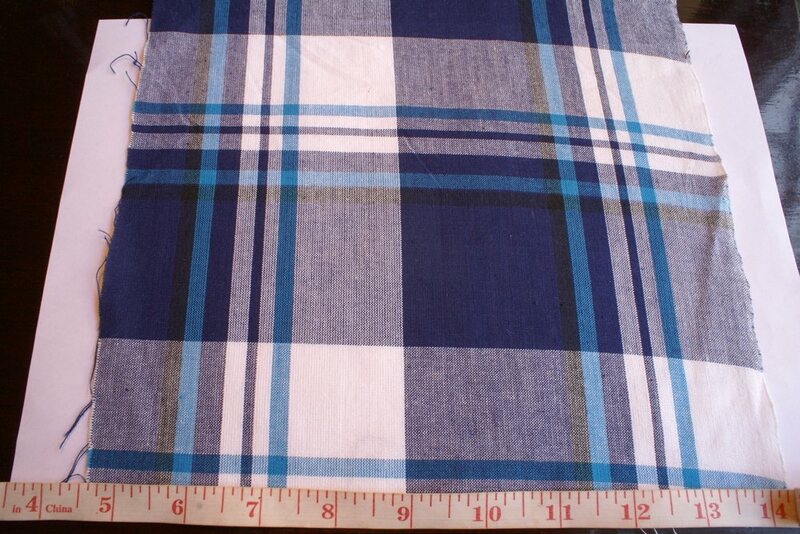 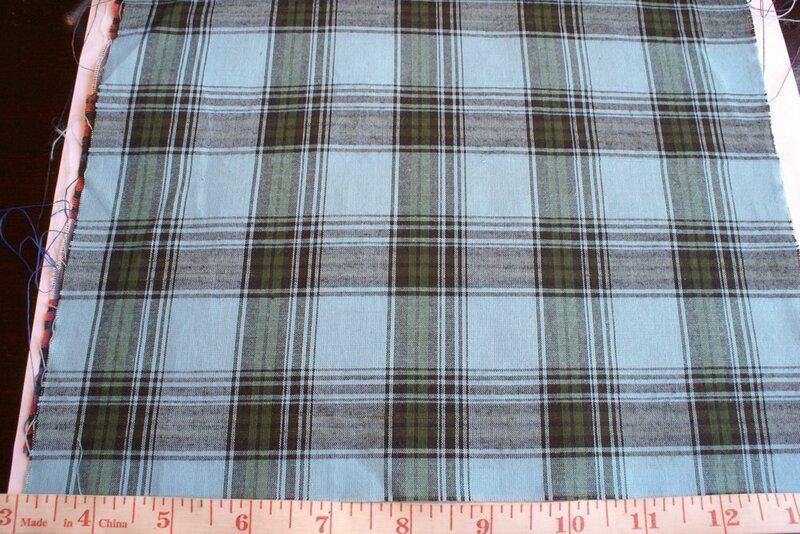 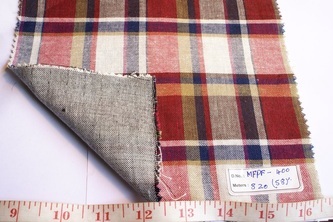 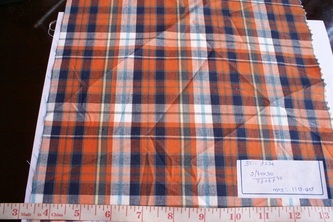 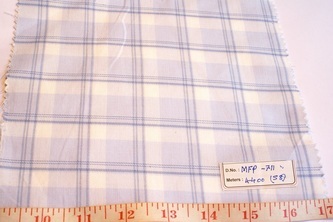 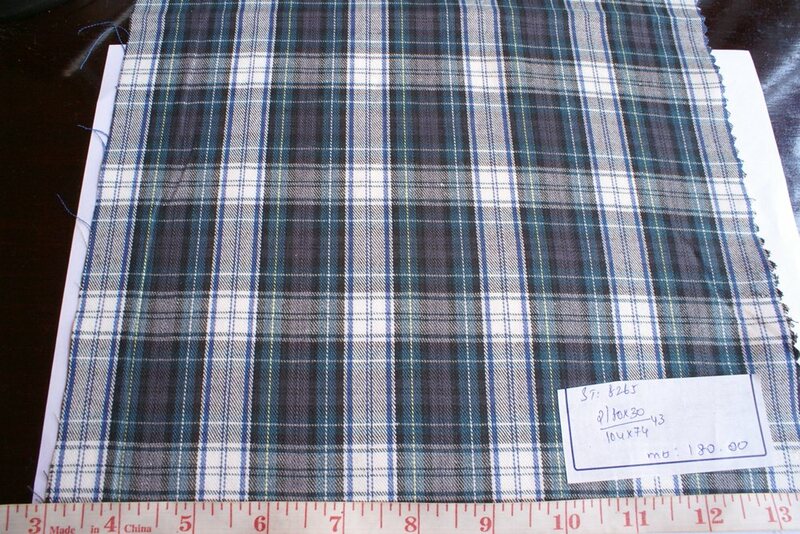 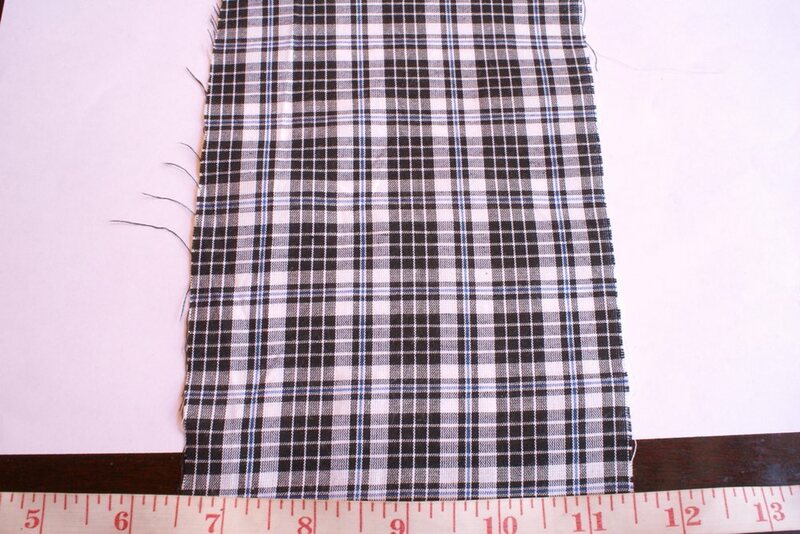 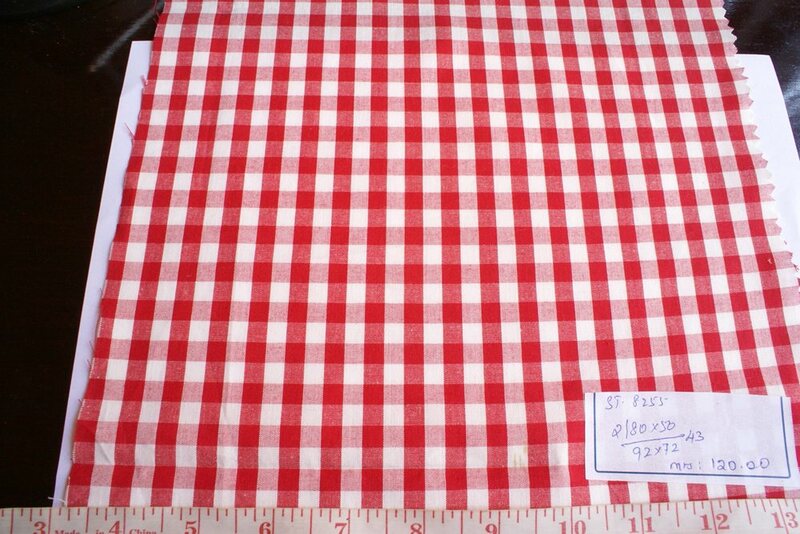 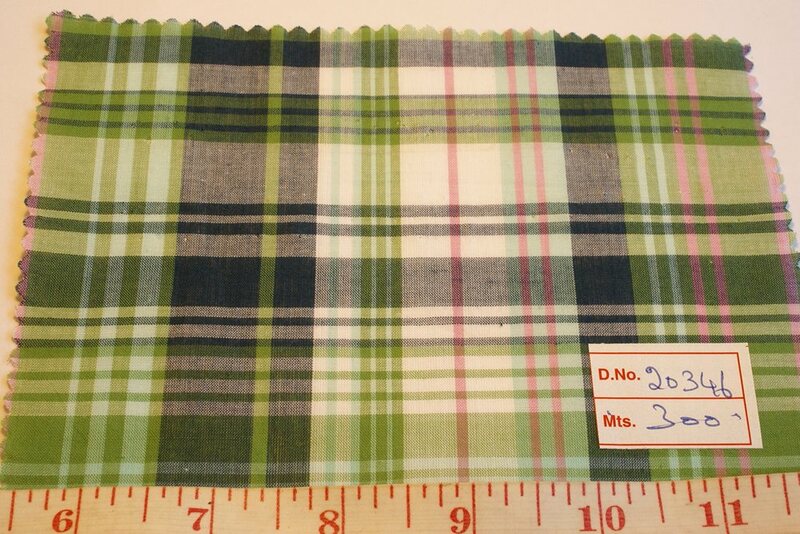 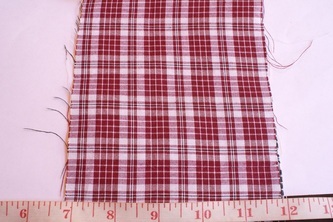 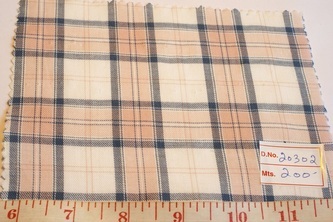 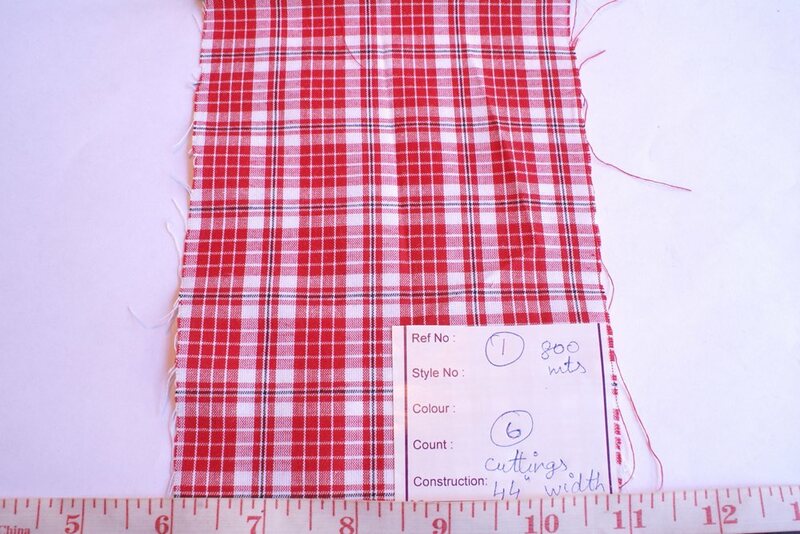 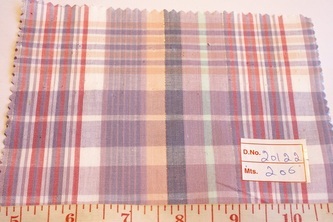 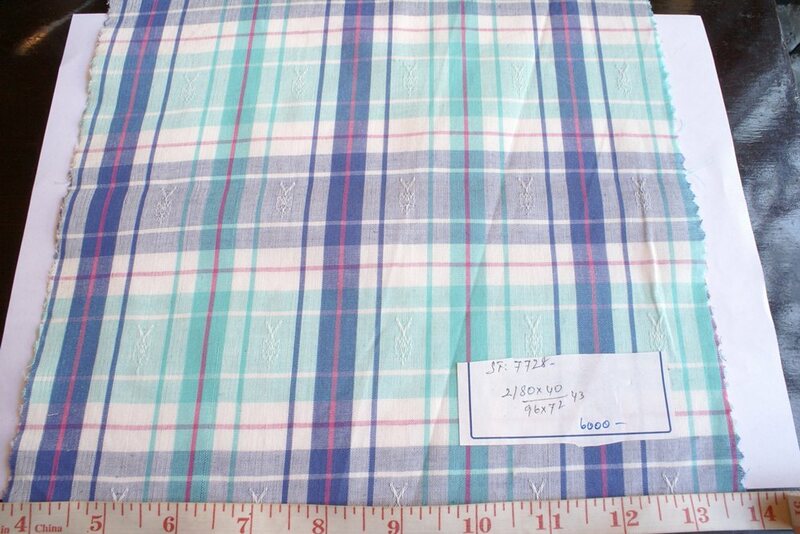 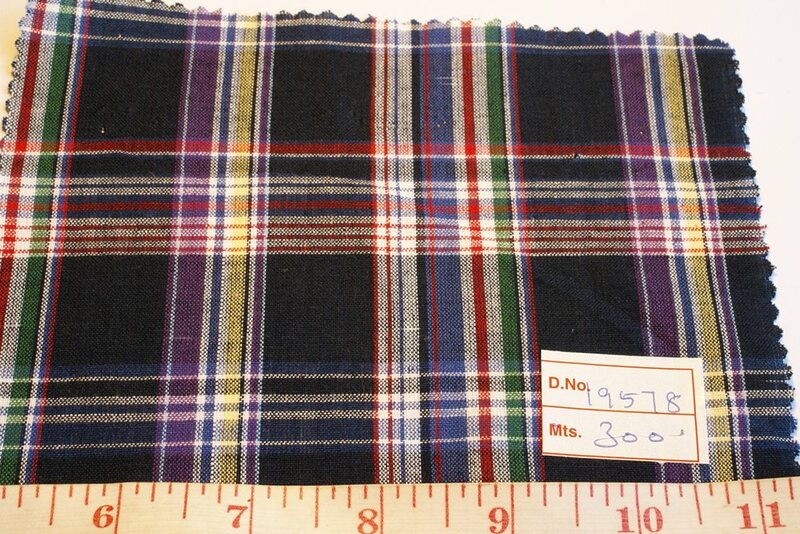 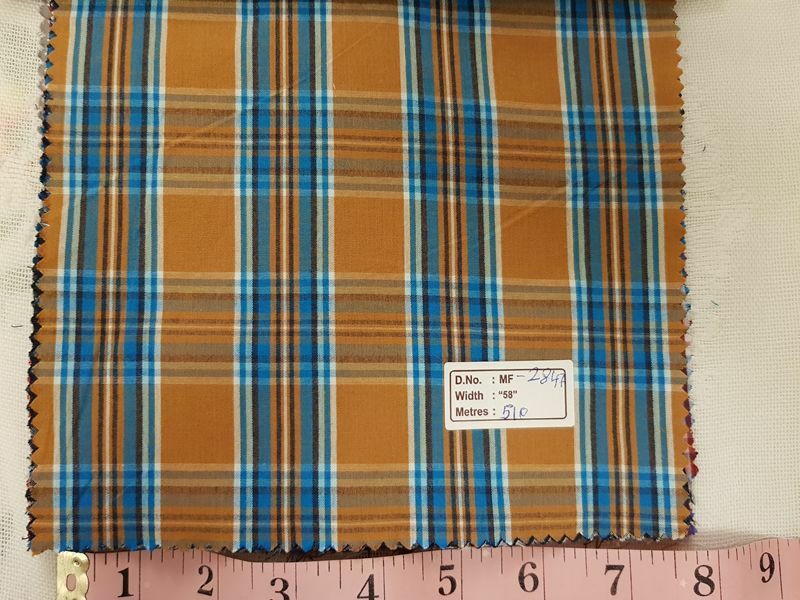 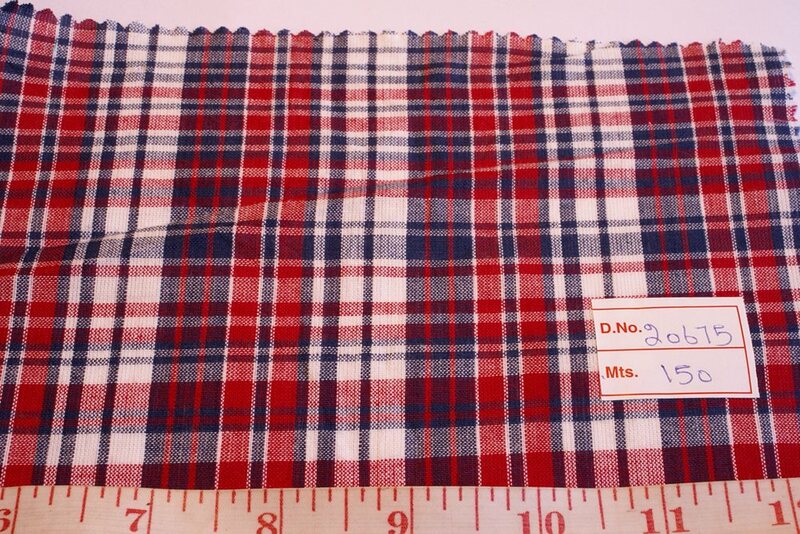 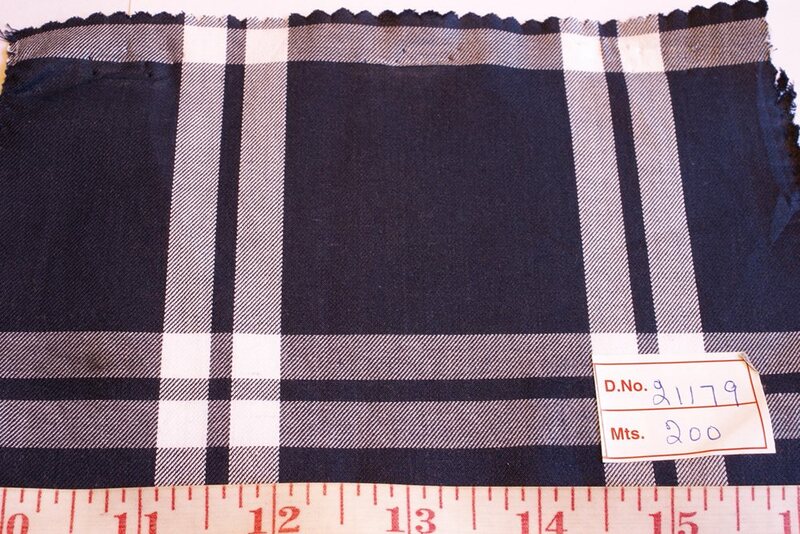 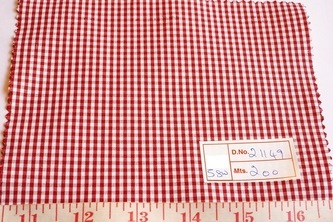 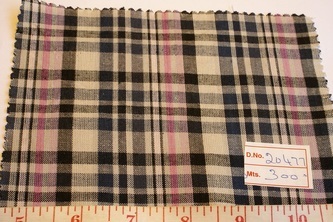 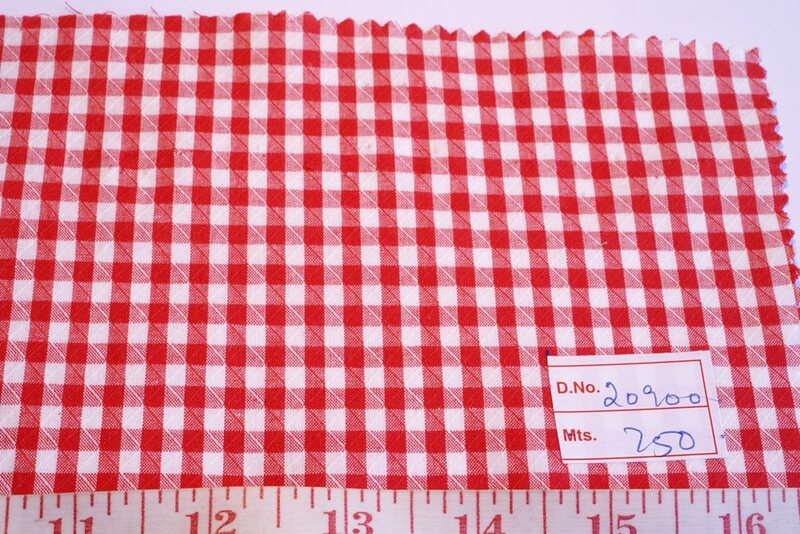 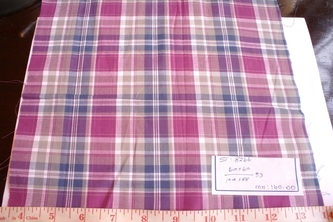 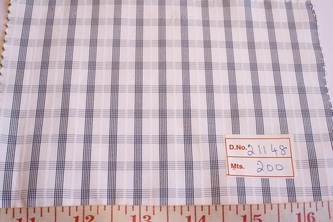 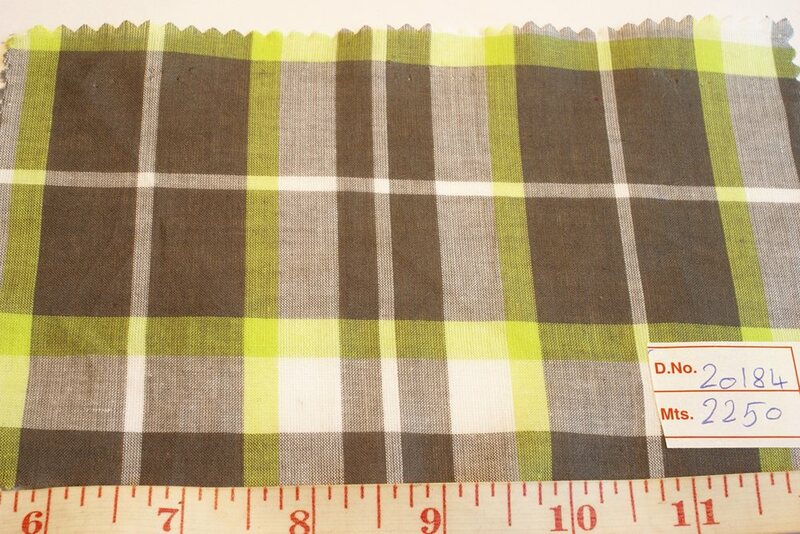 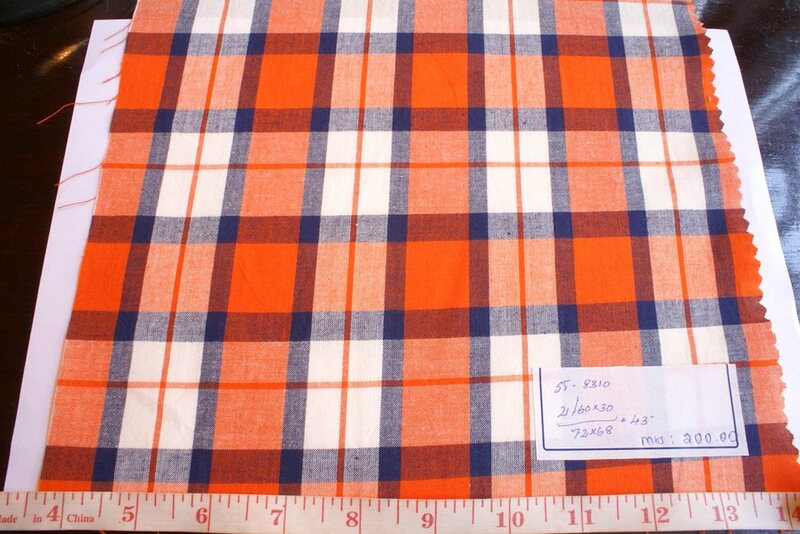 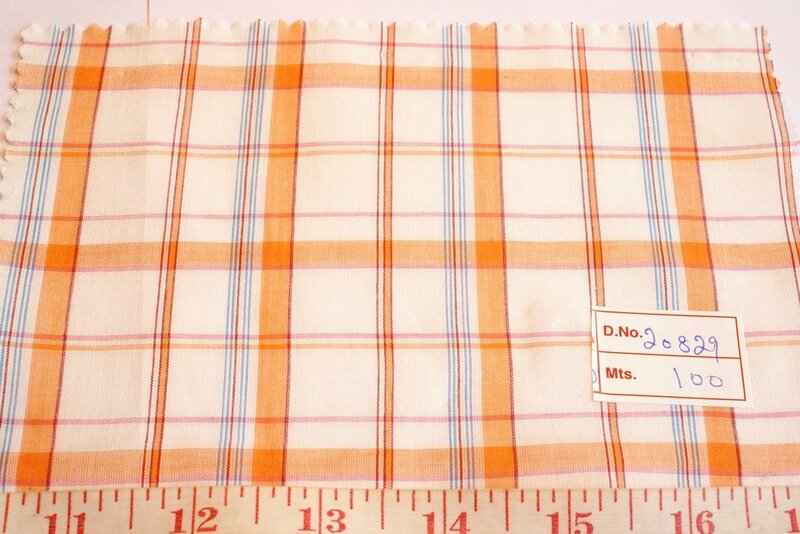 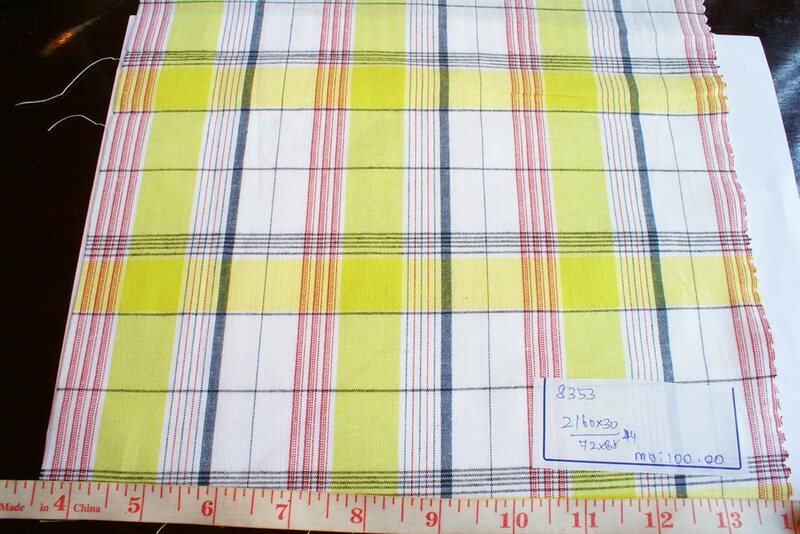 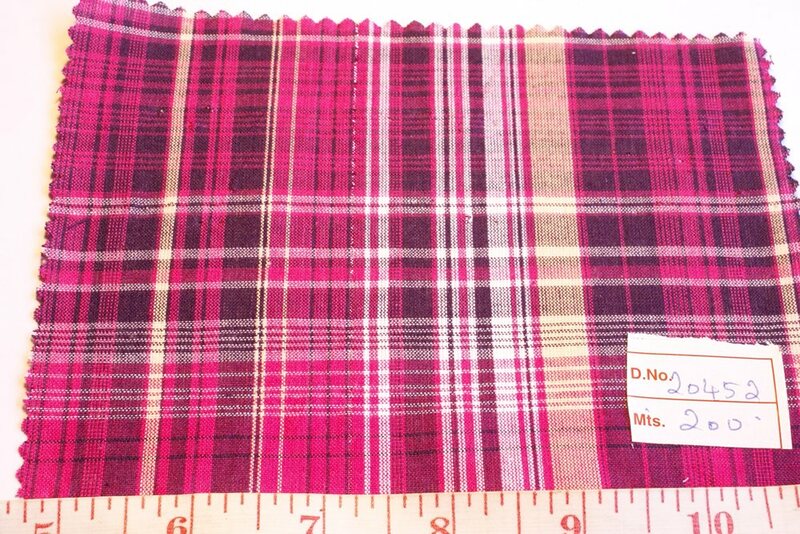 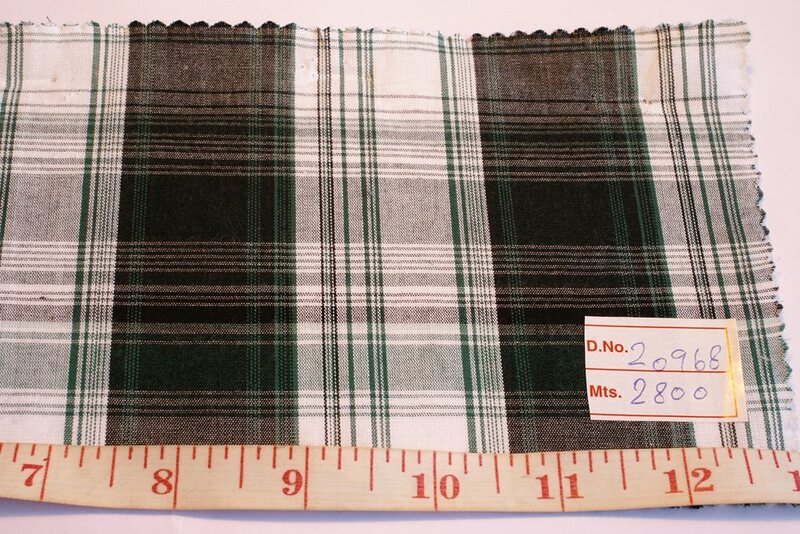 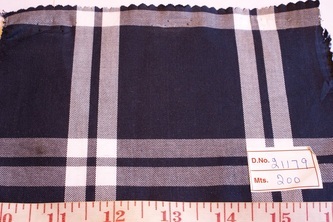 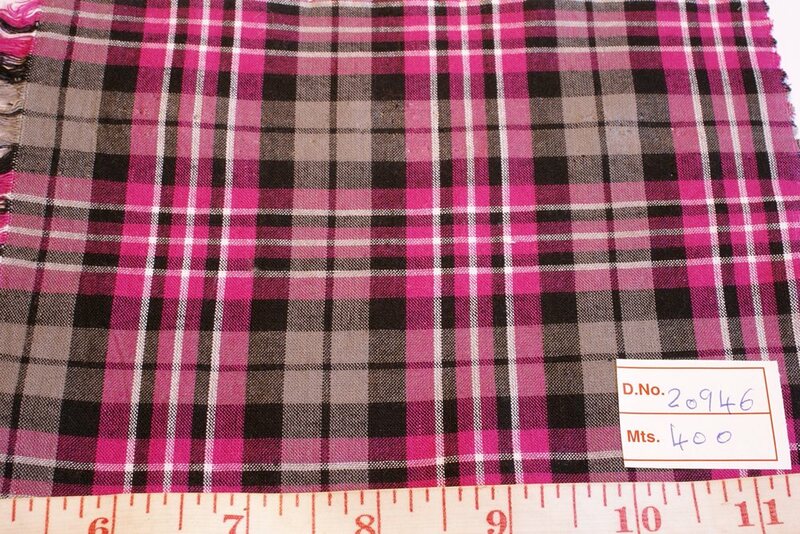 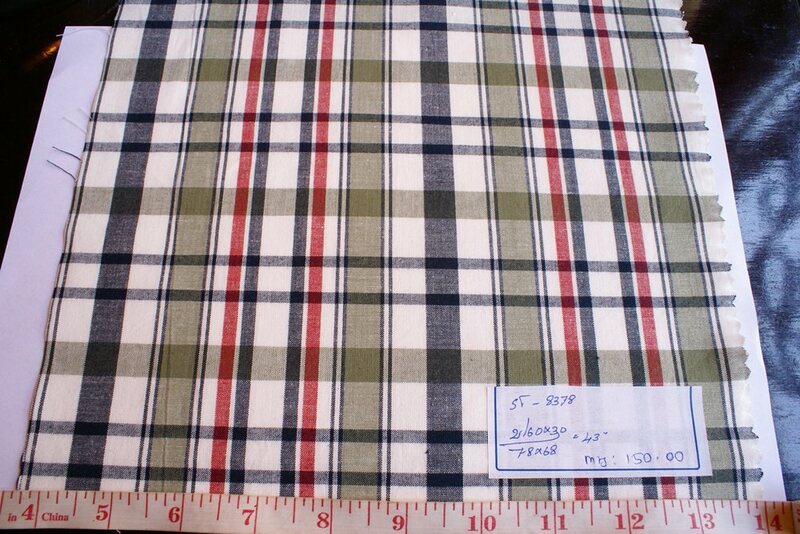 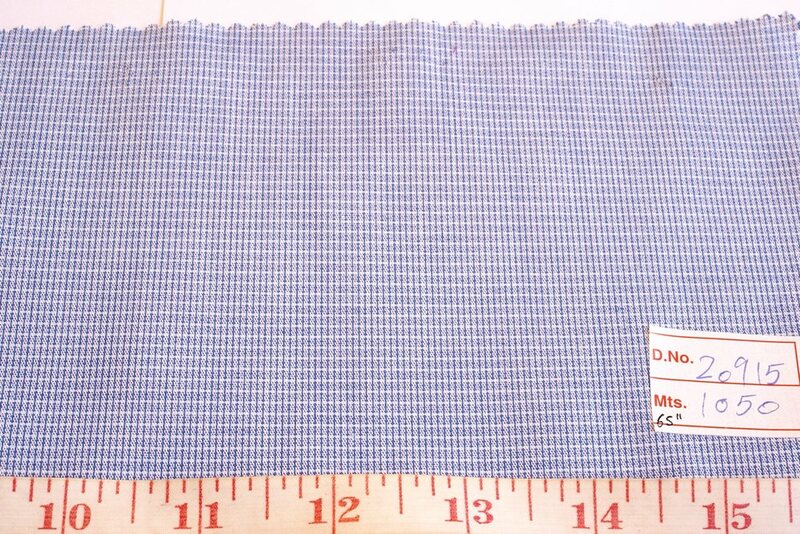 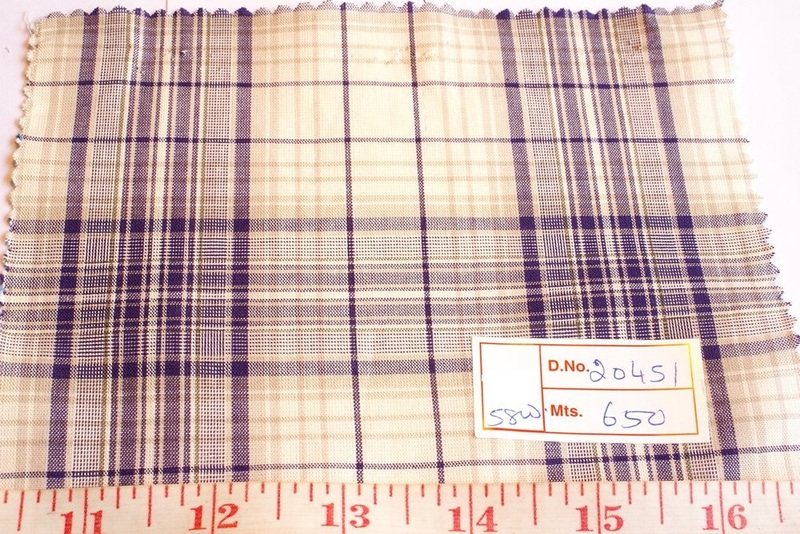 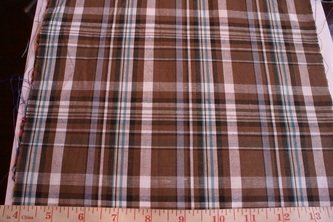 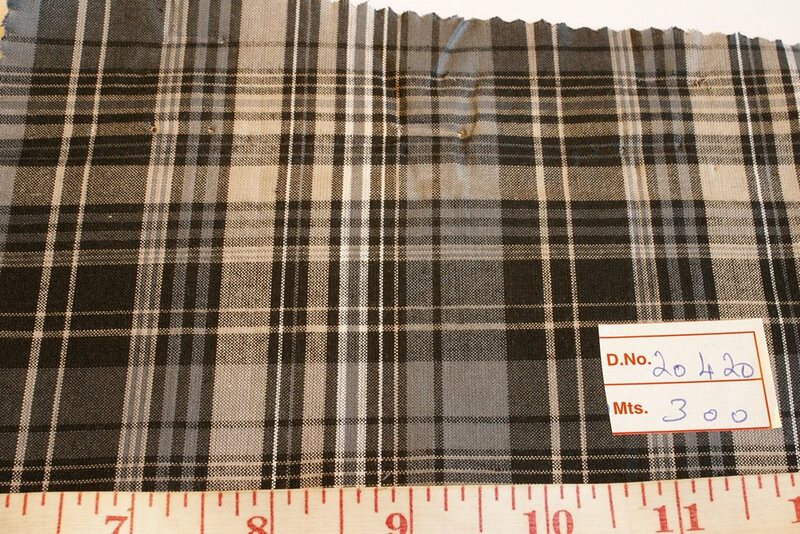 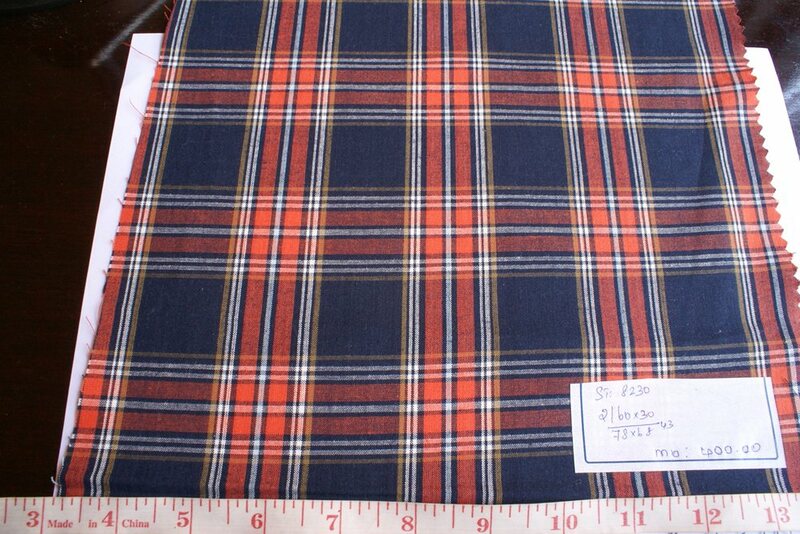 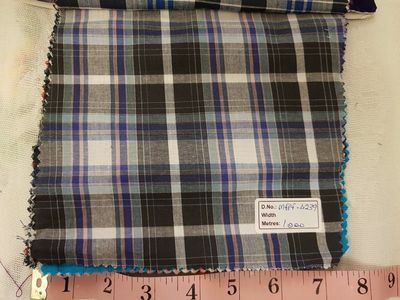 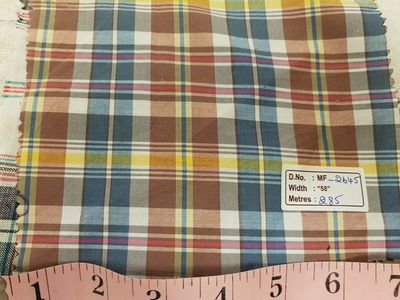 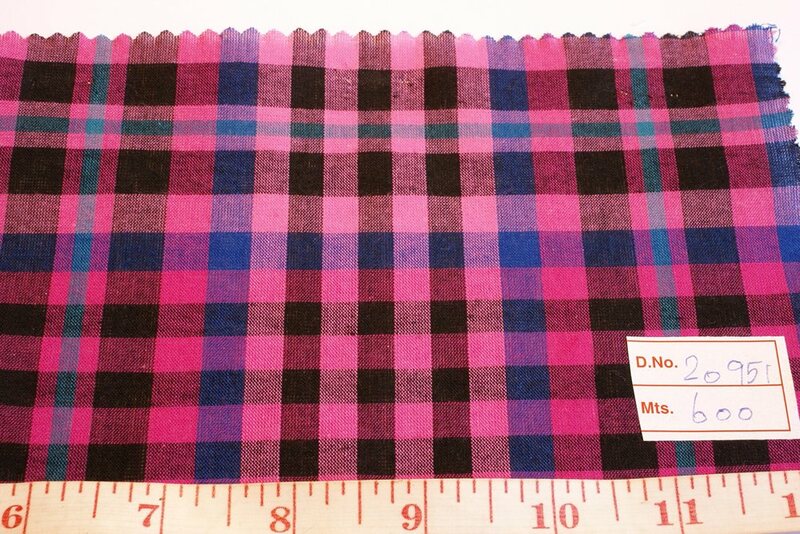 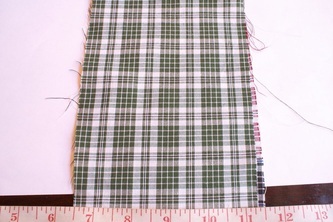 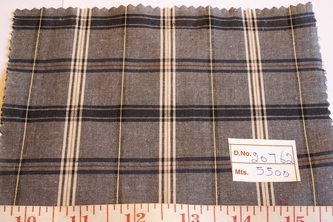 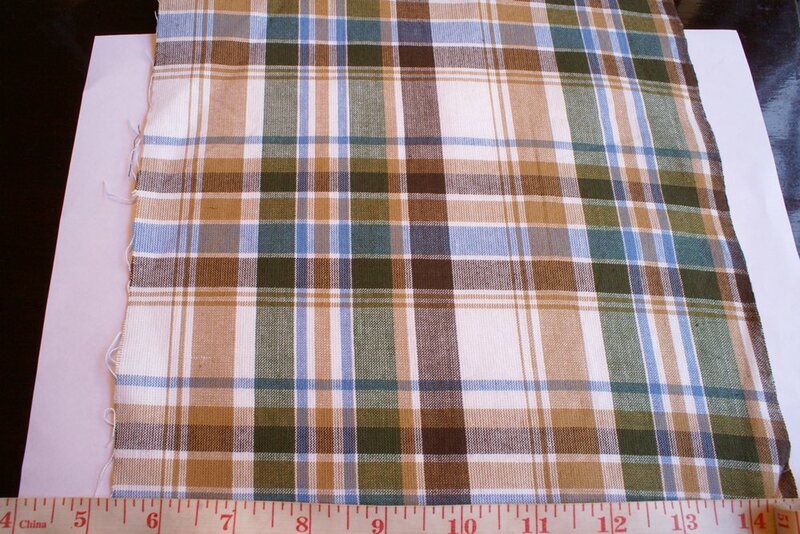 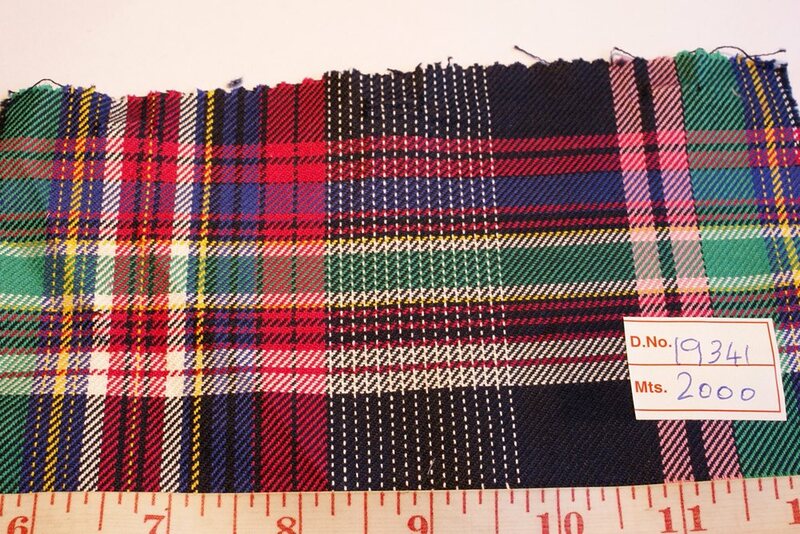 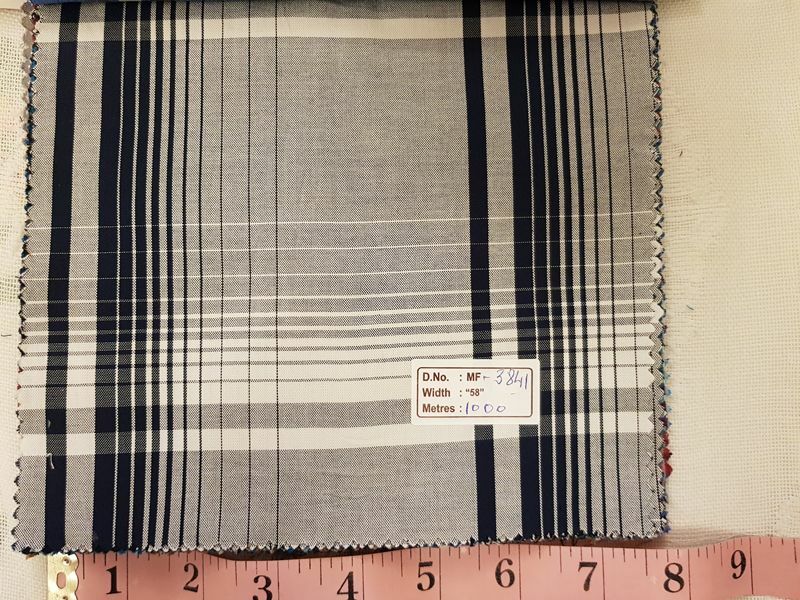 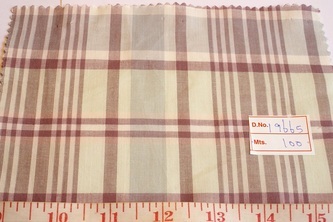 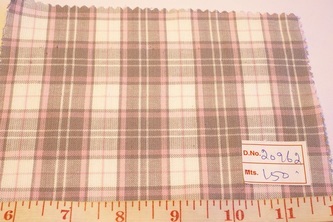 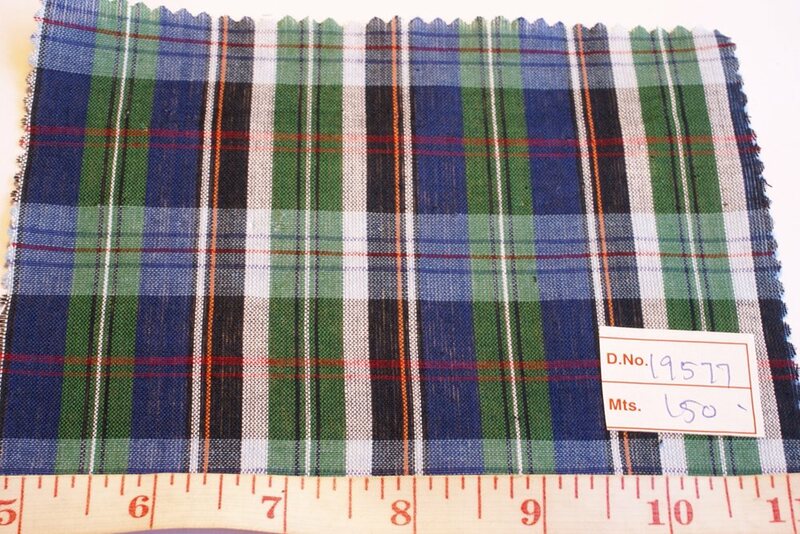 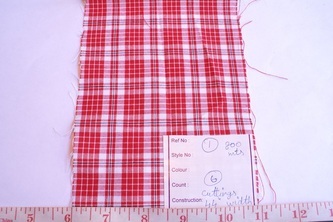 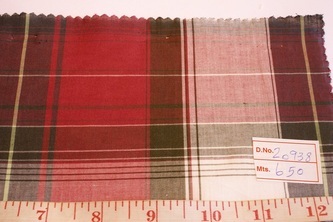 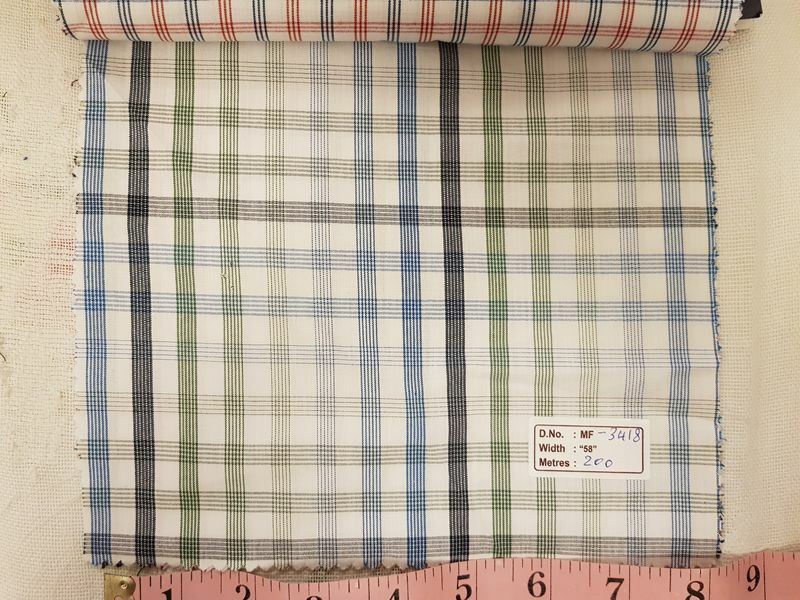 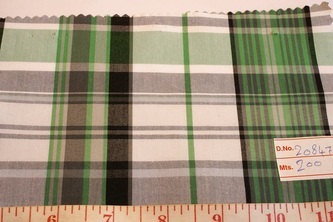 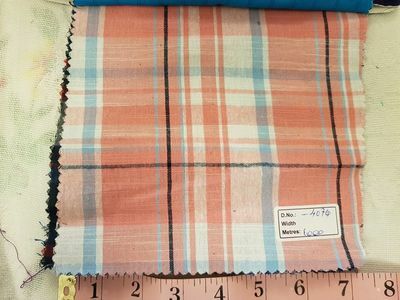 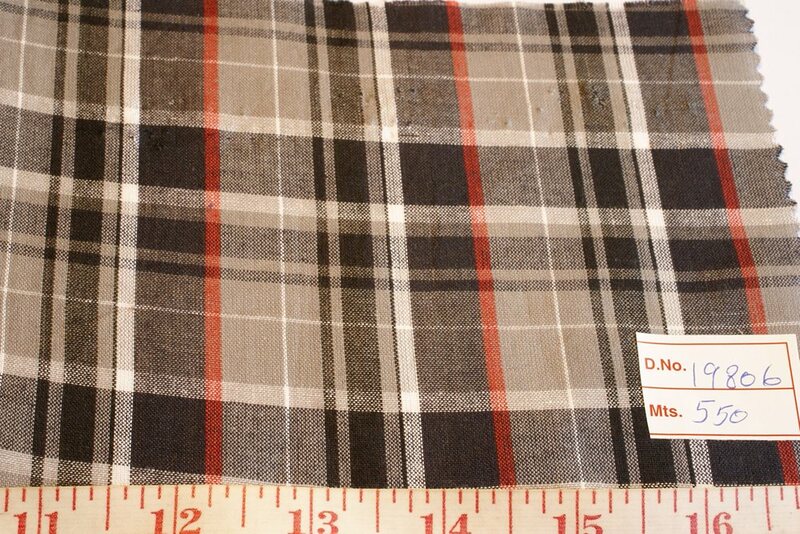 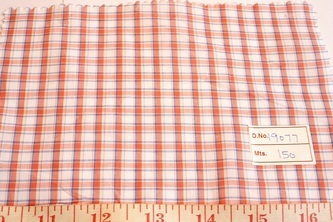 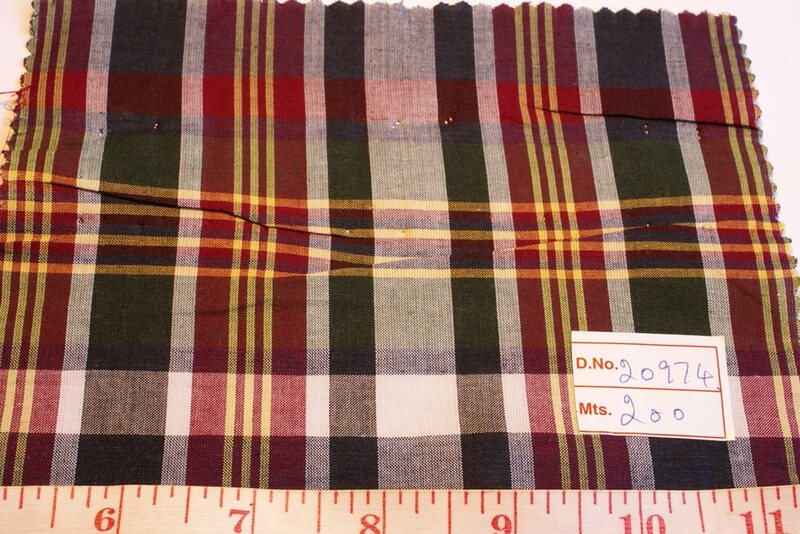 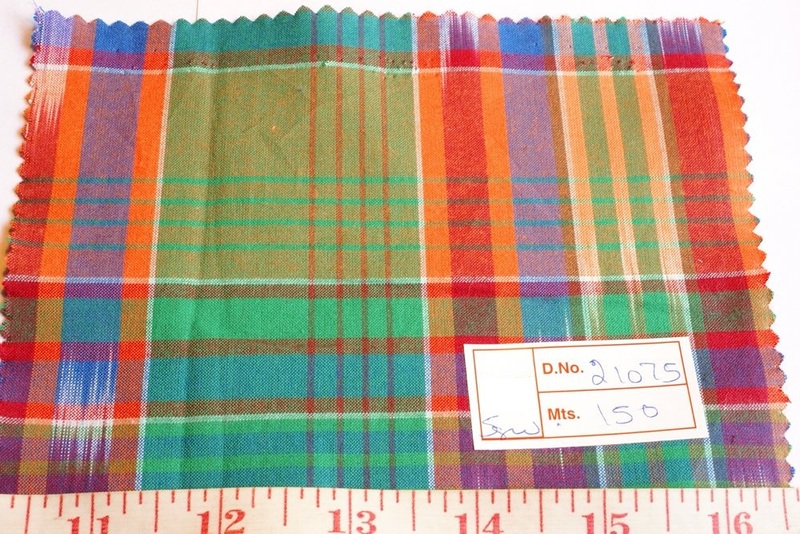 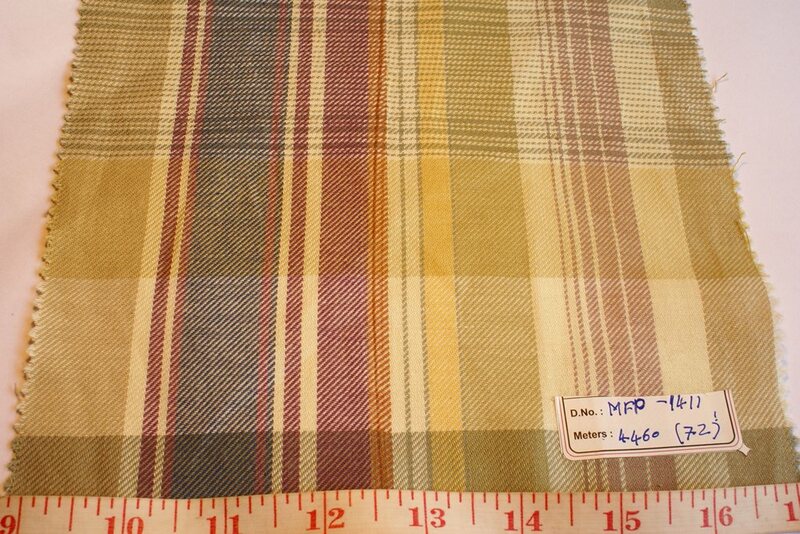 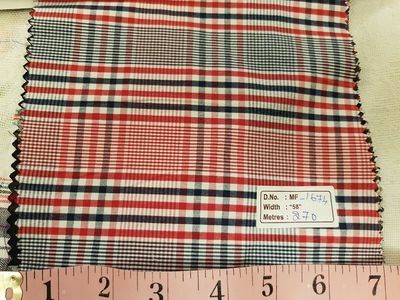 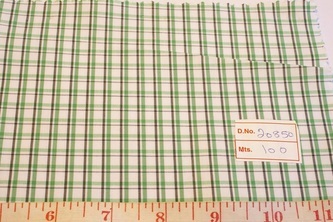 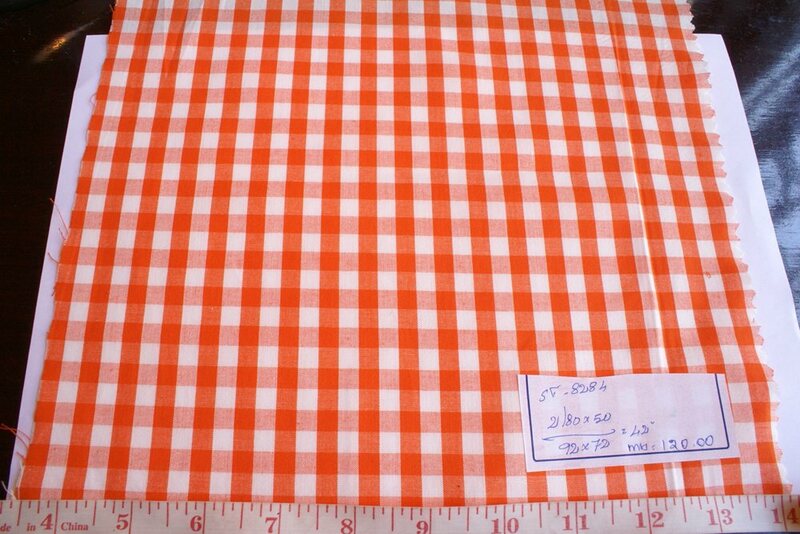 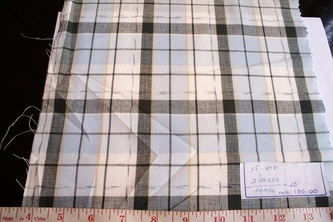 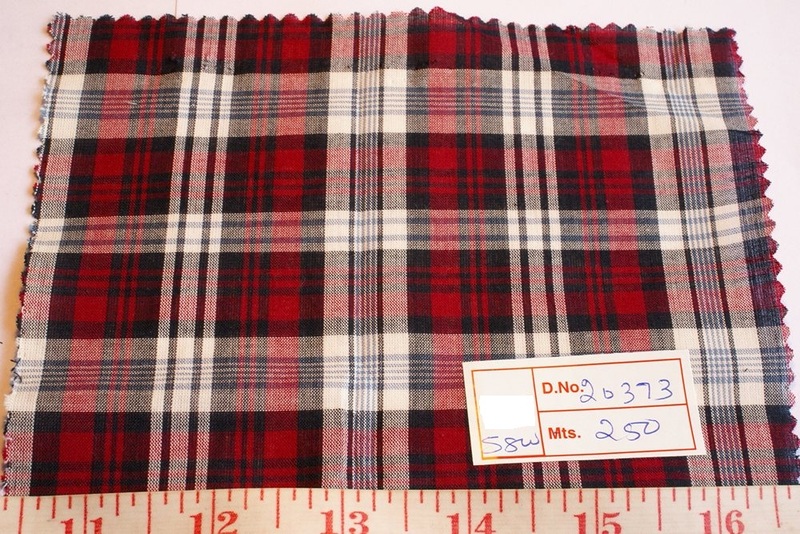 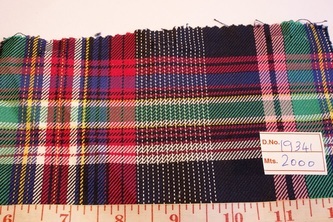 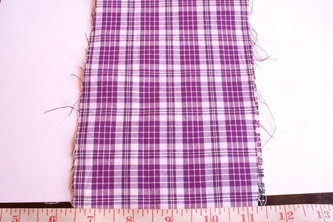 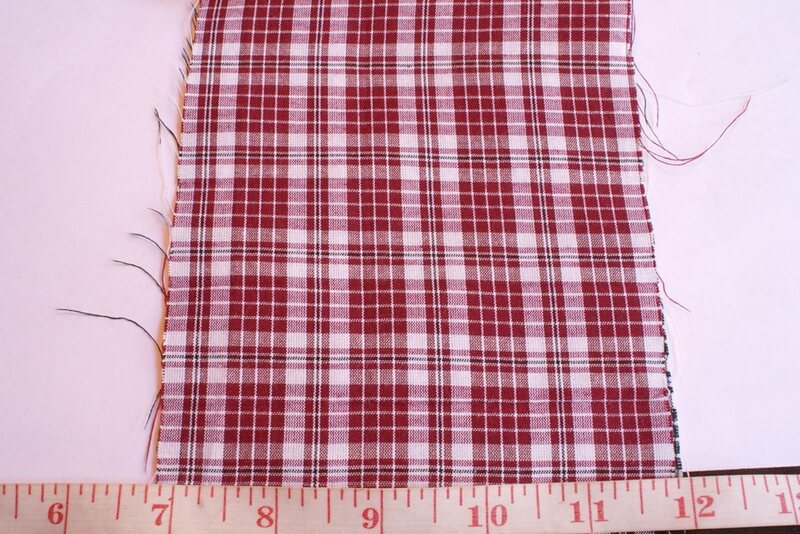 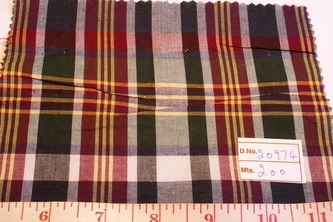 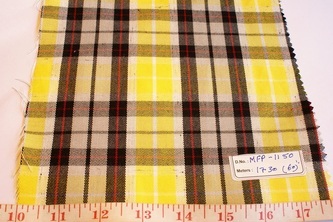 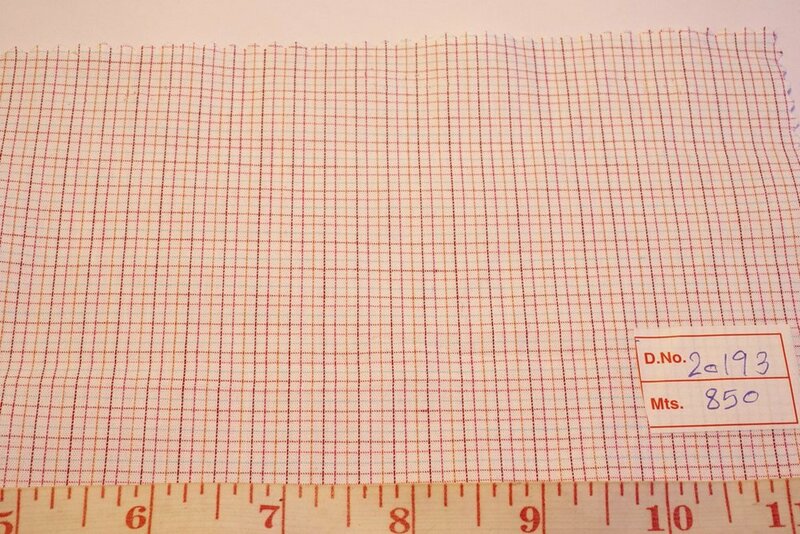 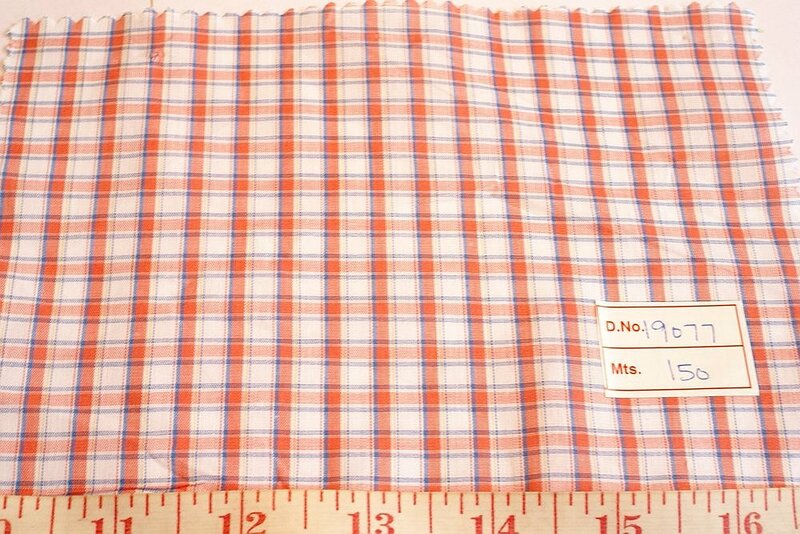 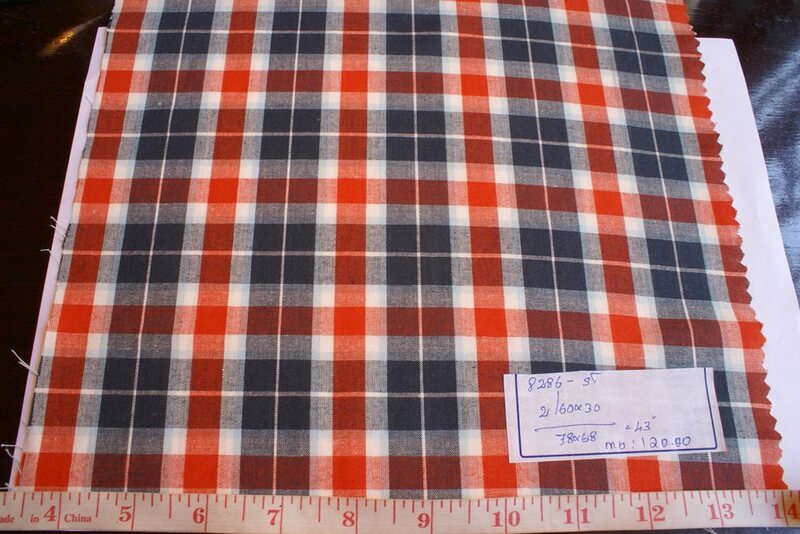 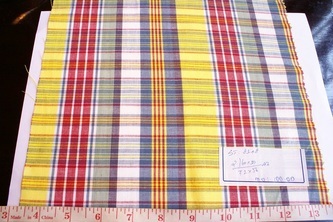 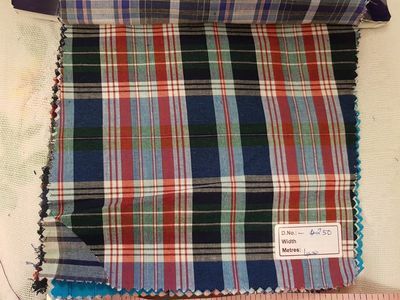 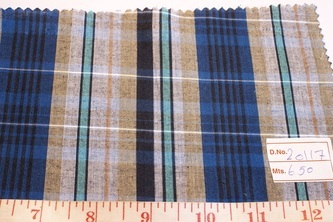 Madras Plaid fabric is also known as check fabric, or madras fabric. 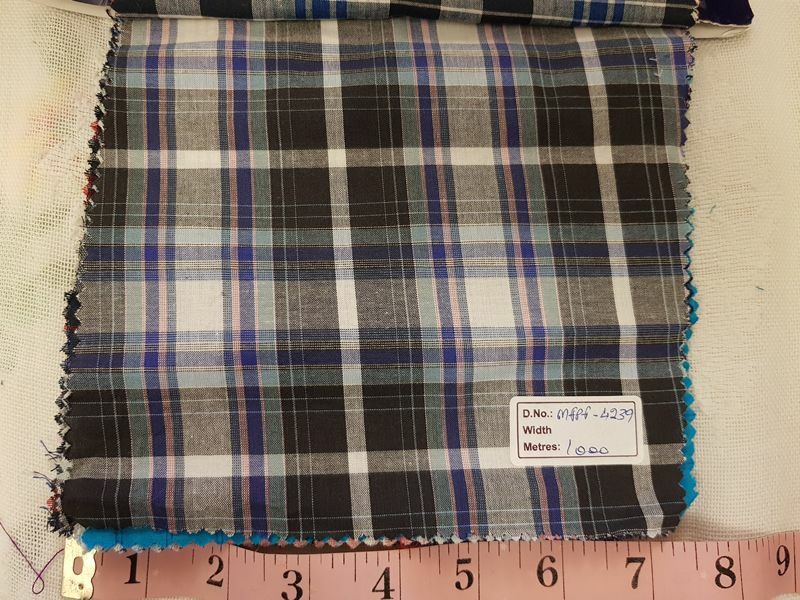 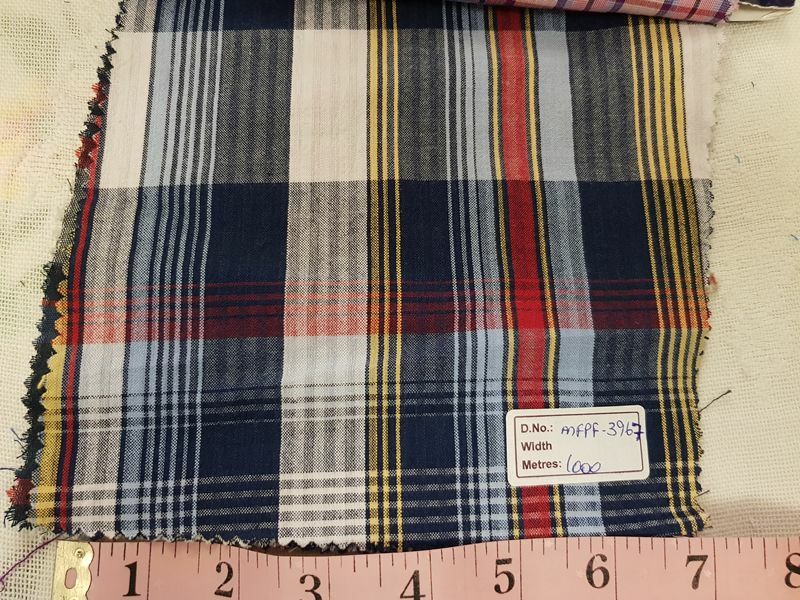 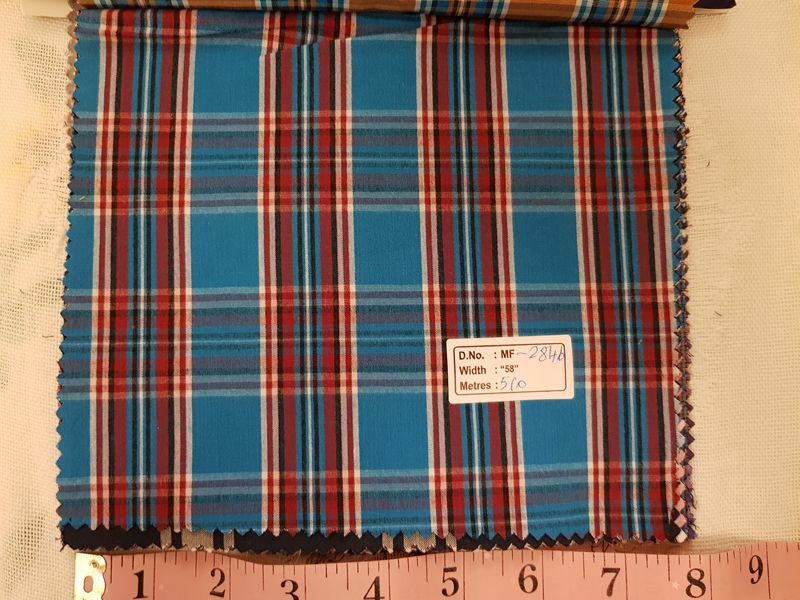 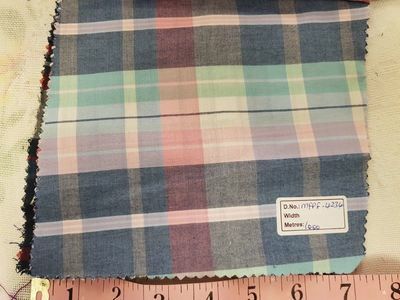 Madras plaid originates from India, and for Madras to be authentic, it should originate from authentic, where it is either handloomed or machine-loomed using yarns of different colors. 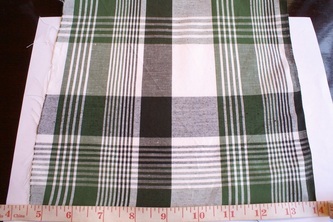 These are woven into criss cross patterns of lines intersecting each other, in a specific predetermined pattern. Indian madras fabric gained popularity in the sixties when it was actually the bleeding variety, which was characterised by its running colors, that would fade with each wash, in a particular manner. 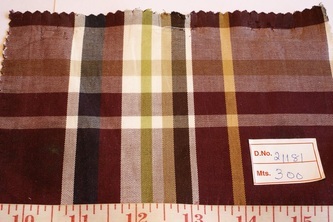 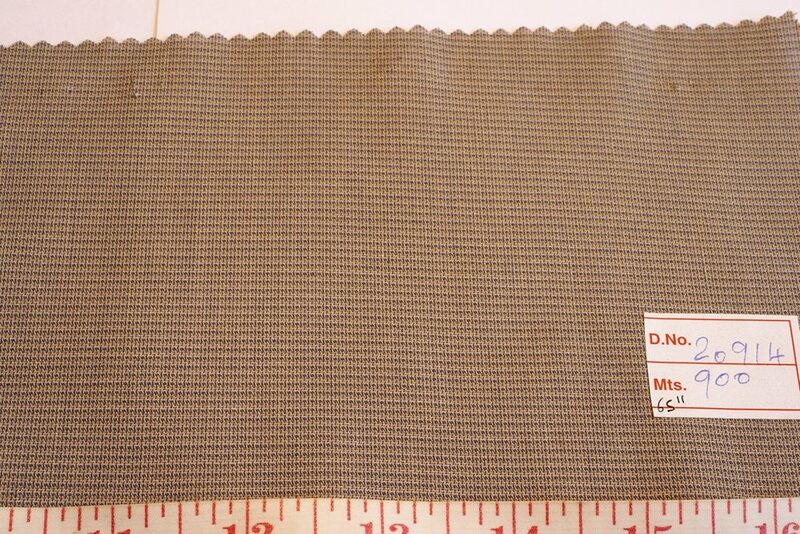 This would lend a washed out look to the fabric. 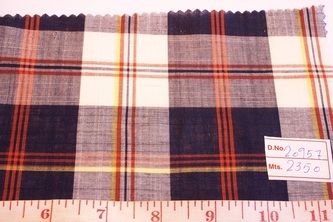 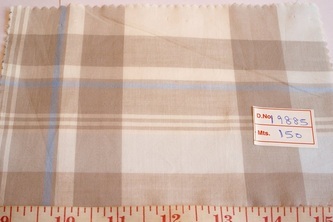 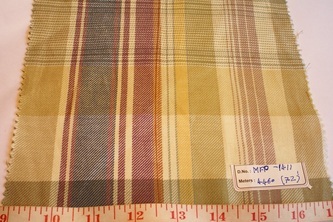 Modern madras plaid is still authentic madras, with the difference that the colors are fast, and last long. 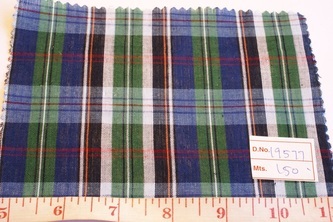 Preppy clothing lines still use madras plaids for expressing the casual classy preppy look.